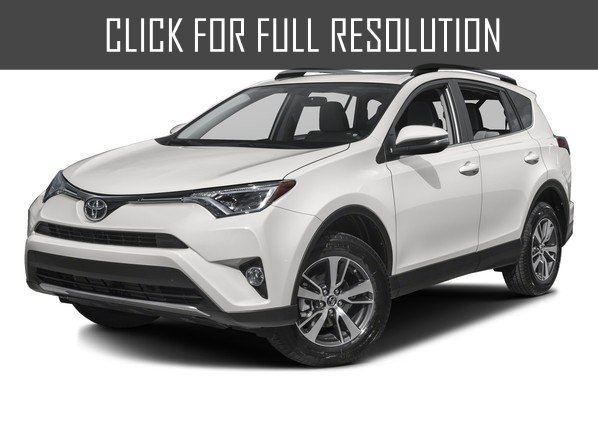 In 1989, at the Tokyo Motor Show, Toyota Rav4 was premiered to the whole world as a new concept car, and this day all-wheel drive crossover, which Toyota called Recreational Active Vehicle was born. 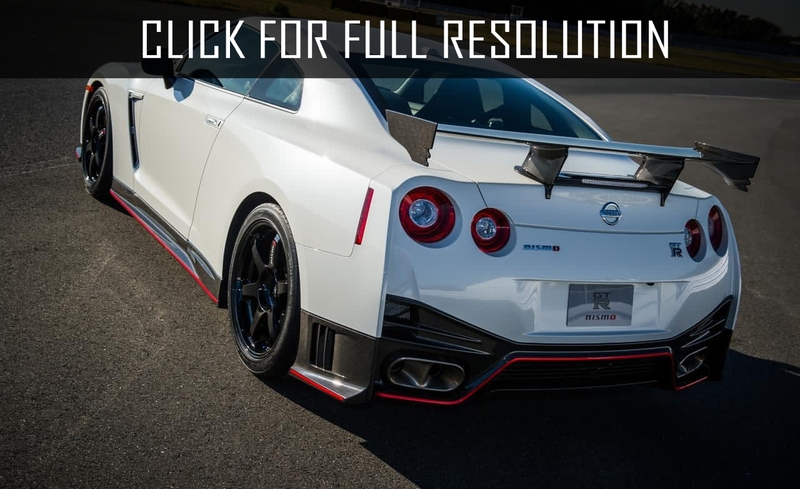 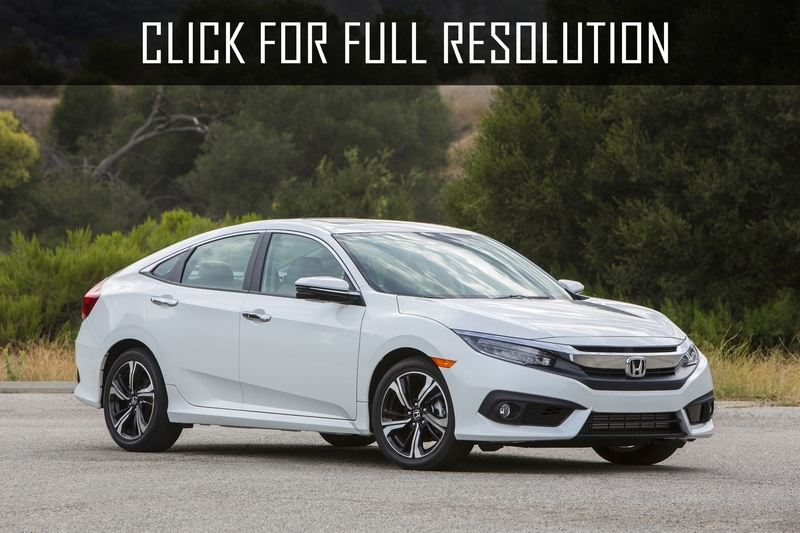 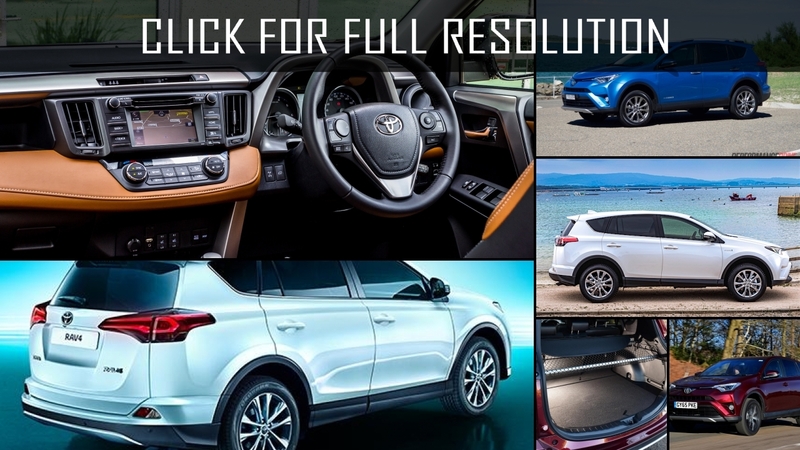 Before the release of this model, it seemed that people are satisfied with the choices, which were available for them: compact sedan or hatchback as well as infinite versions of big all-wheel drive SUVs. 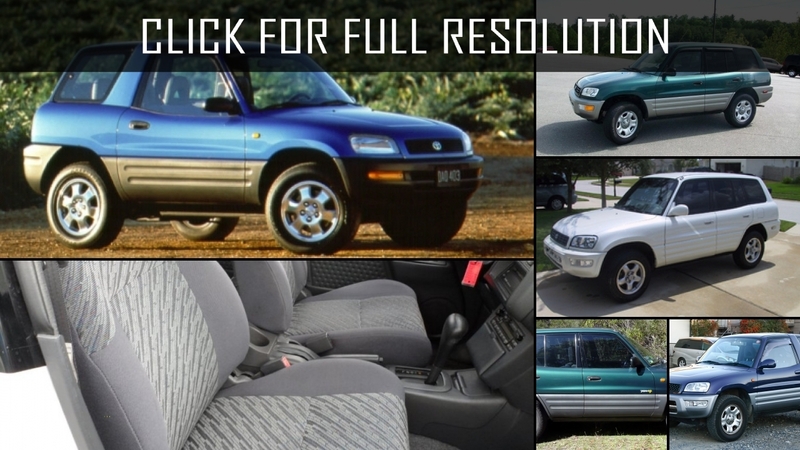 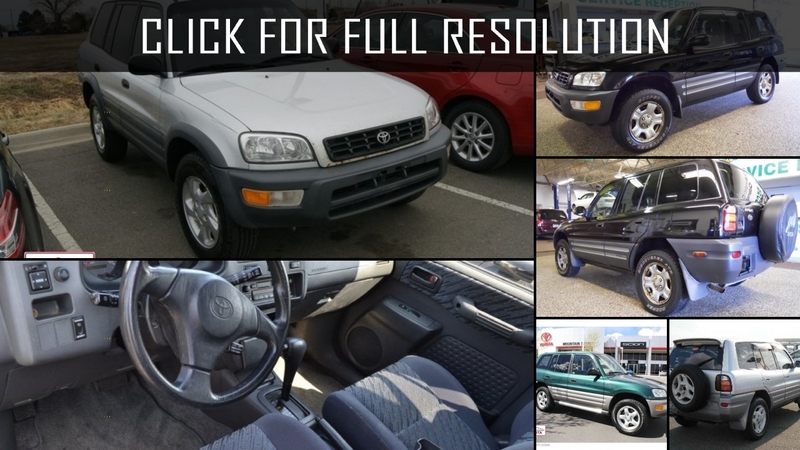 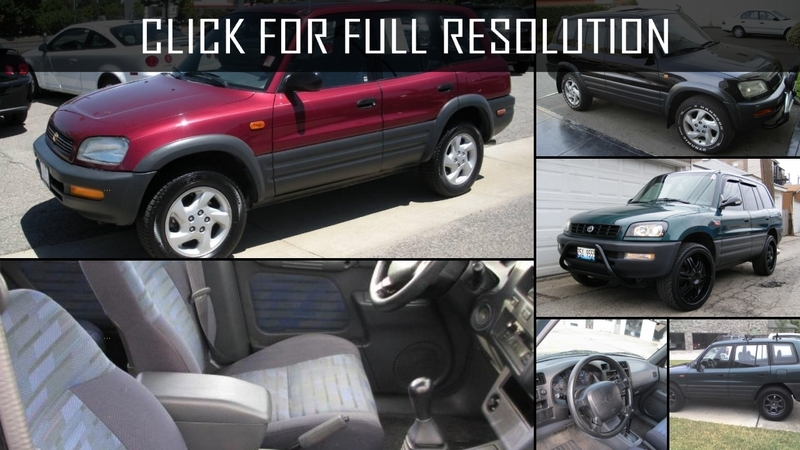 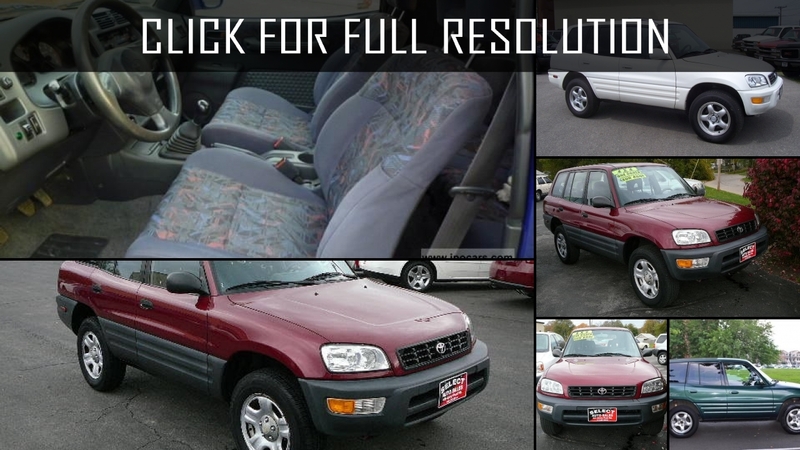 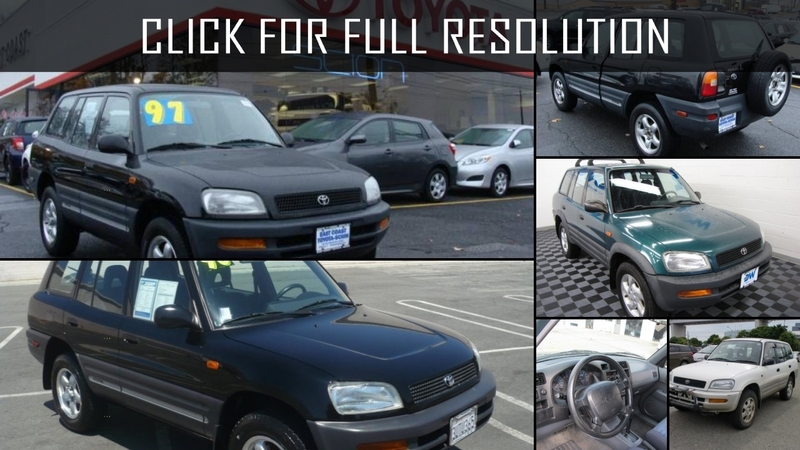 Toyota unexpectedly created a new segment of compact crossovers that was available for sale in May 1994. 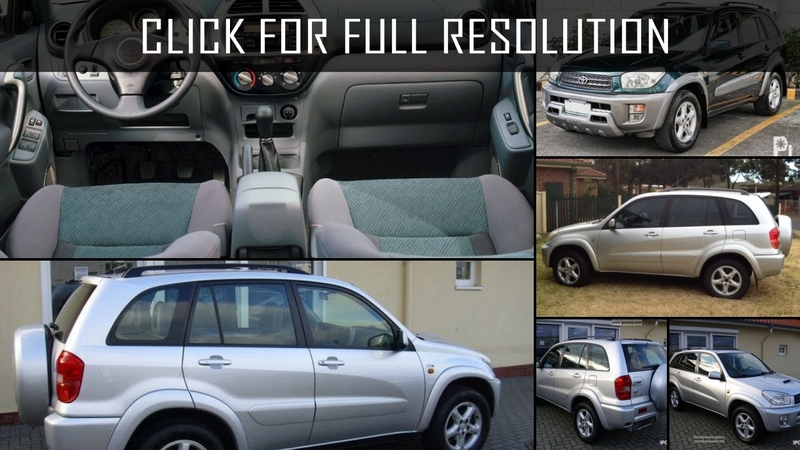 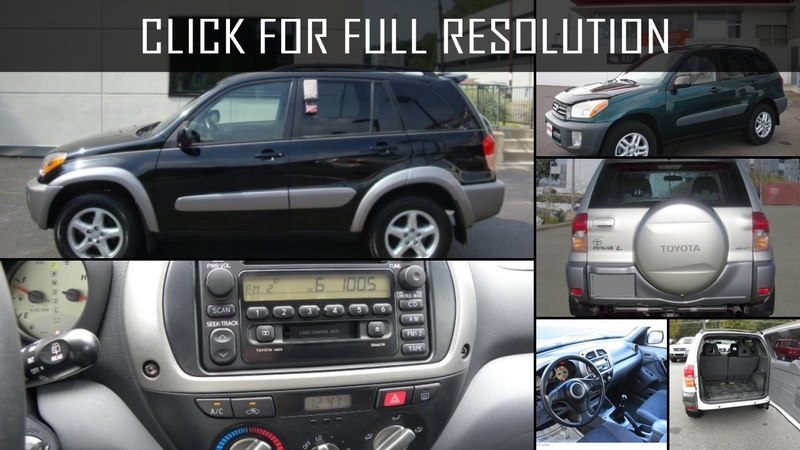 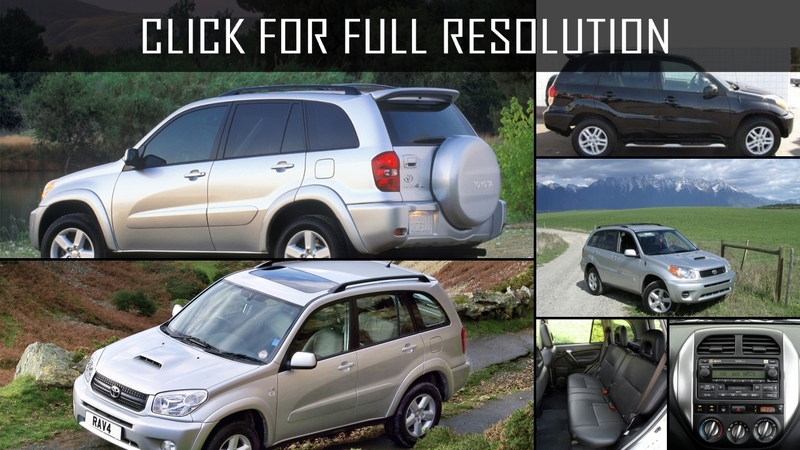 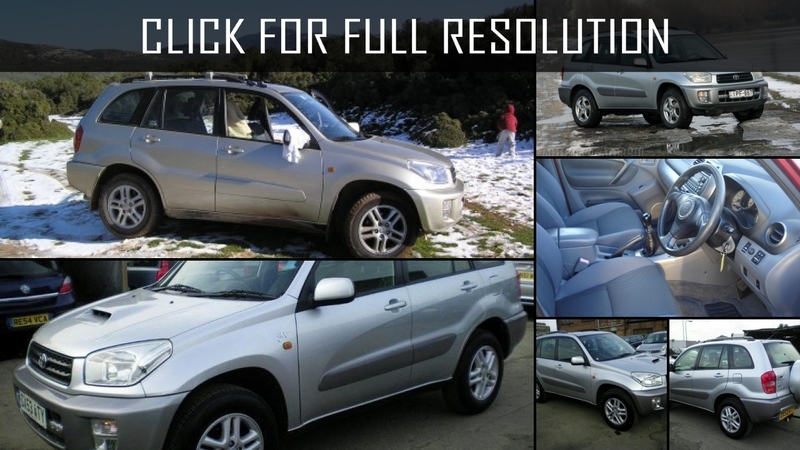 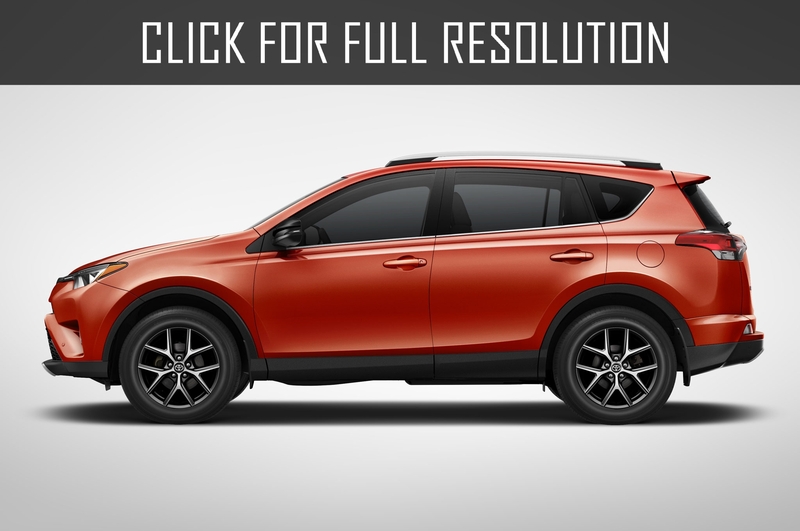 In 2004, next restyling version of Toyota Rav4 was premiered. 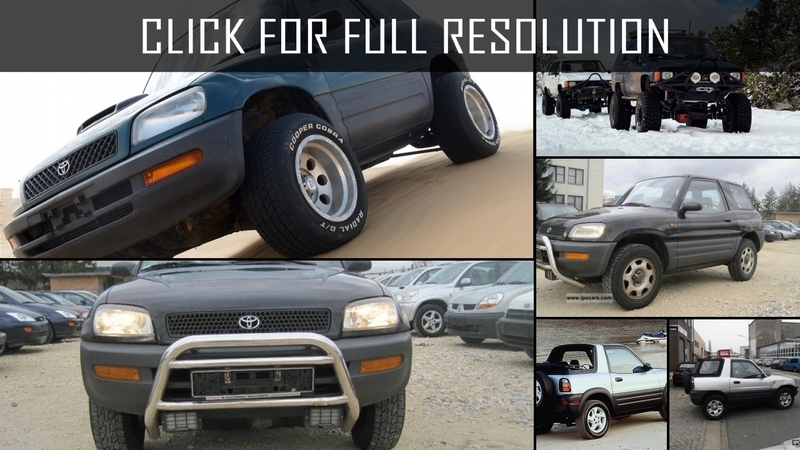 The optics, radiator enclosure, bumper were upgraded, more powerful engine was installed. 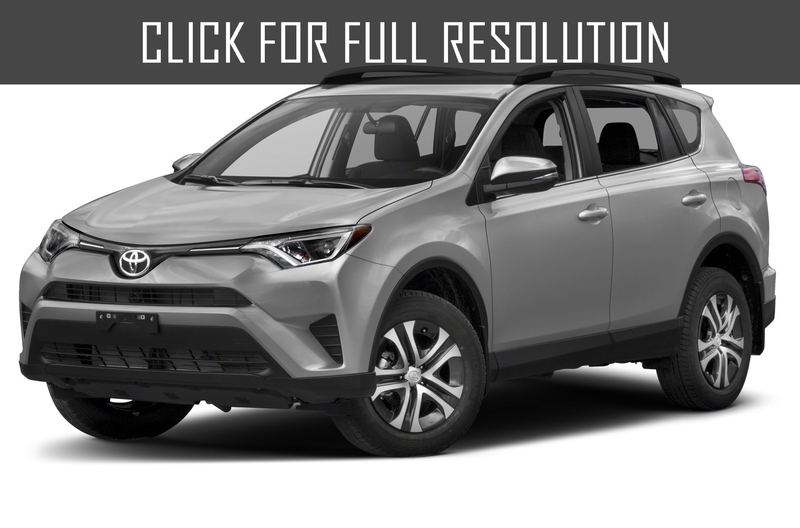 In spite of the fact that the generations Toyota RAV4 I and II cars were manufactured so many years ago but they still do not demand in frequent repair. 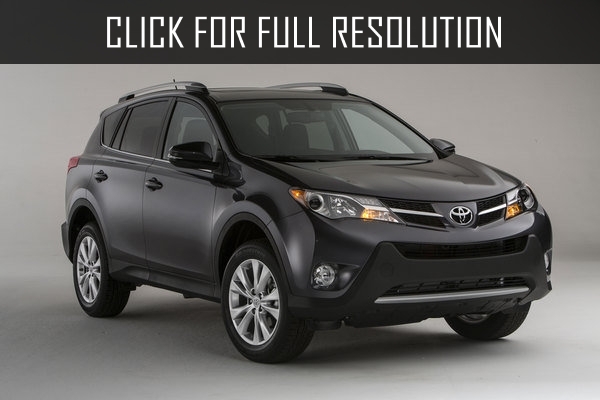 Body panels are well protected from corrosion, therefore, Toyota RAV4 the first generations perfectly remained. 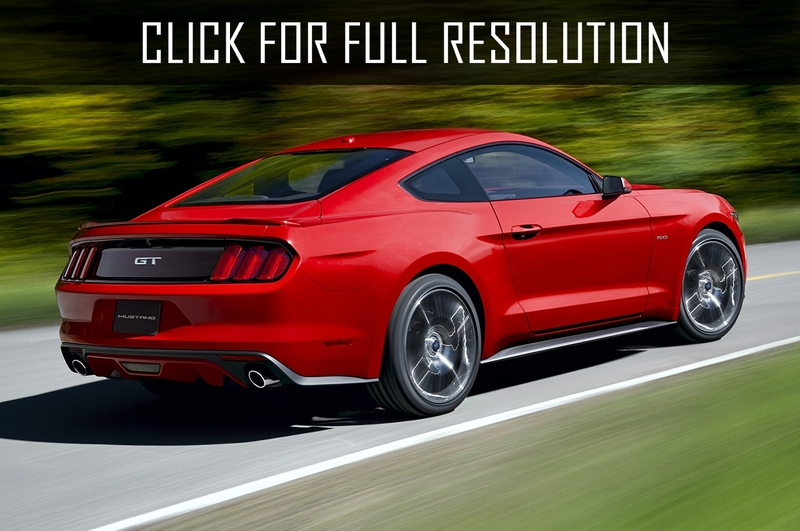 Engines of the car differ in reliability and unpretentiousness. 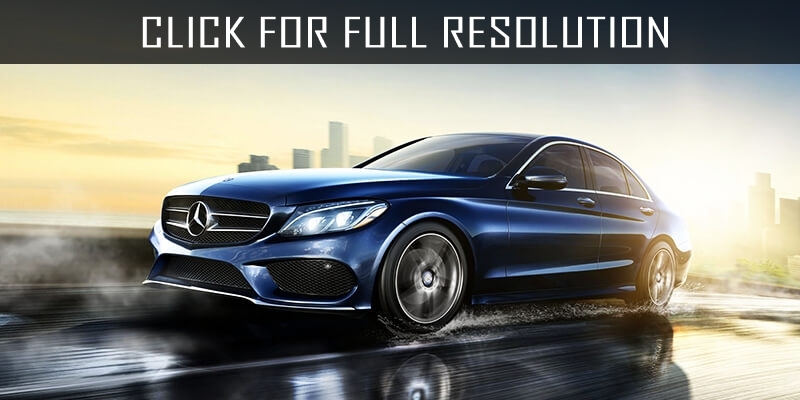 If to change motor oil regularly and in time, the motor can work for 300-400 thousand km without demanding serious interventions. 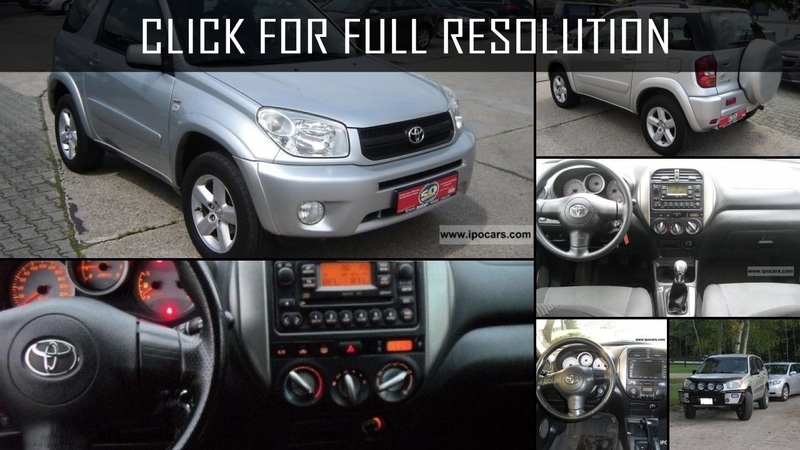 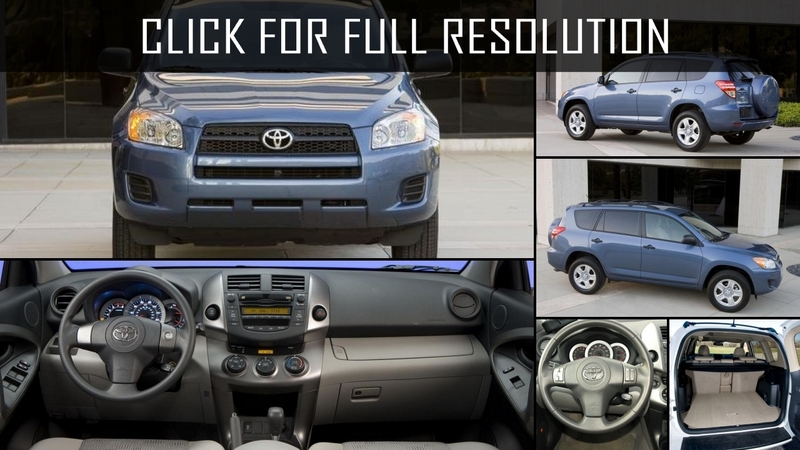 If to drive Toyota RAV4 mainly around the city, then the suspender will also serve for the very long time. 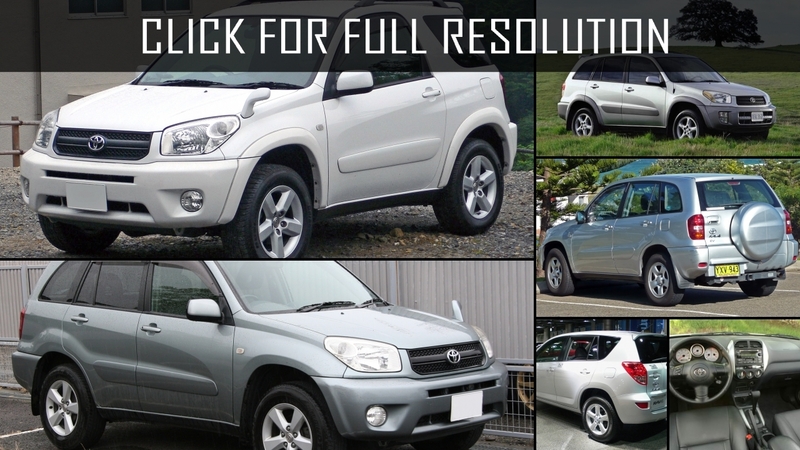 Brakes at this model do not become special trouble too. 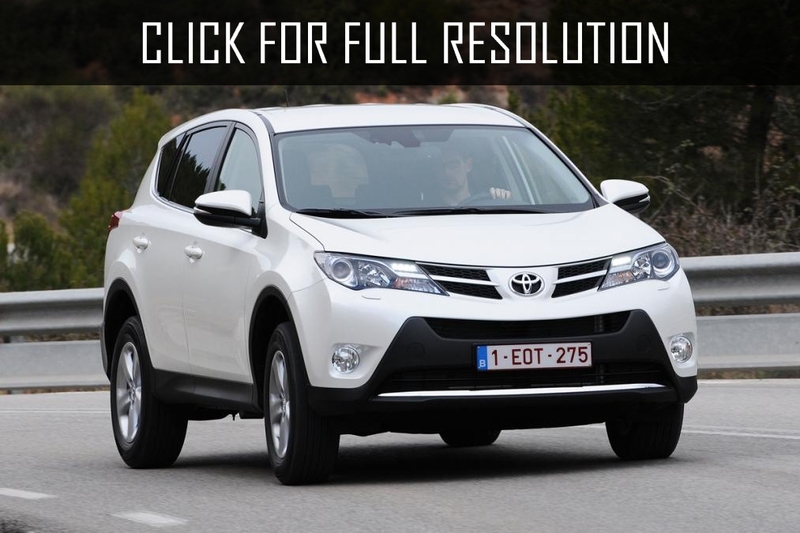 Brake oil, perhaps, should be changed only after 100 — 150 thousand km of the drive. 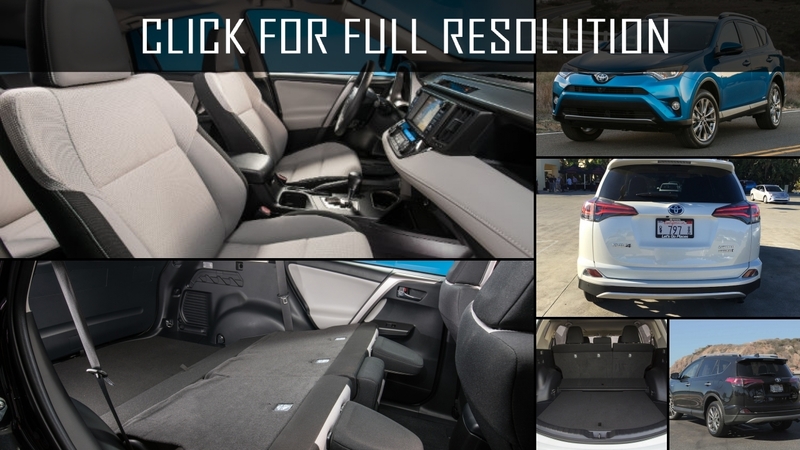 The interior is quite spacious. 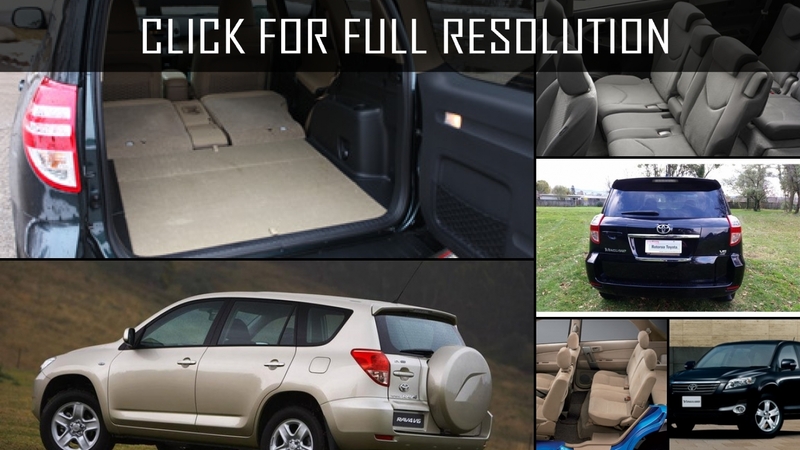 It is possible not only to put rear seats but also in general, making a huge trunk for lots of baggage is possible. 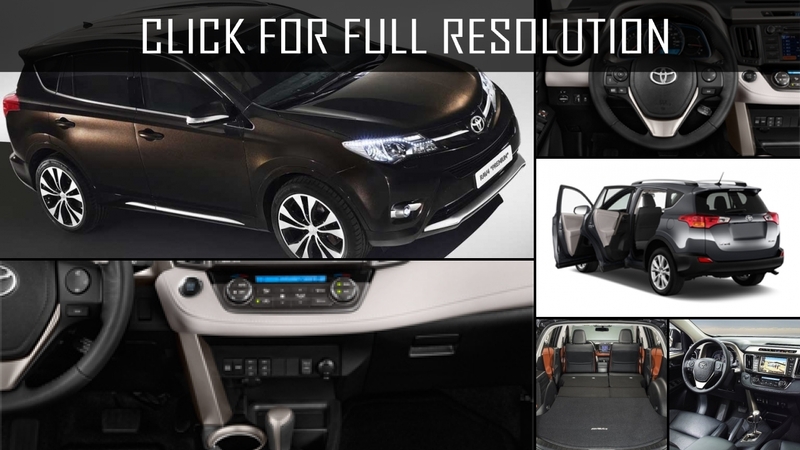 Besides, the new inner trim became qualitative. 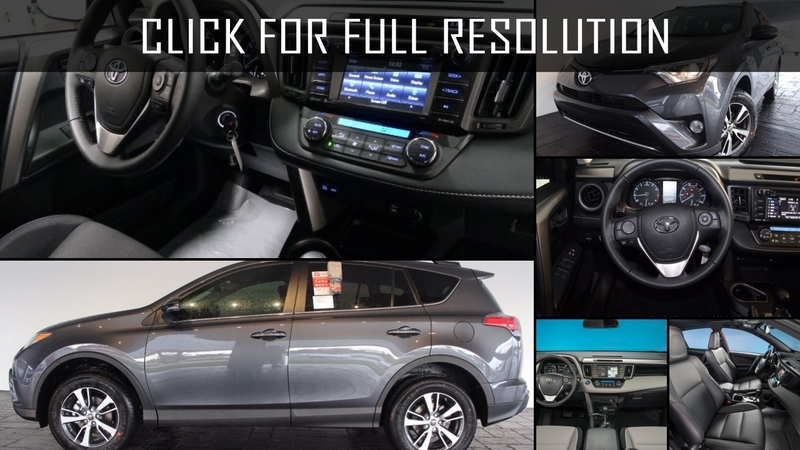 On Toyota RAV4 third generation, integrated system of active management - Integrated Active Drive is installed. 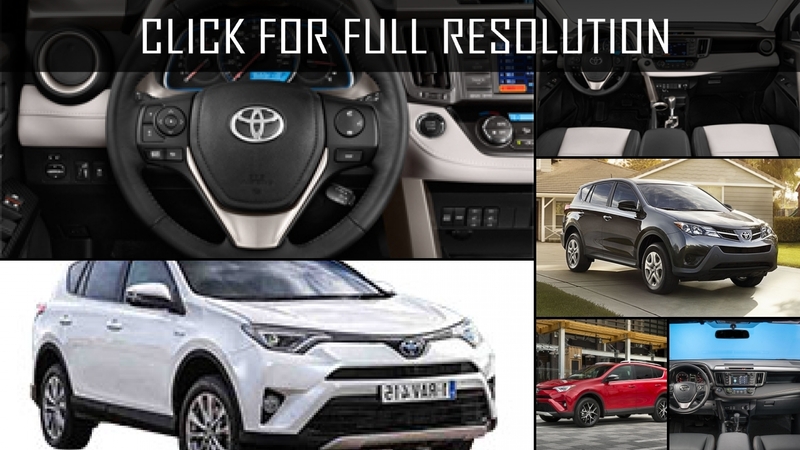 With its help, the operation of the four-wheel drive, the system of stabilization and electro power steering are coordinated. 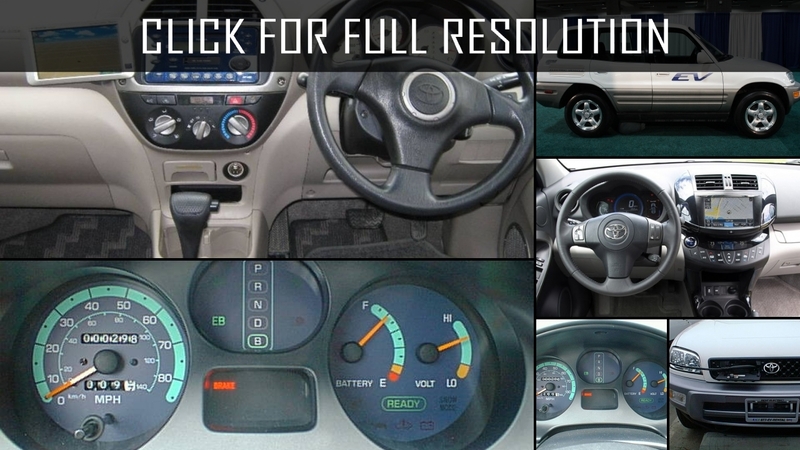 This system analyzes such indicators as an angle of rotation of the steering wheel, fuel supply, side acceleration, and speed of the movement. 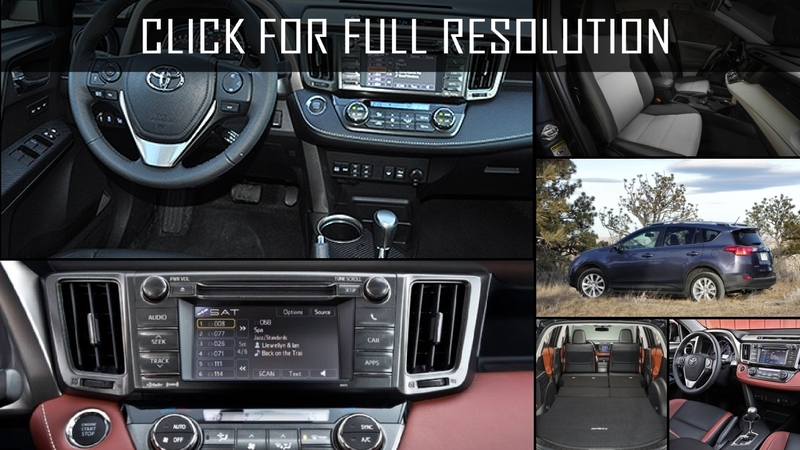 The saloon and control panel has cardinally changed. 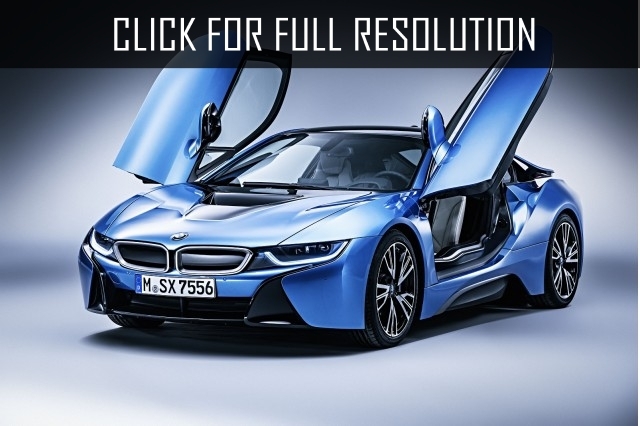 The system of transformation of Easy-Flat introduced. 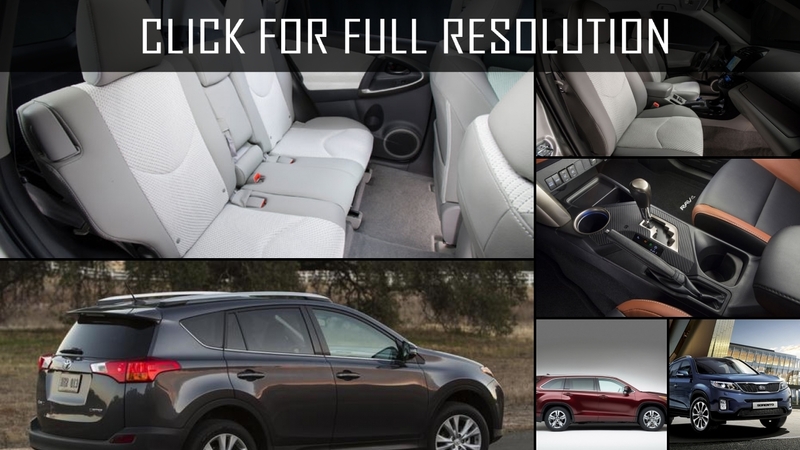 Now, in order to put back seats, it is necessary just to press one of the keys either on a seatback or on the trunk. 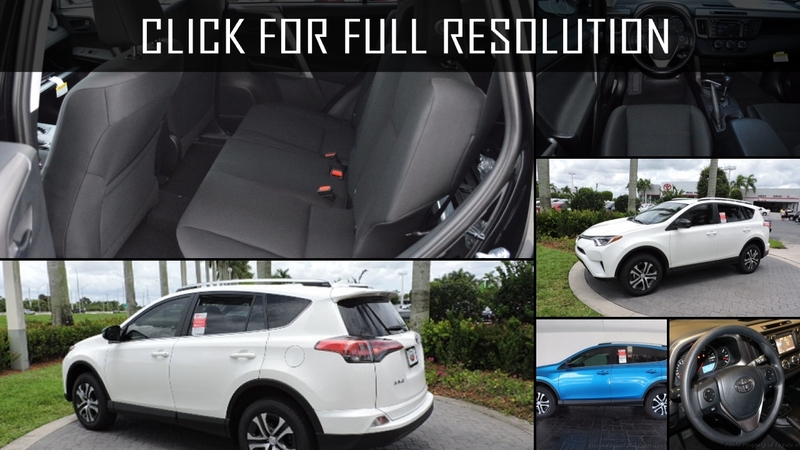 In RAV4, two-zonal climate control has appeared. 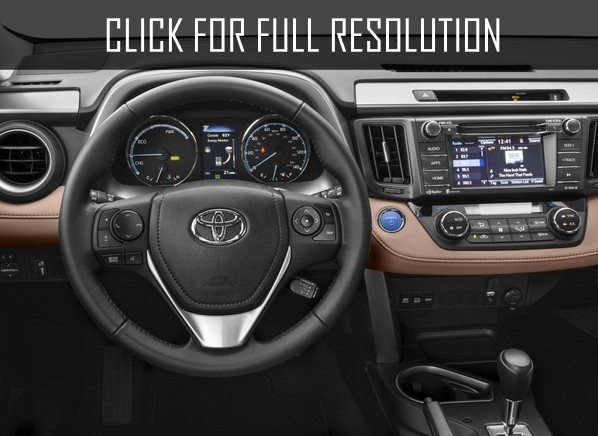 On a steering wheel, there are buttons that control the audio system, Bluetooth, multipurpose display and voice commands. 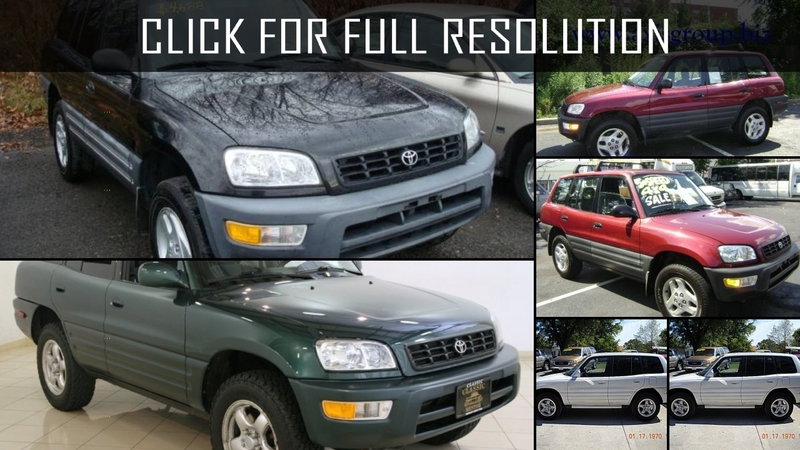 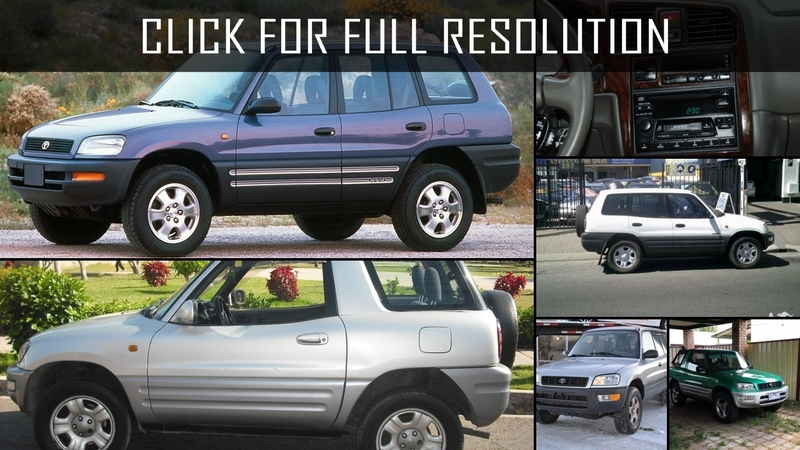 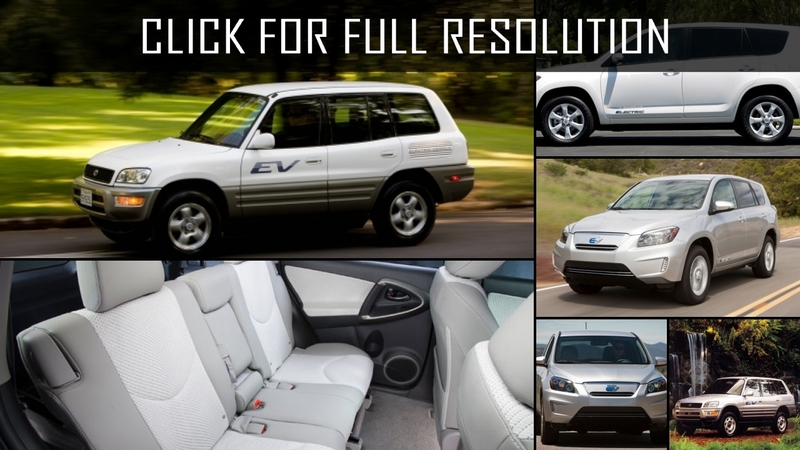 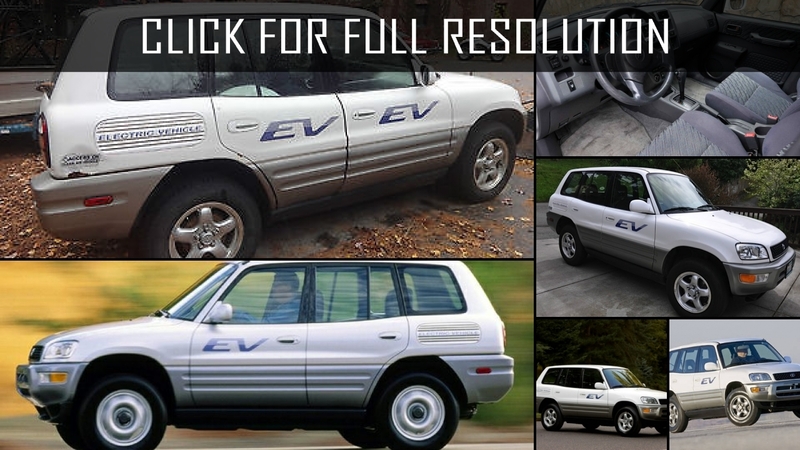 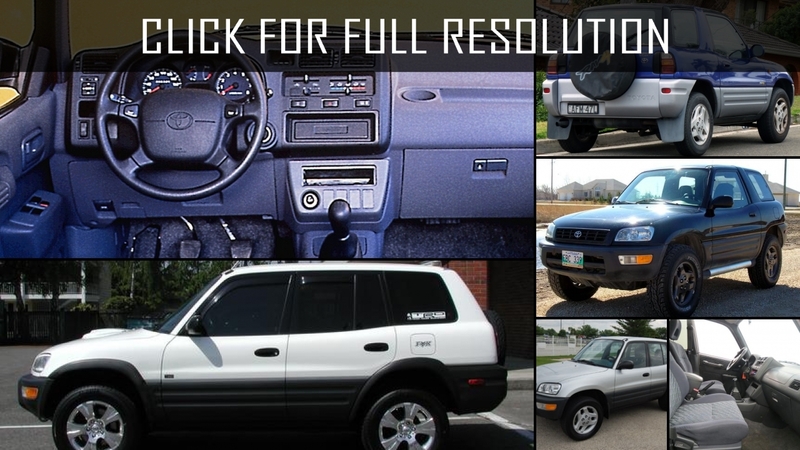 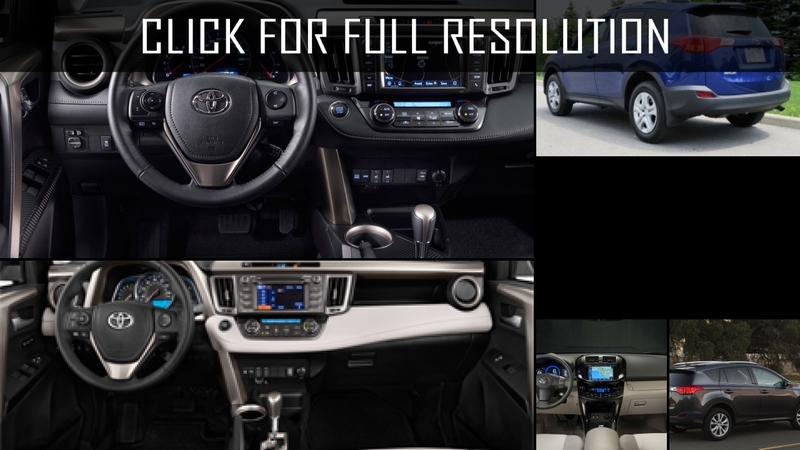 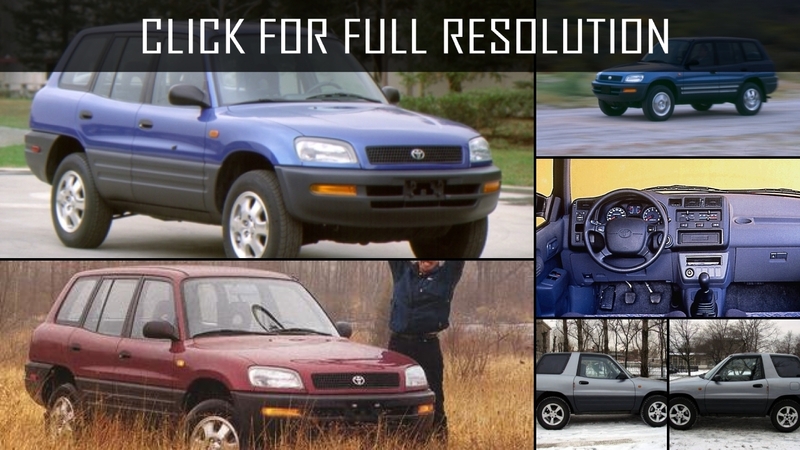 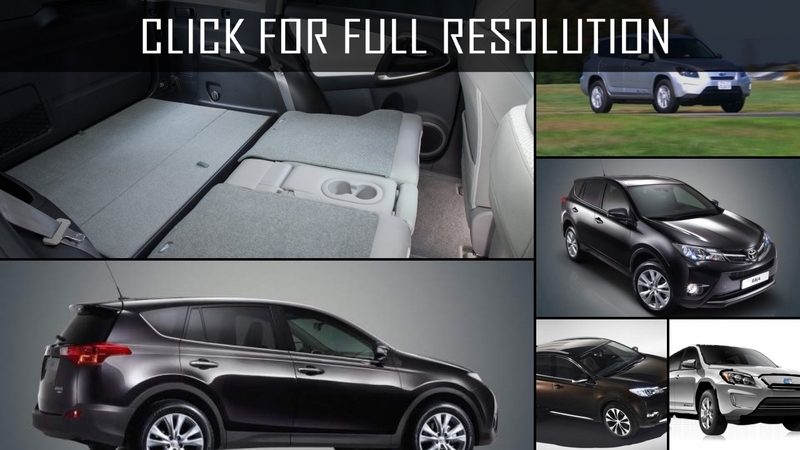 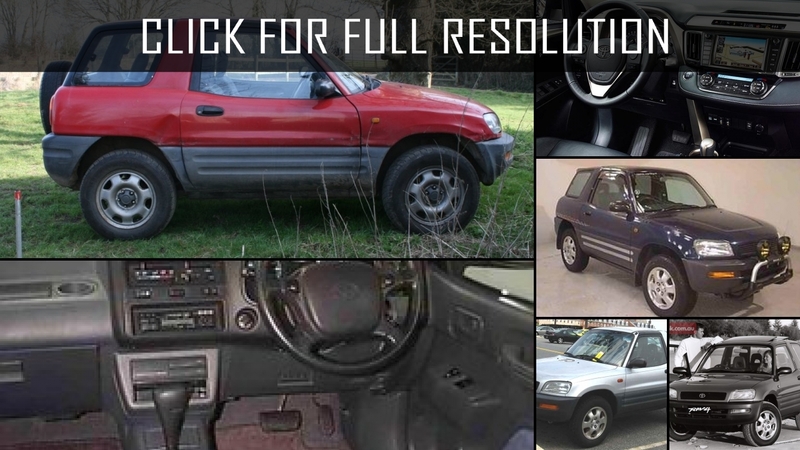 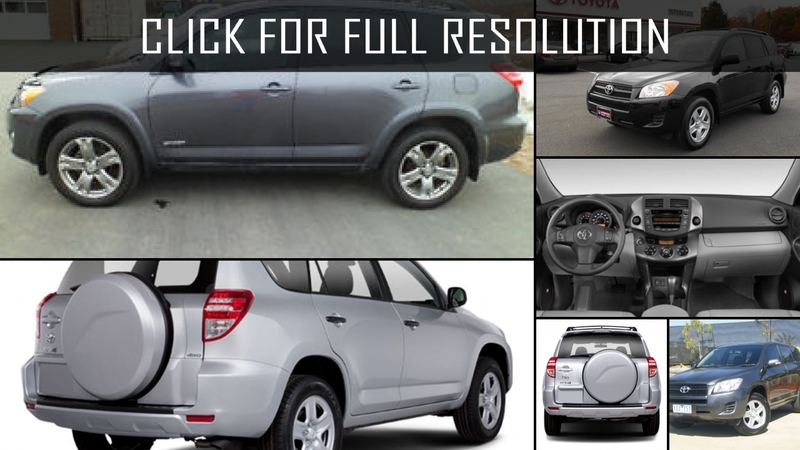 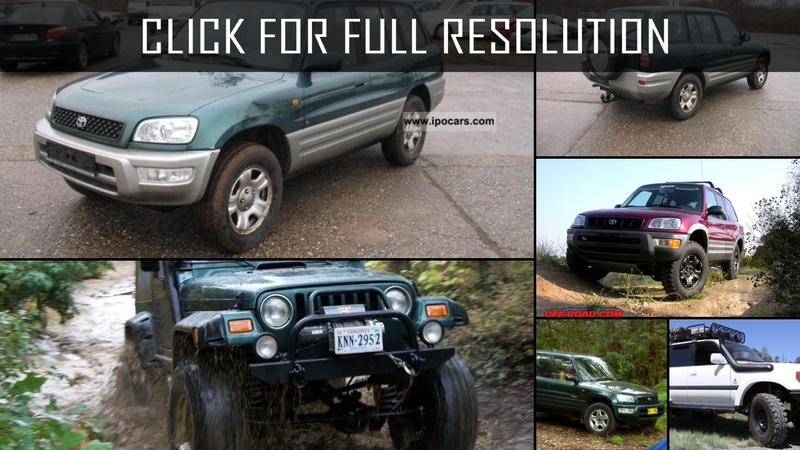 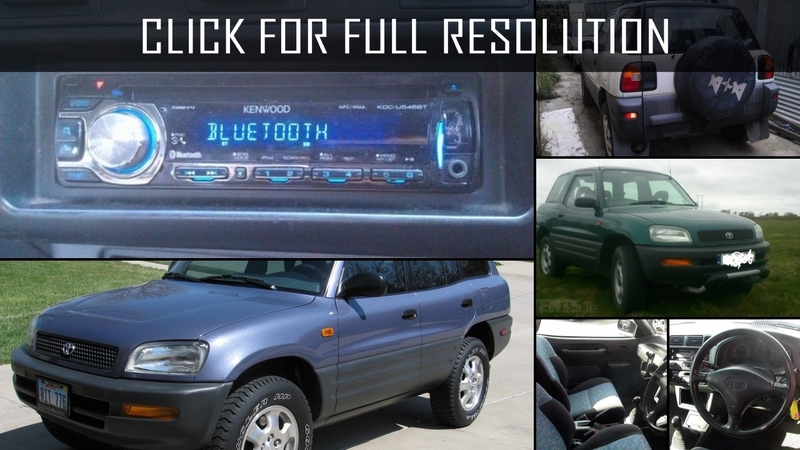 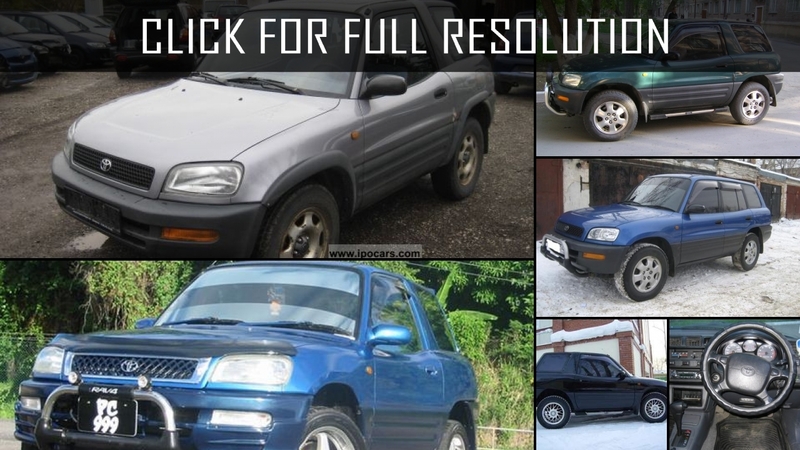 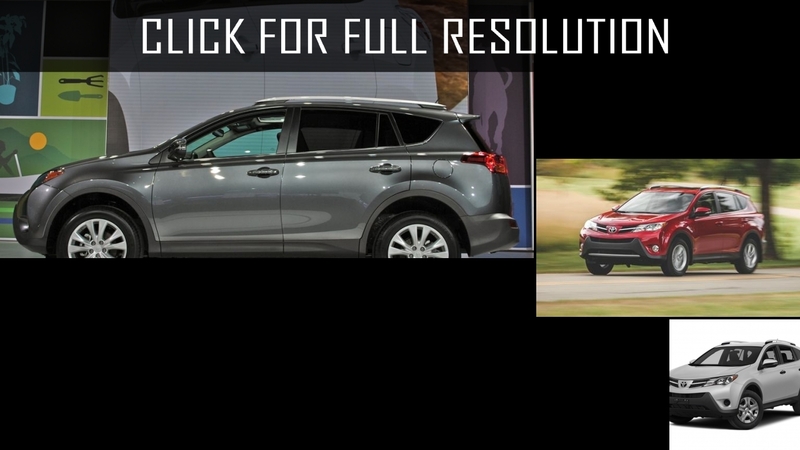 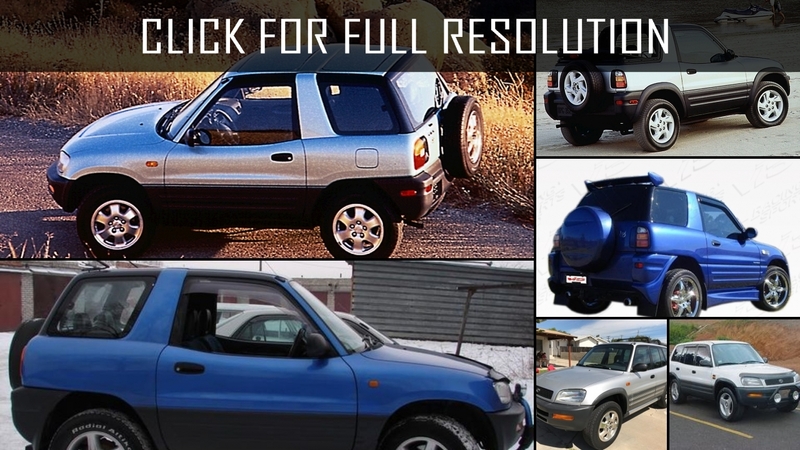 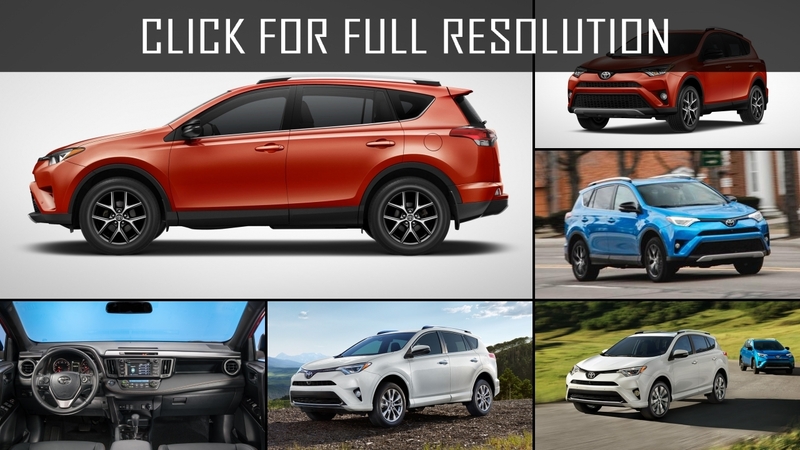 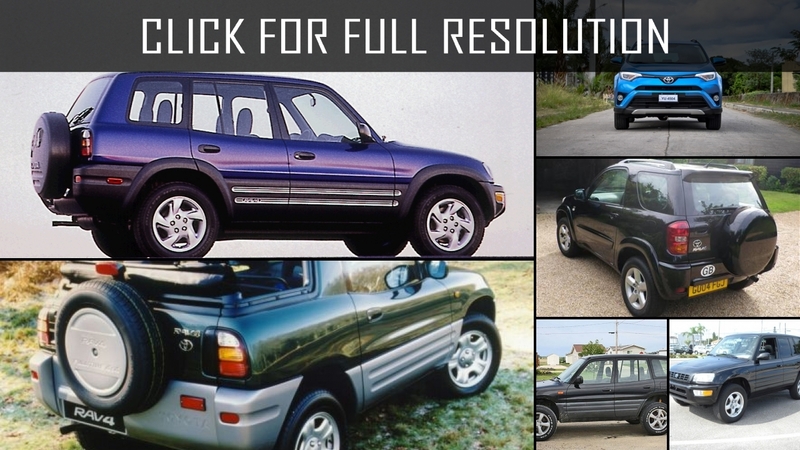 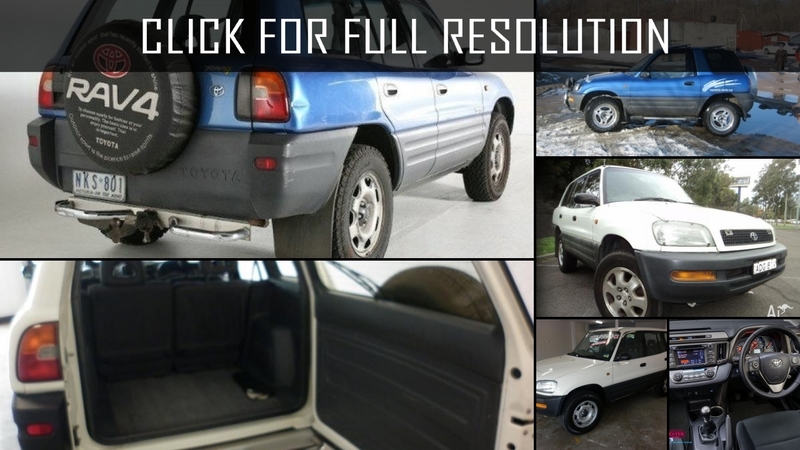 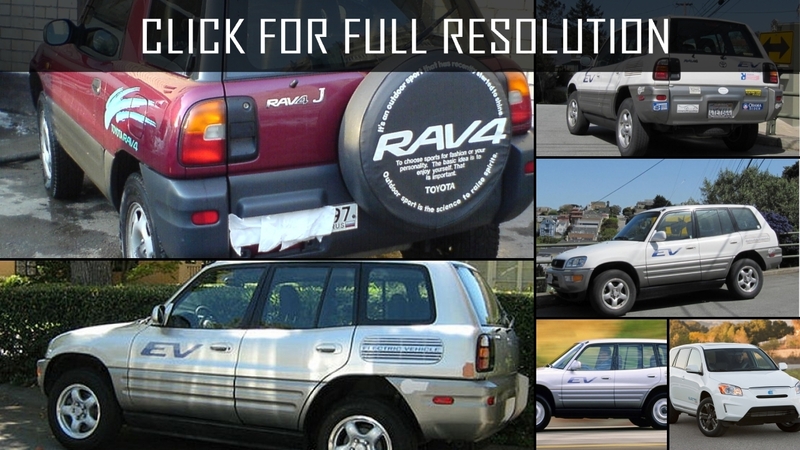 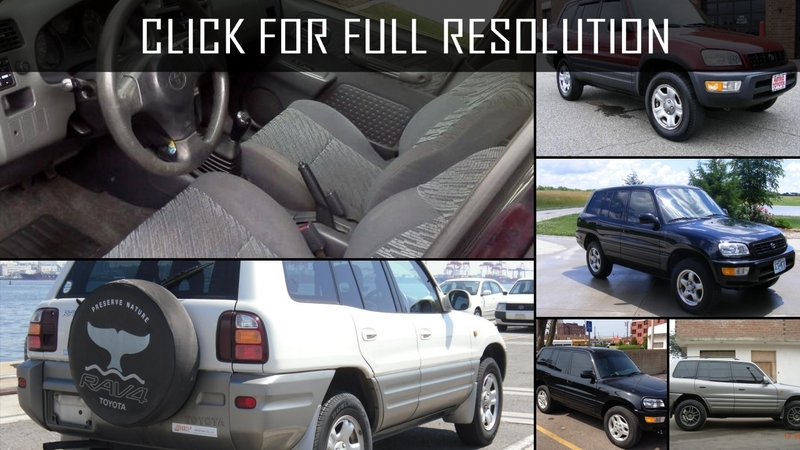 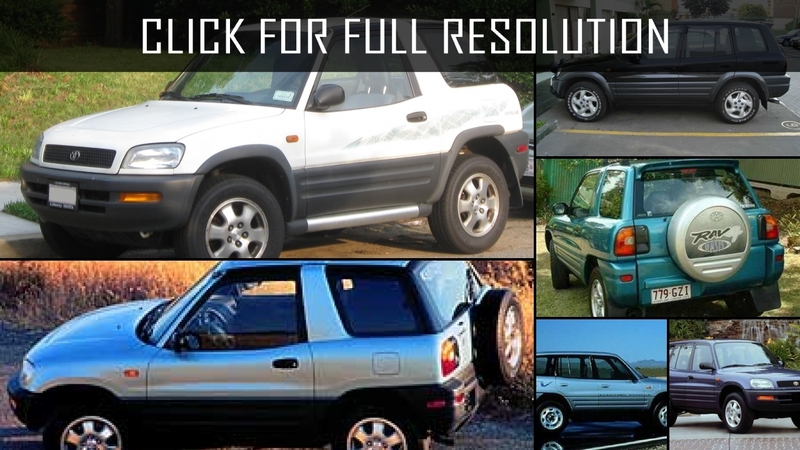 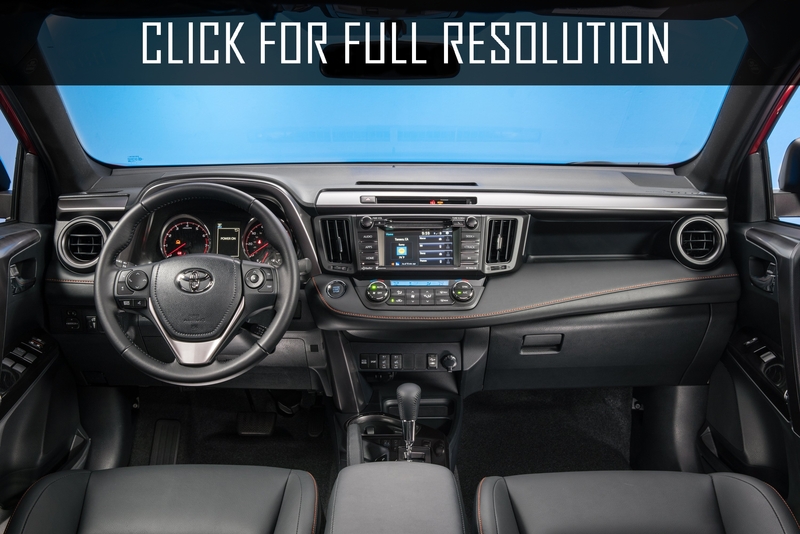 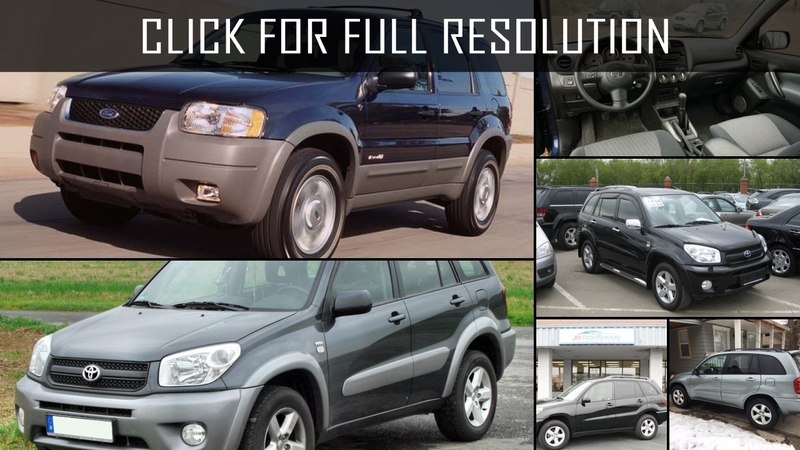 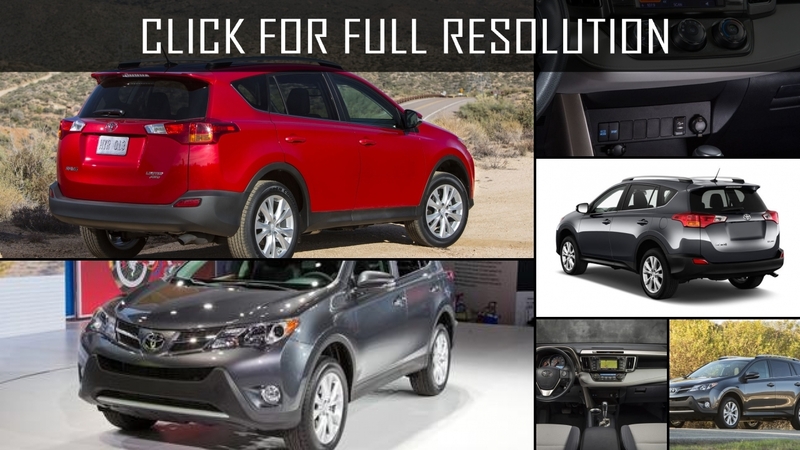 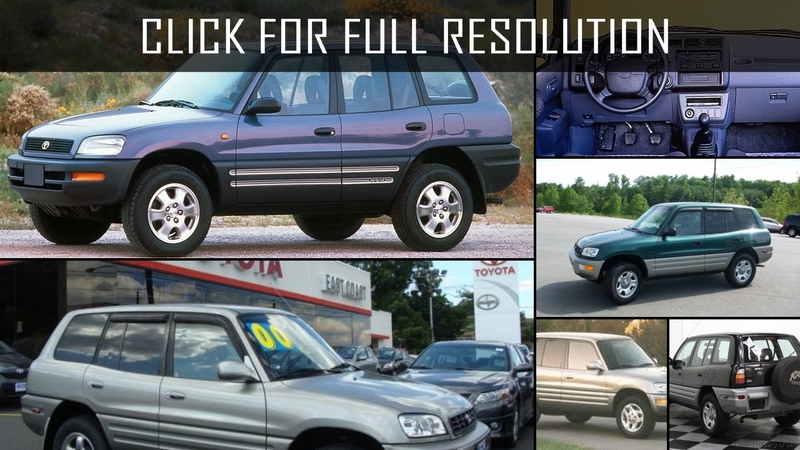 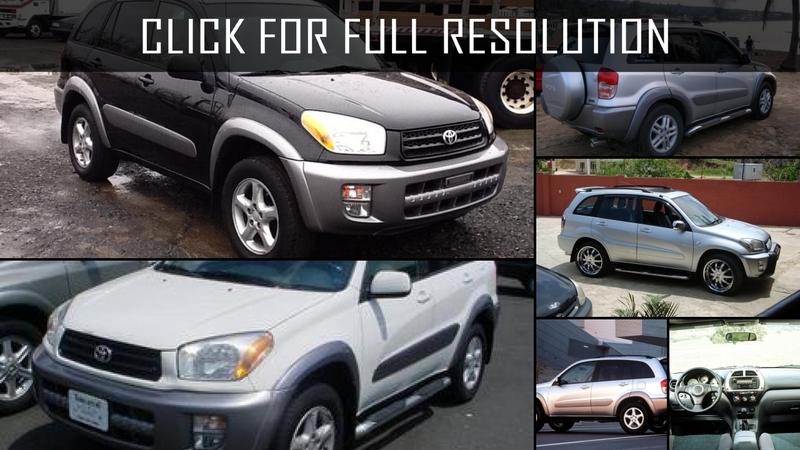 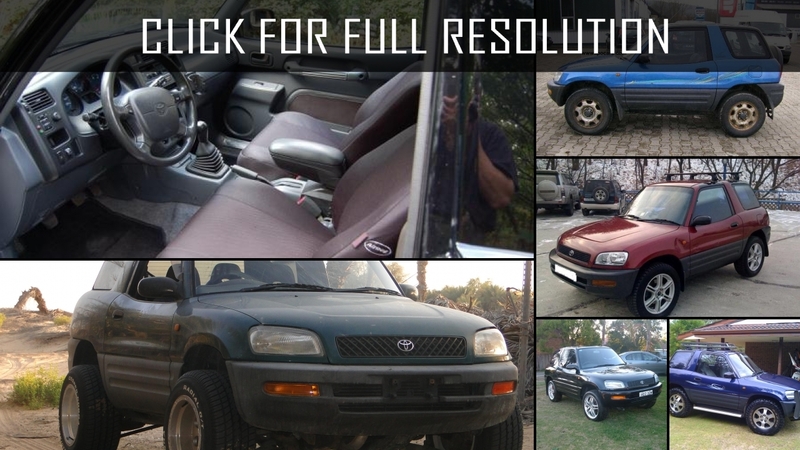 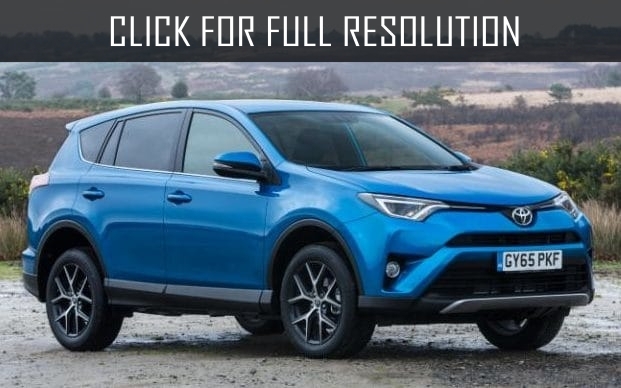 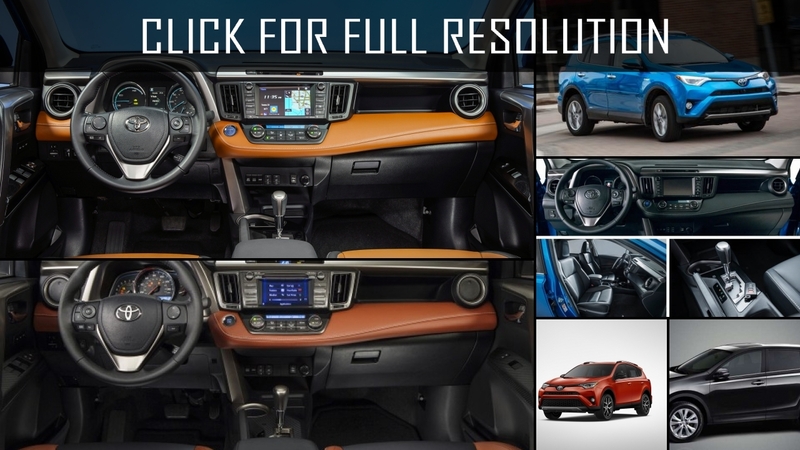 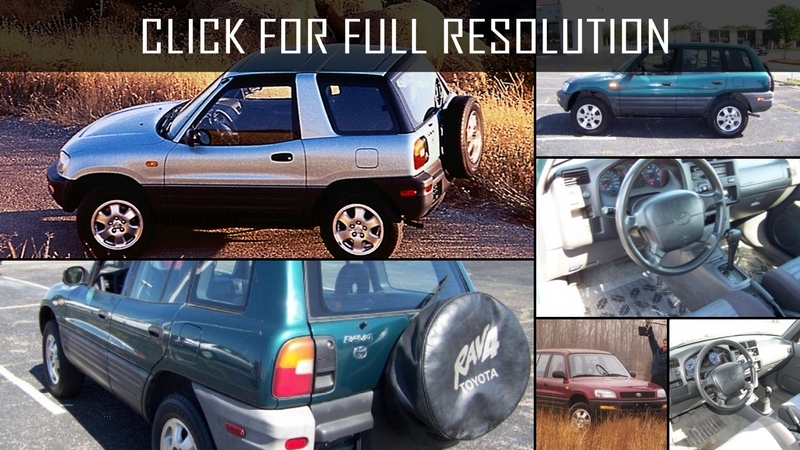 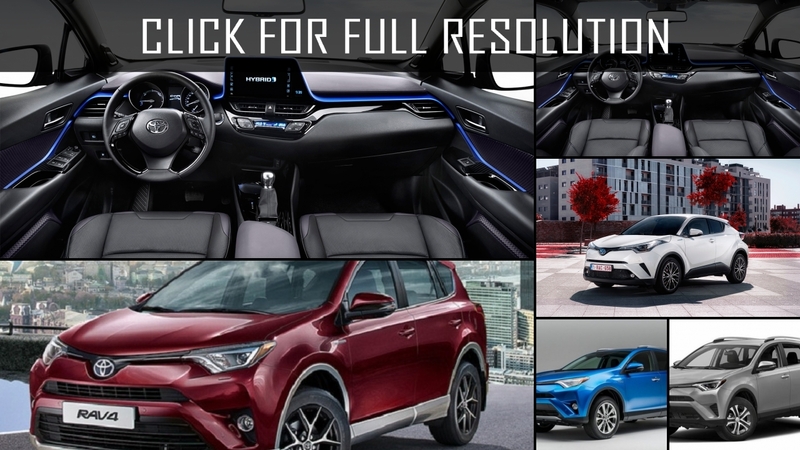 Below the list of all 185 modifications of Toyota Rav4 and production years from 1994 to 2019. 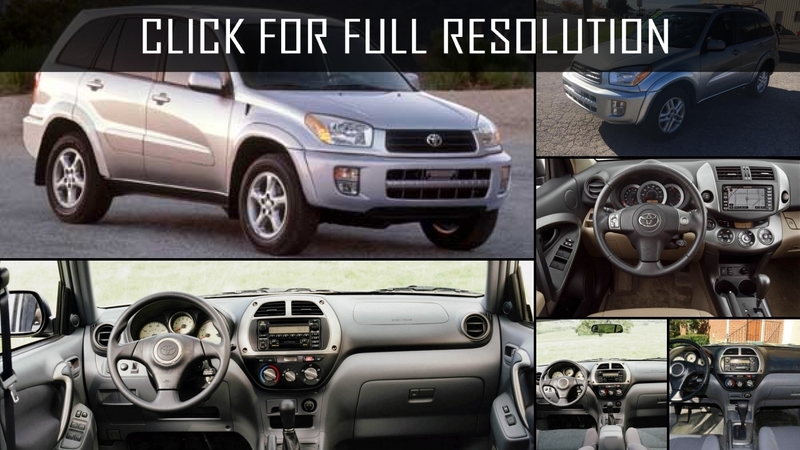 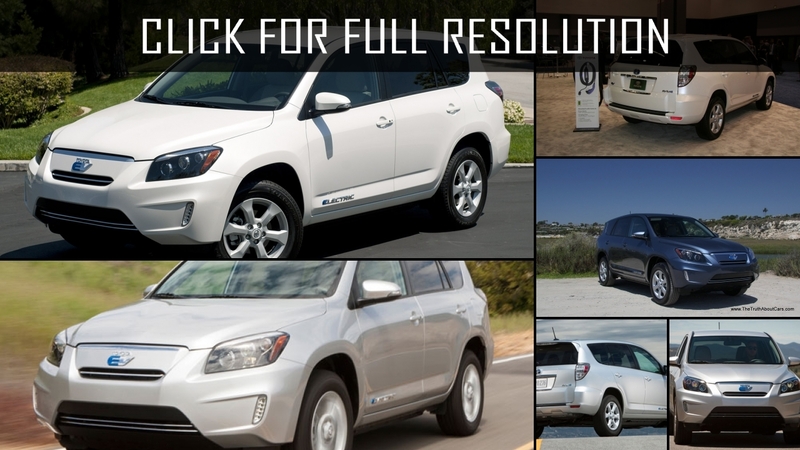 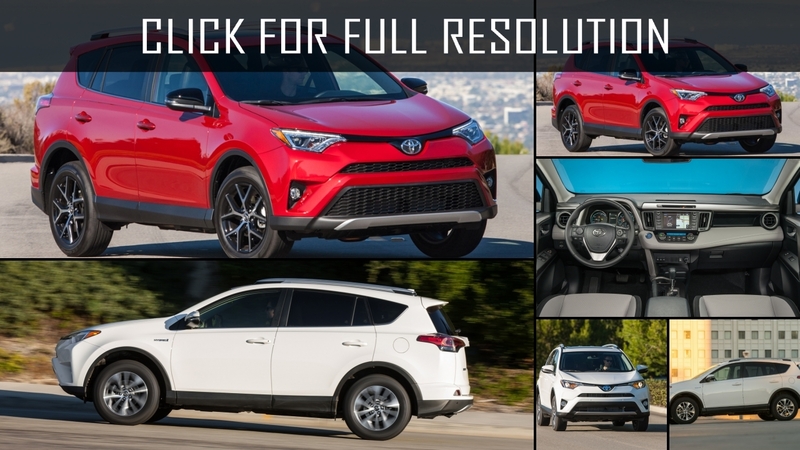 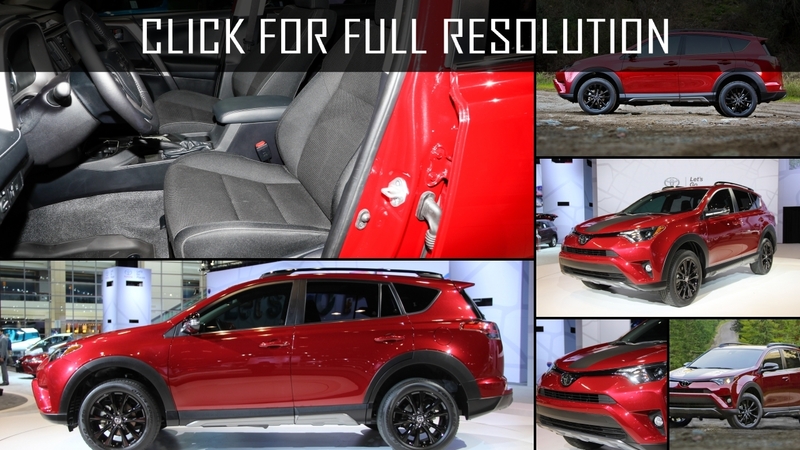 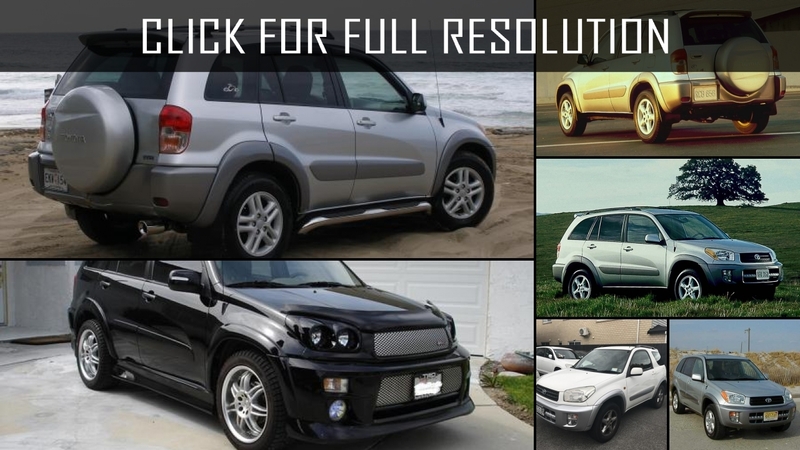 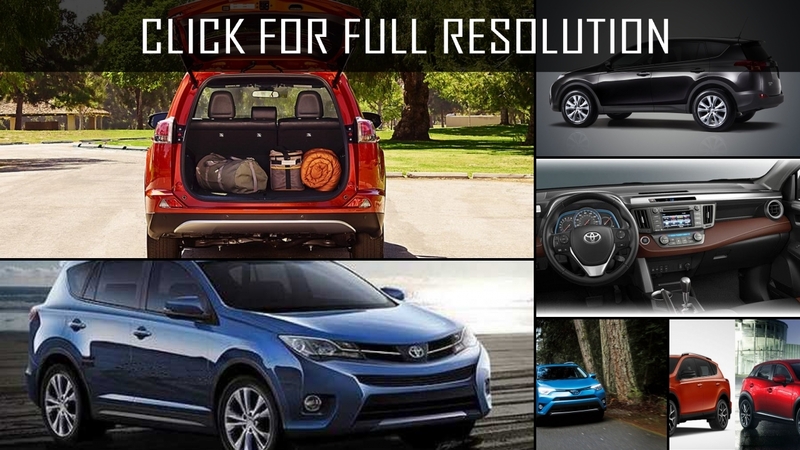 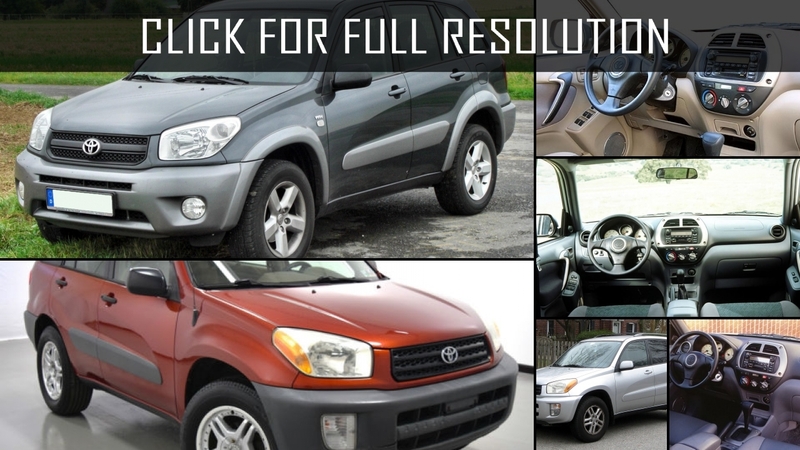 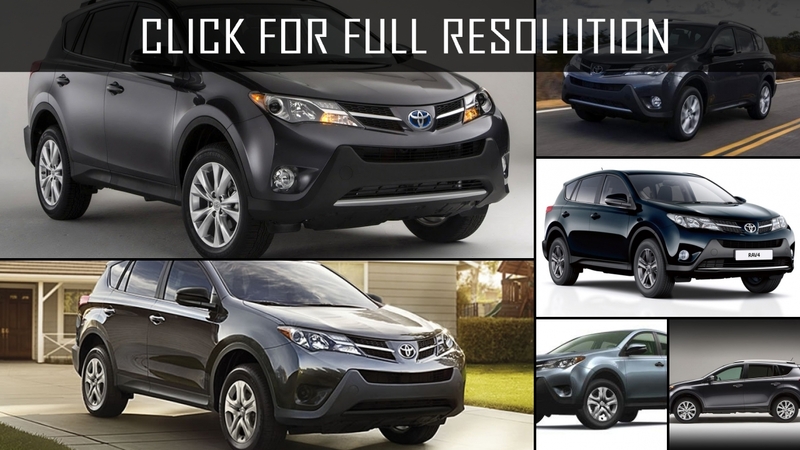 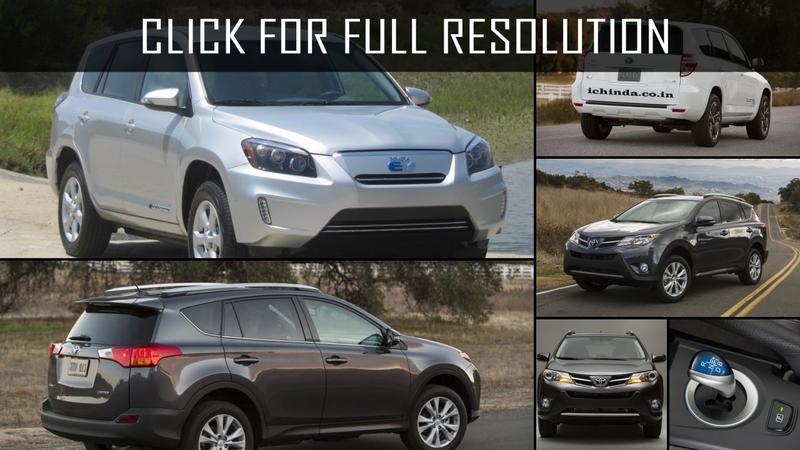 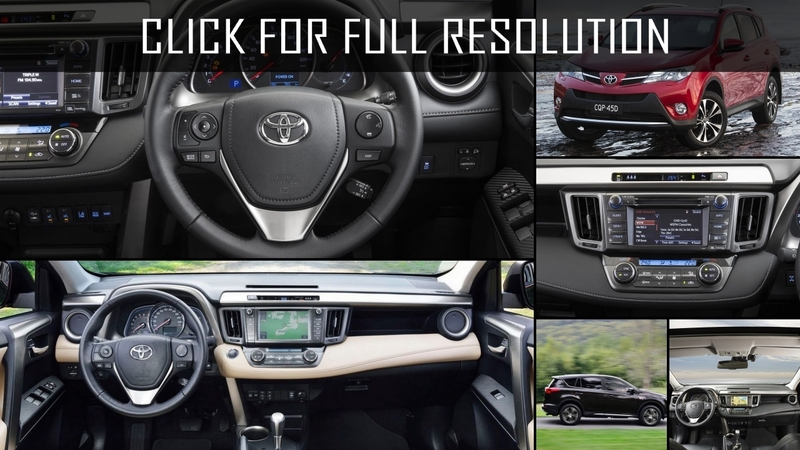 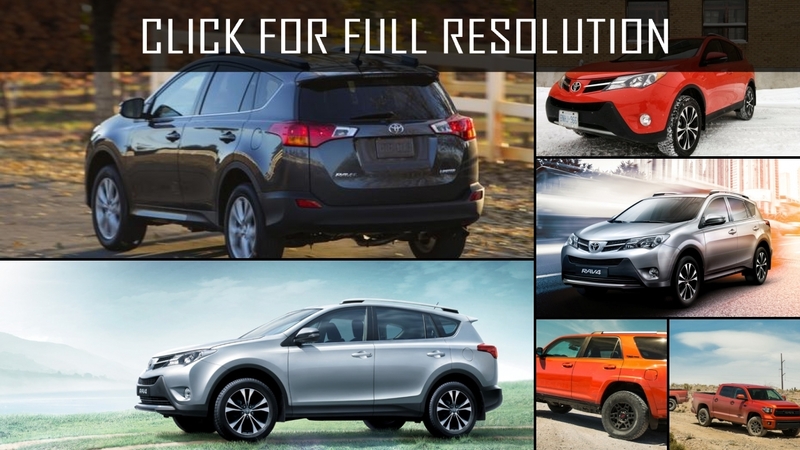 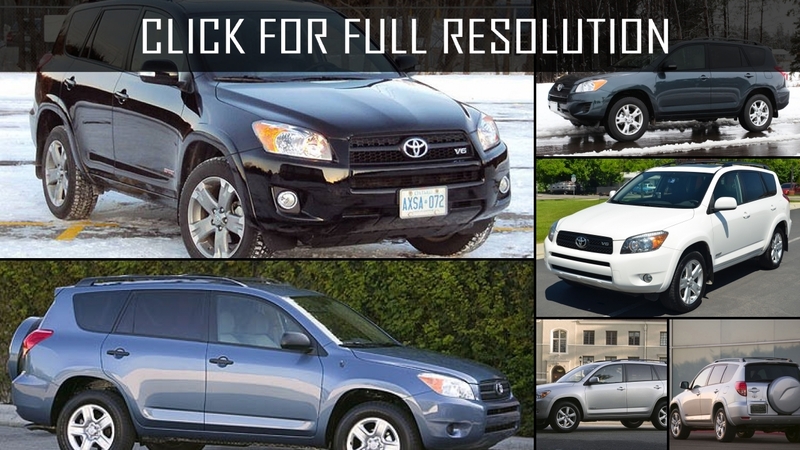 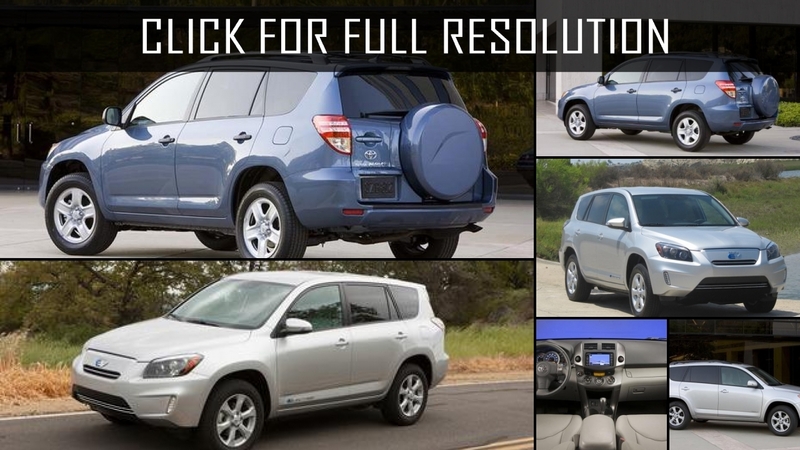 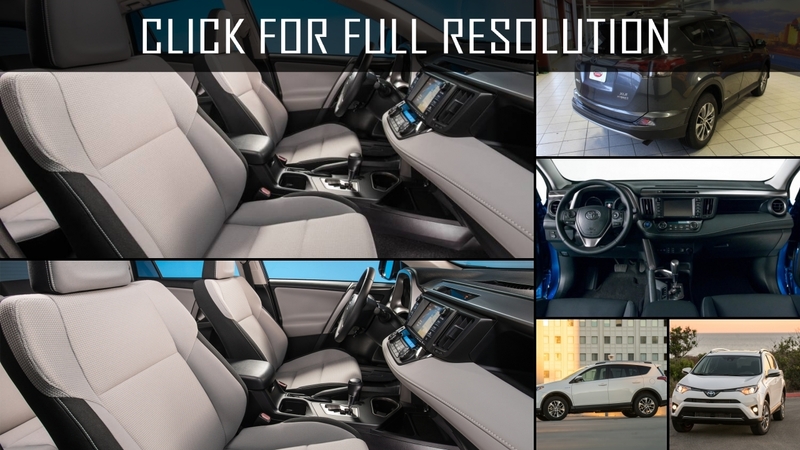 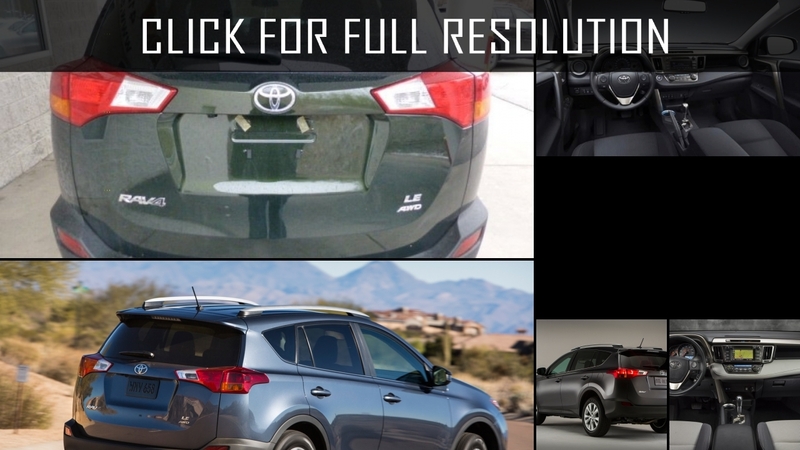 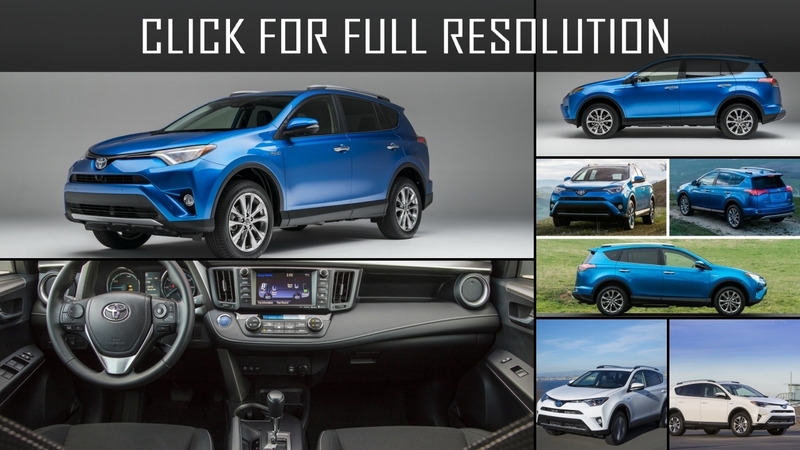 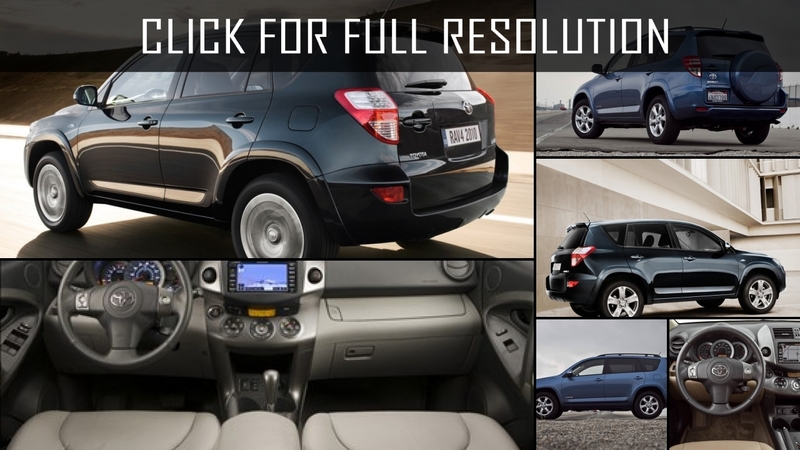 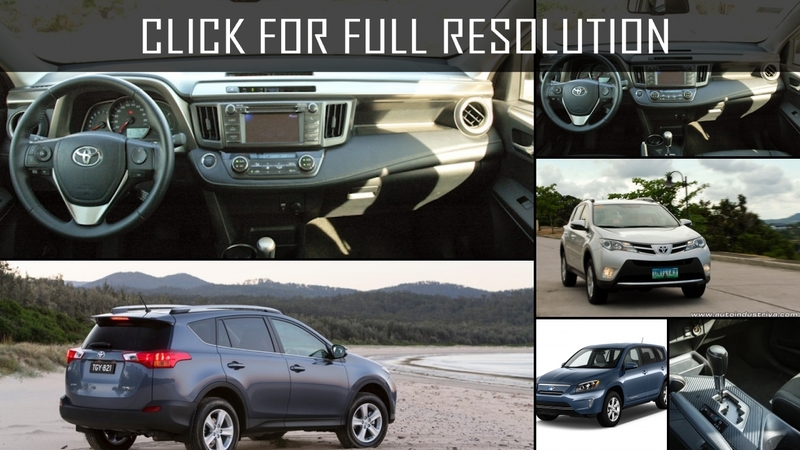 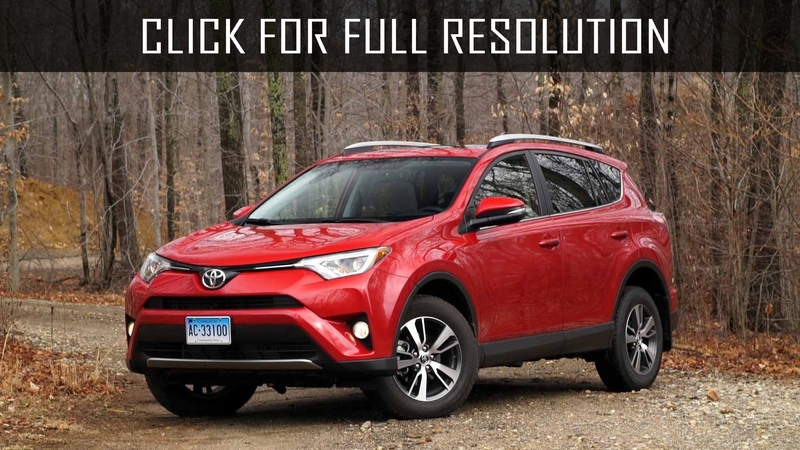 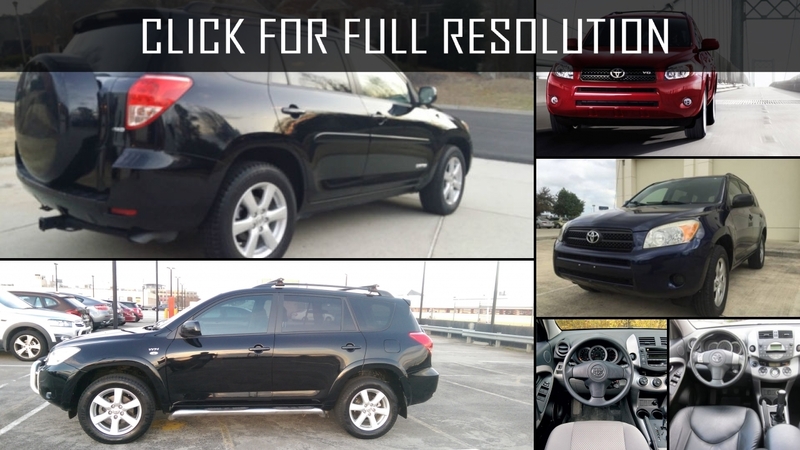 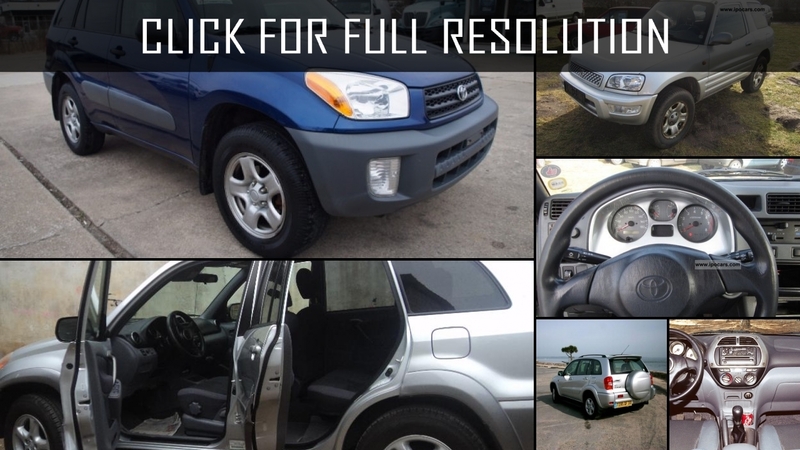 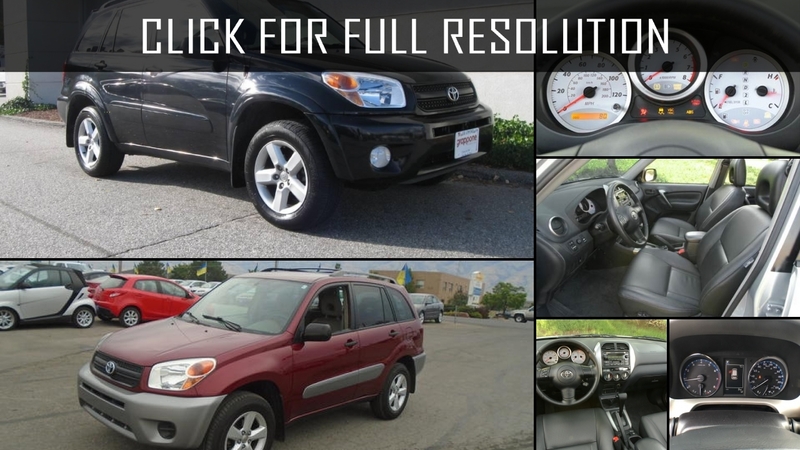 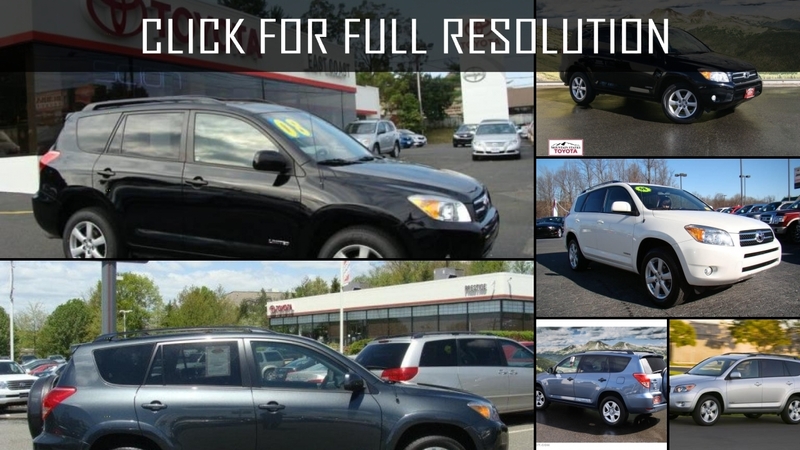 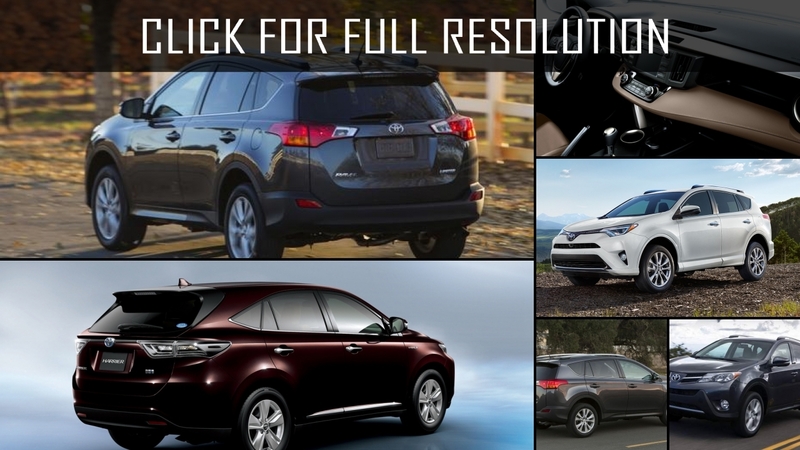 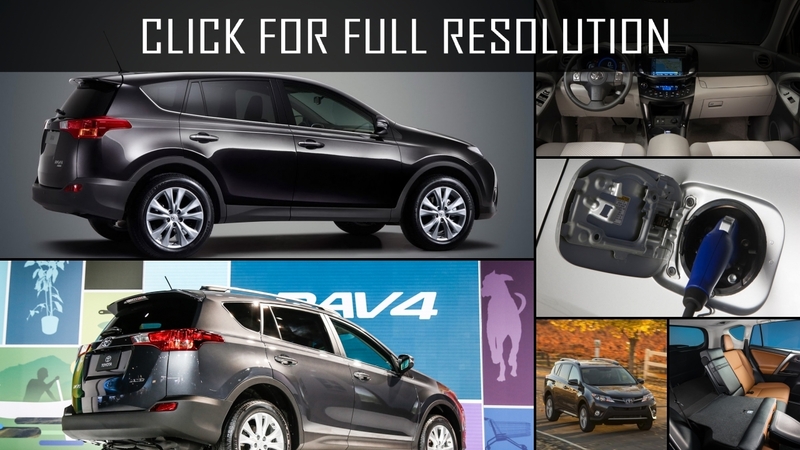 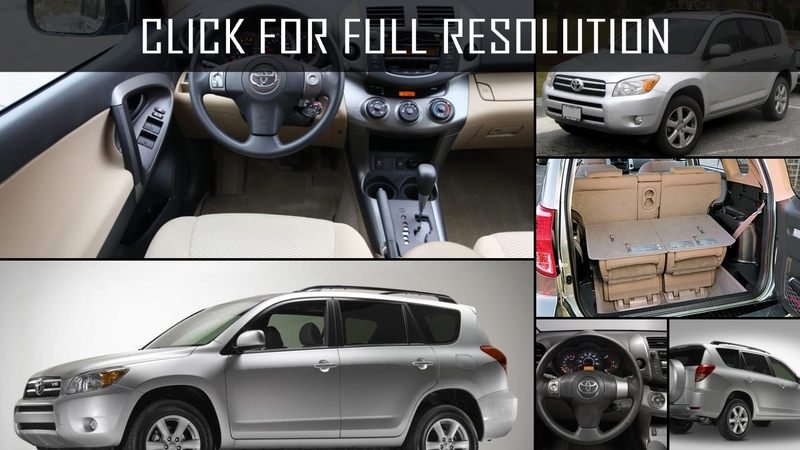 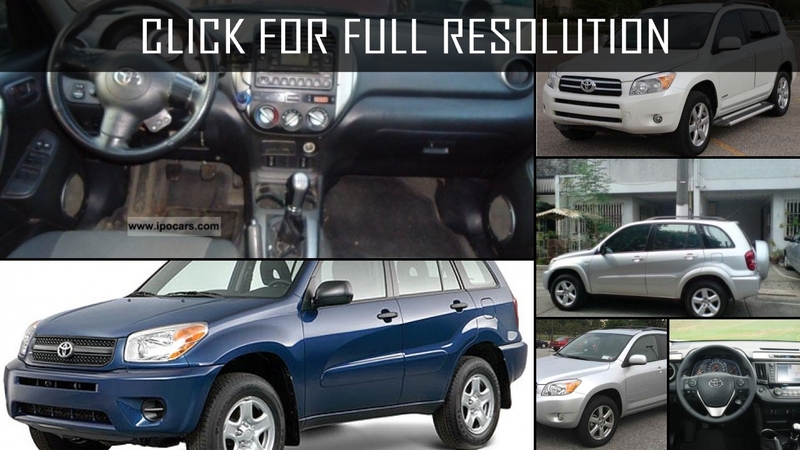 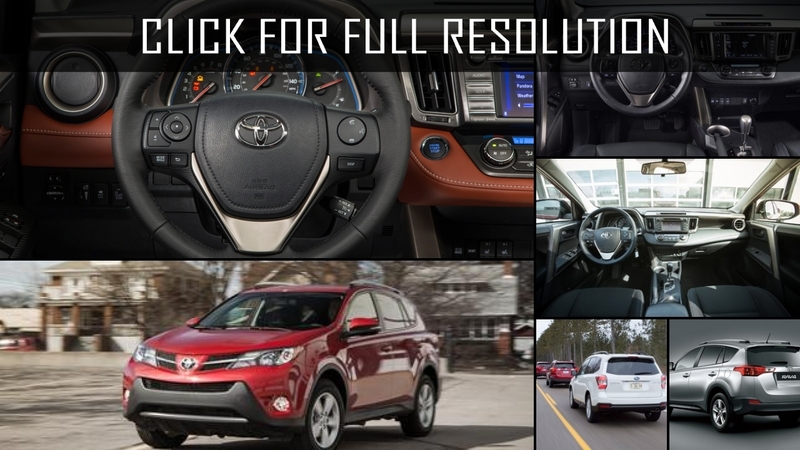 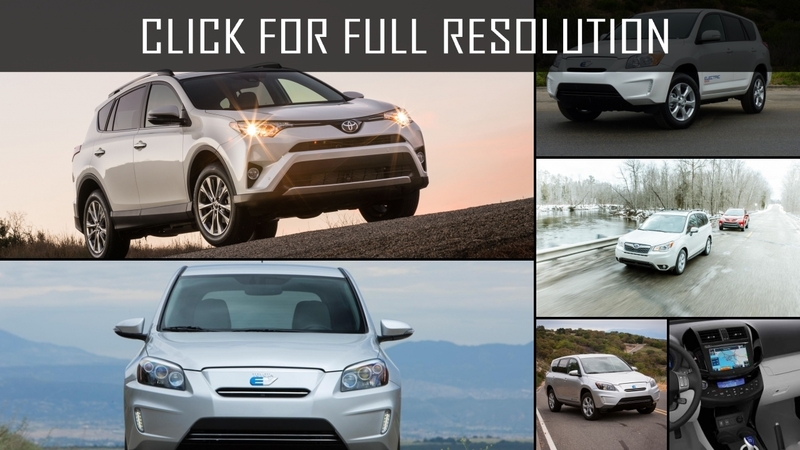 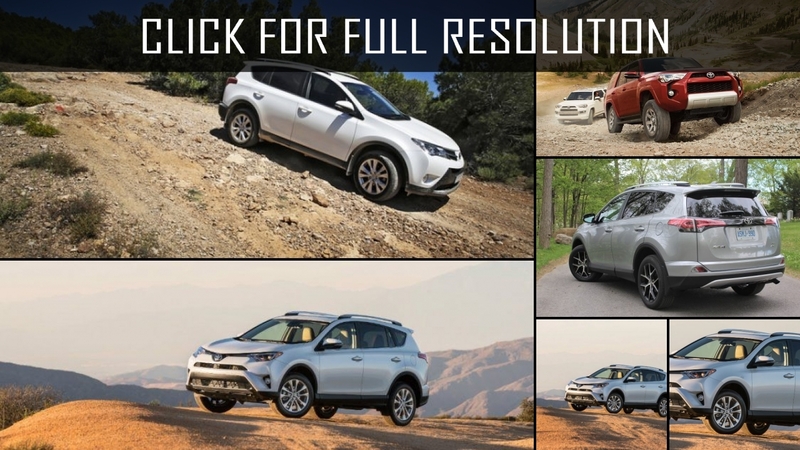 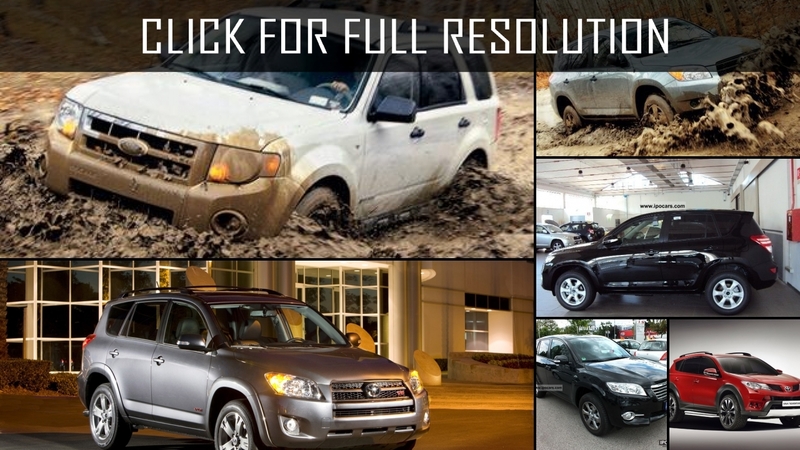 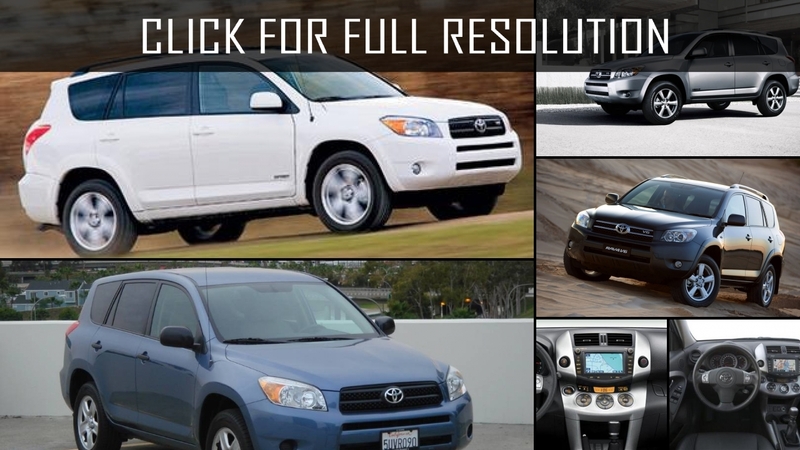 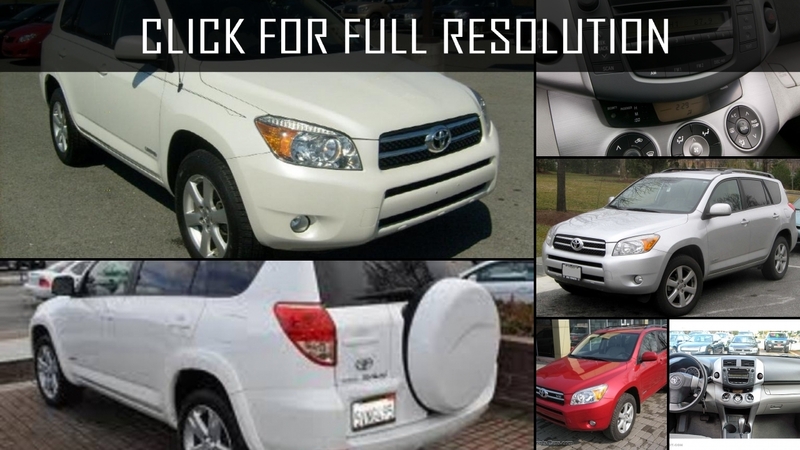 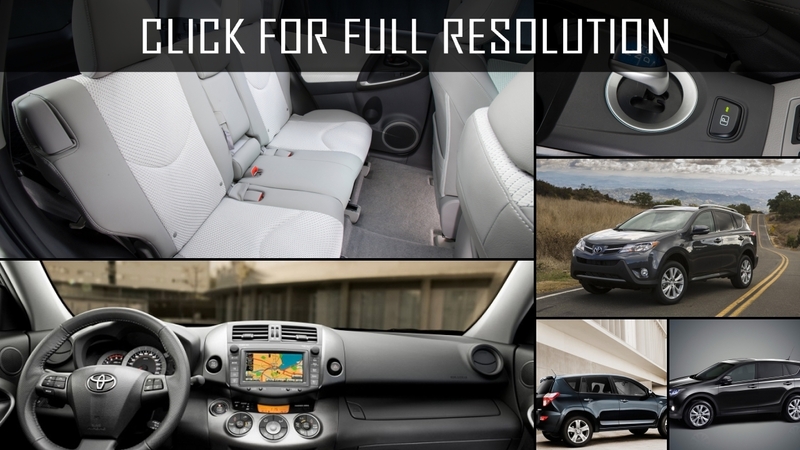 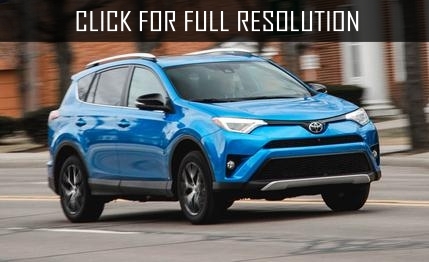 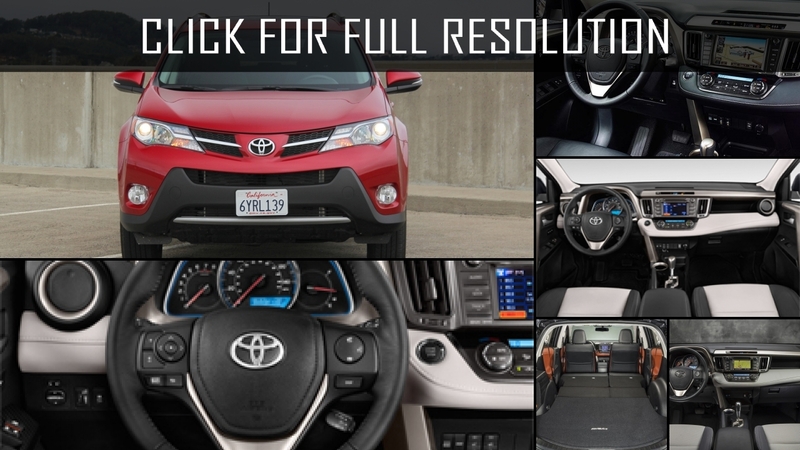 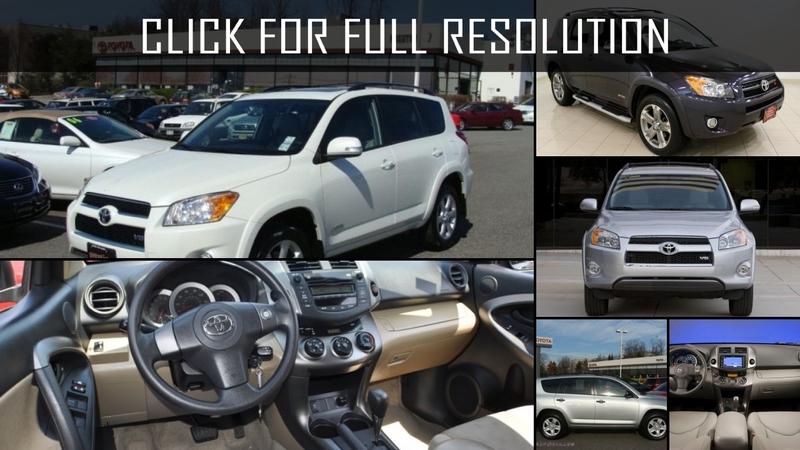 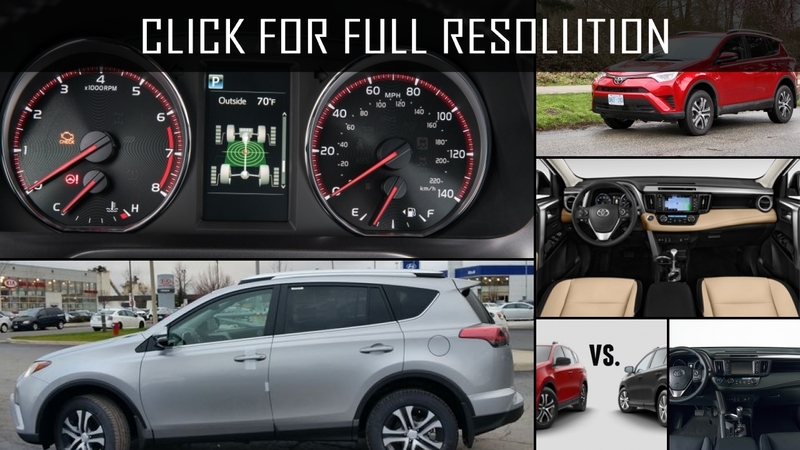 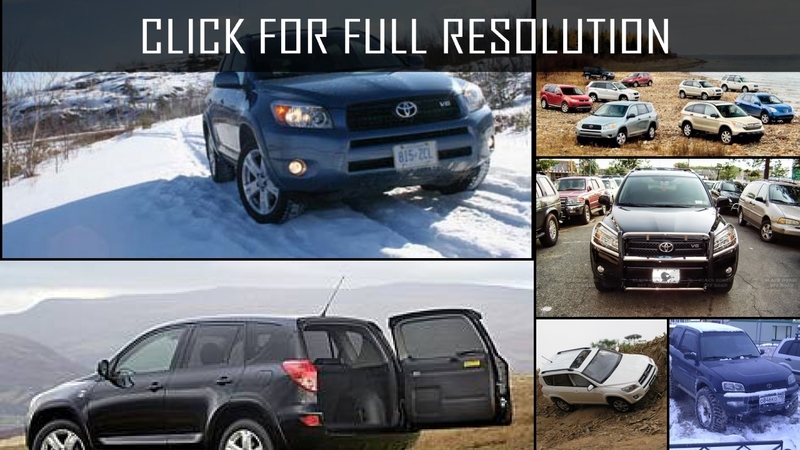 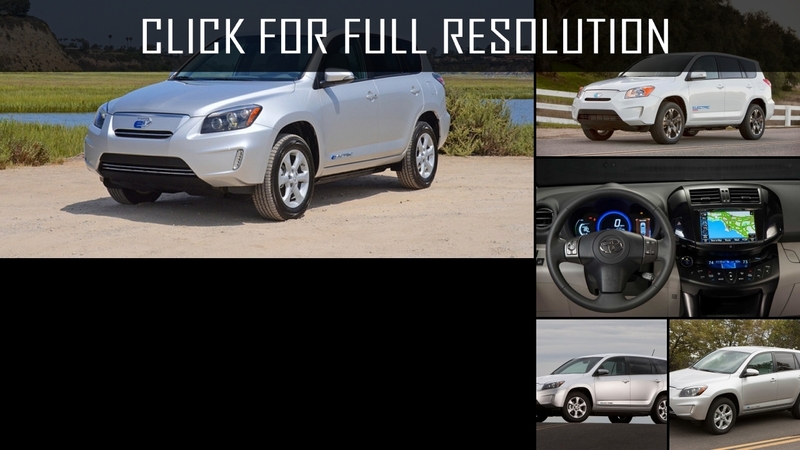 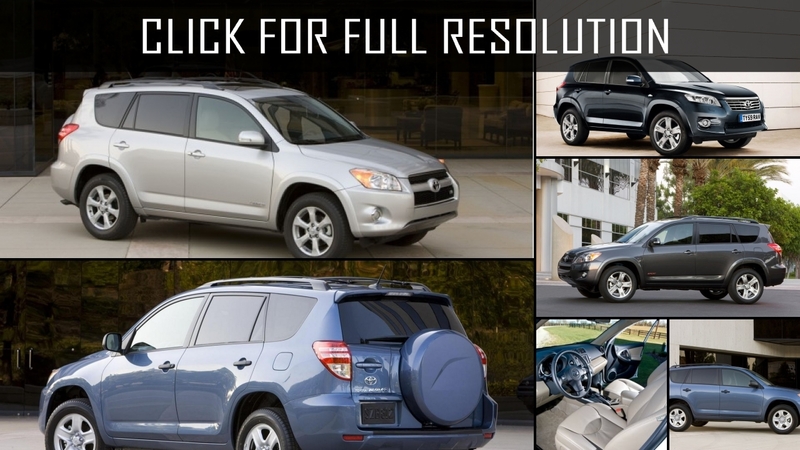 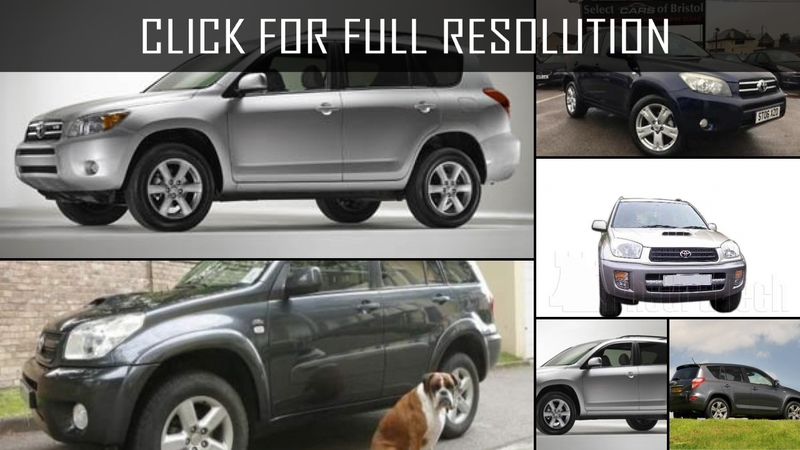 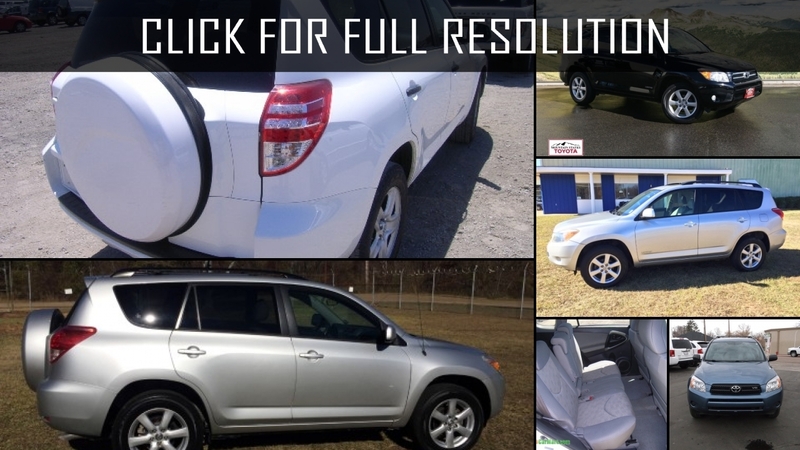 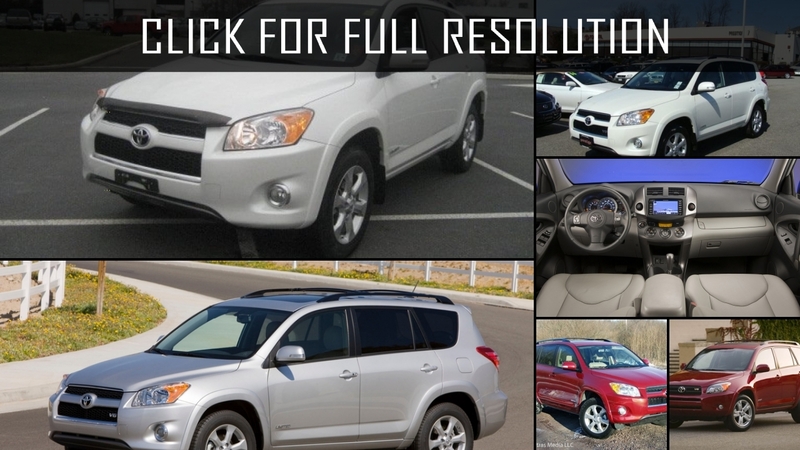 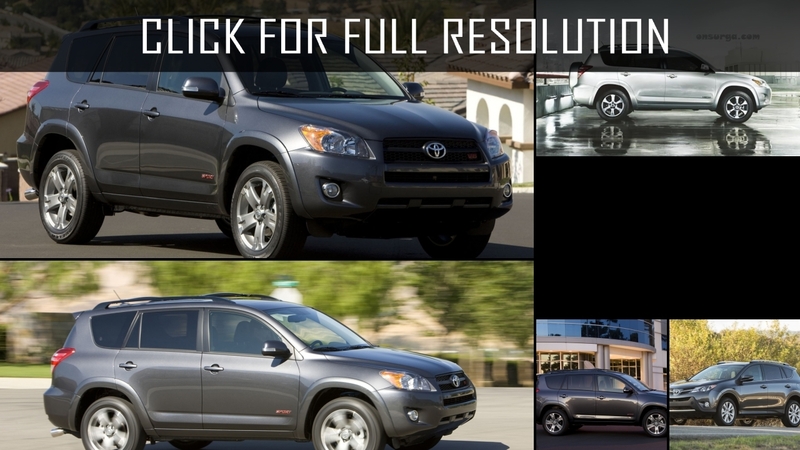 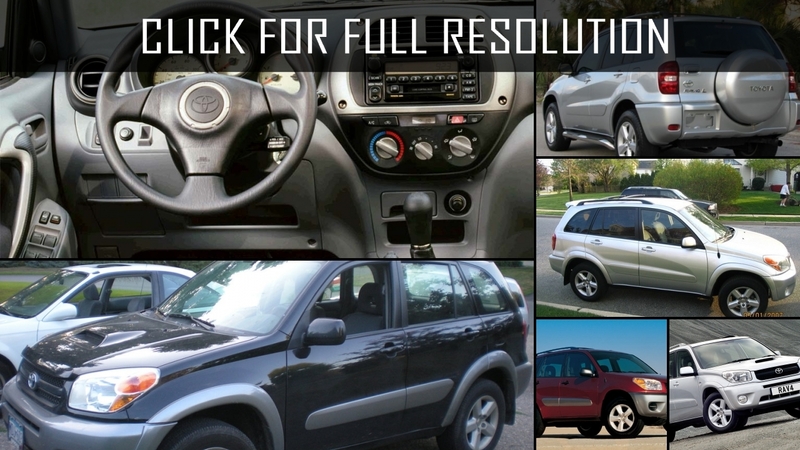 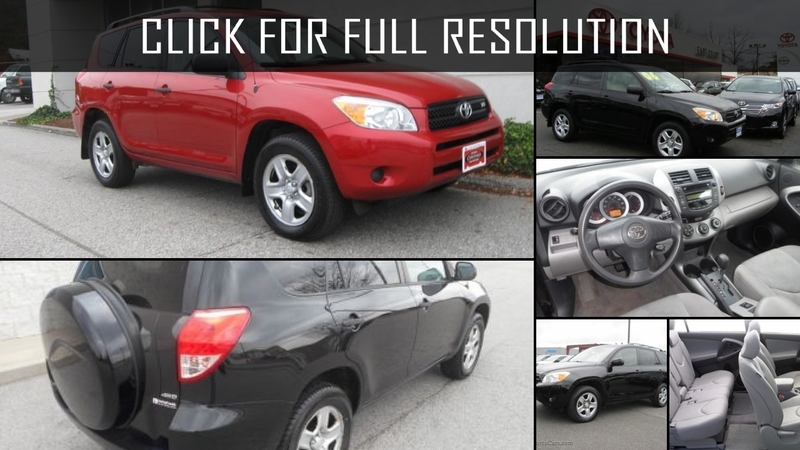 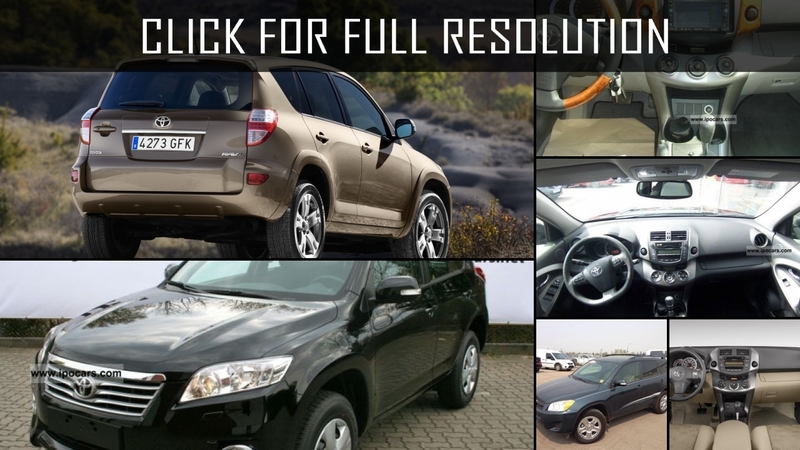 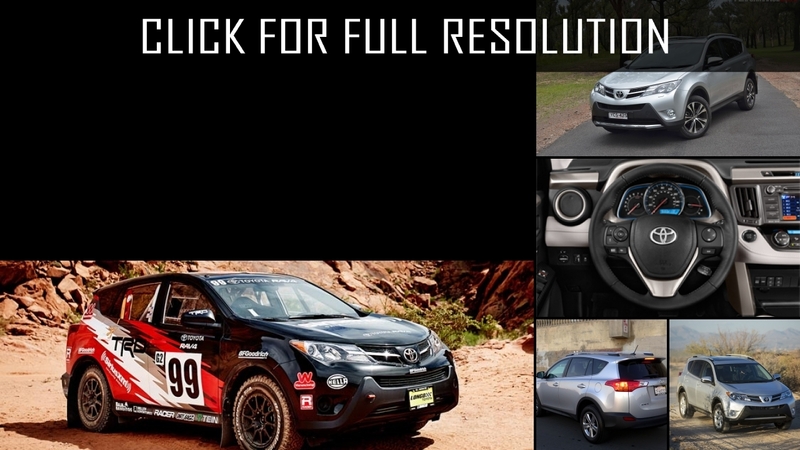 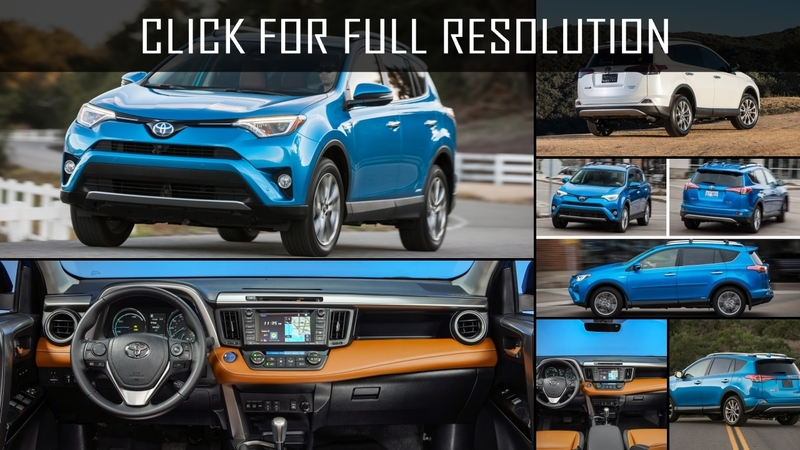 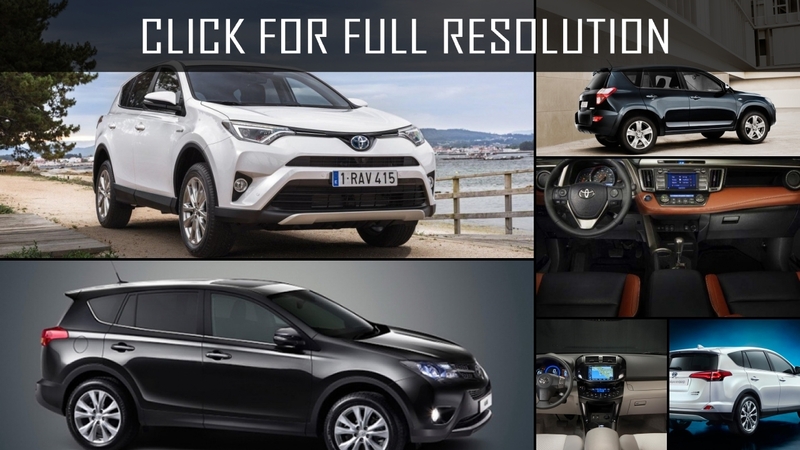 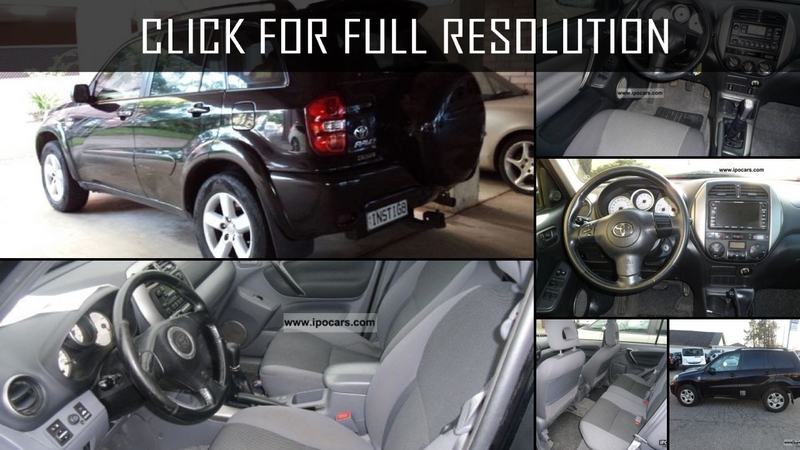 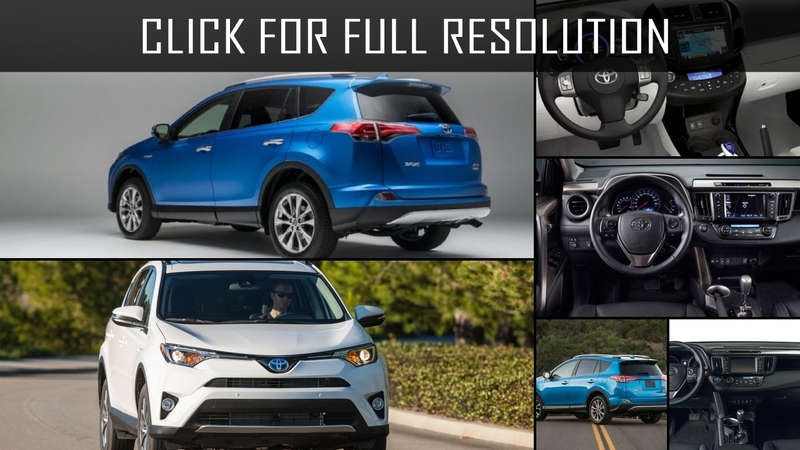 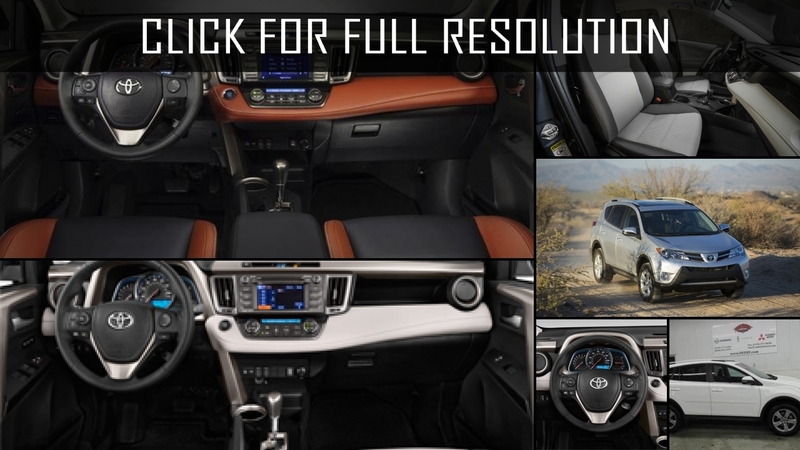 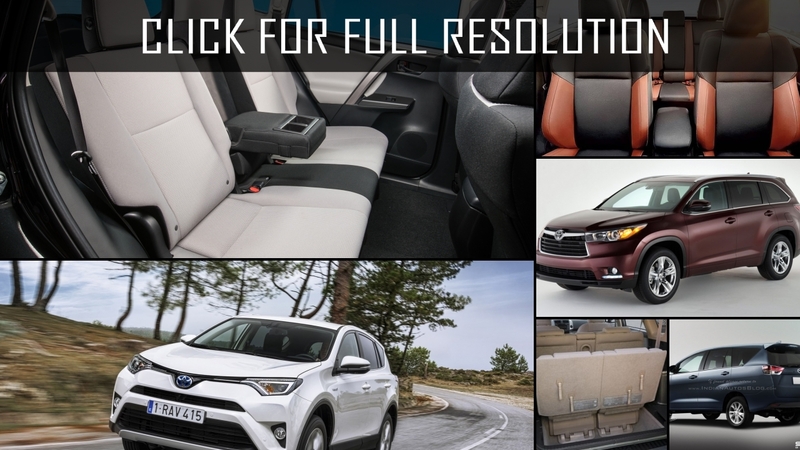 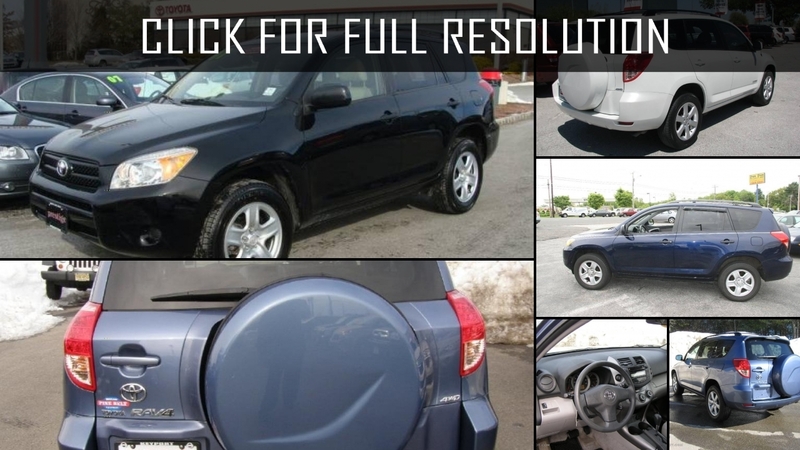 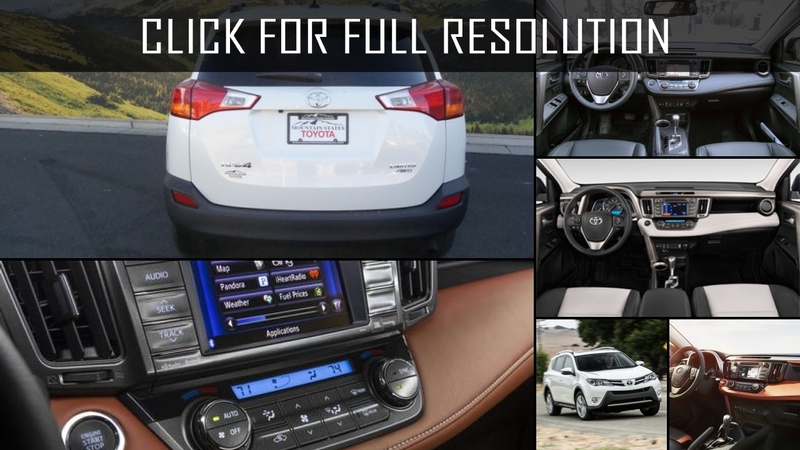 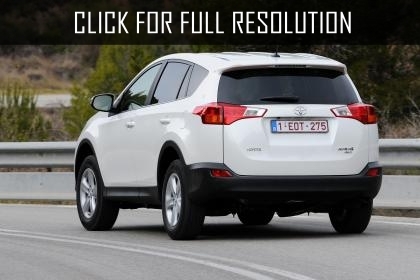 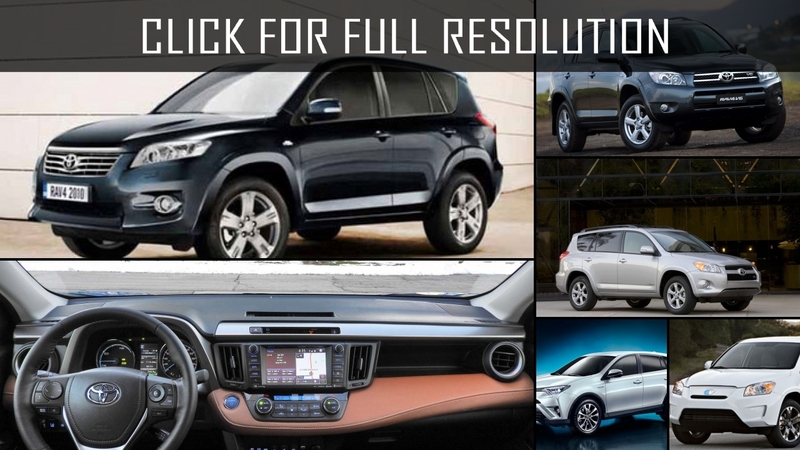 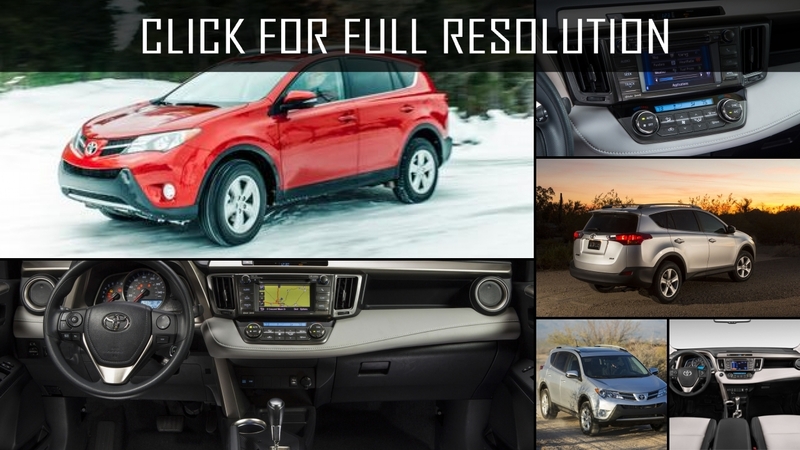 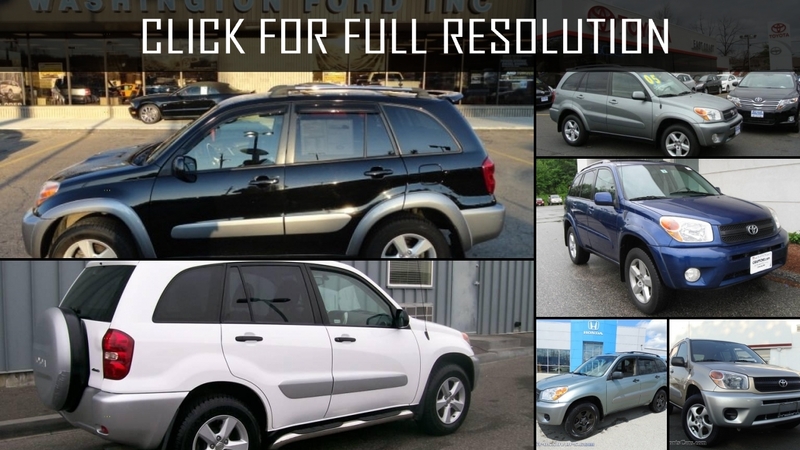 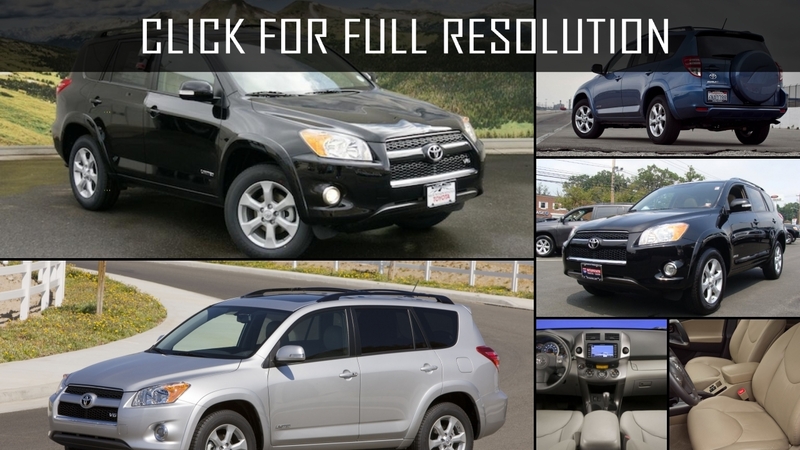 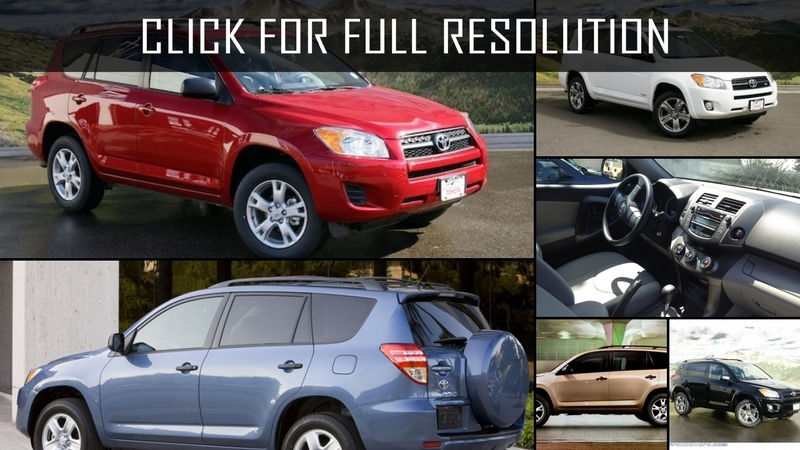 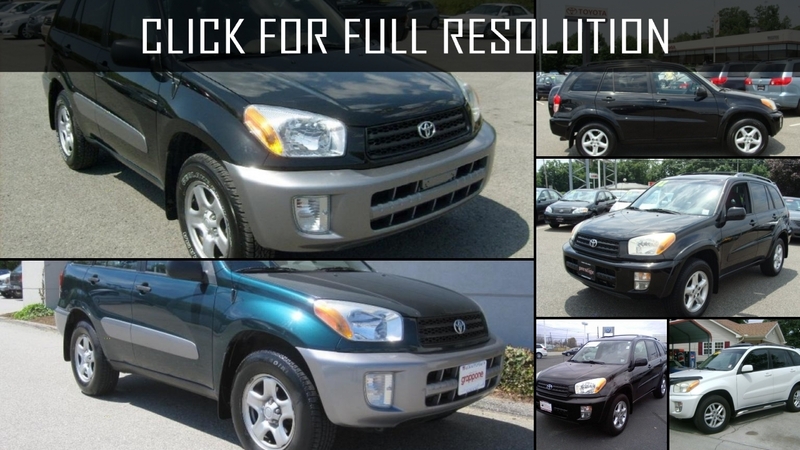 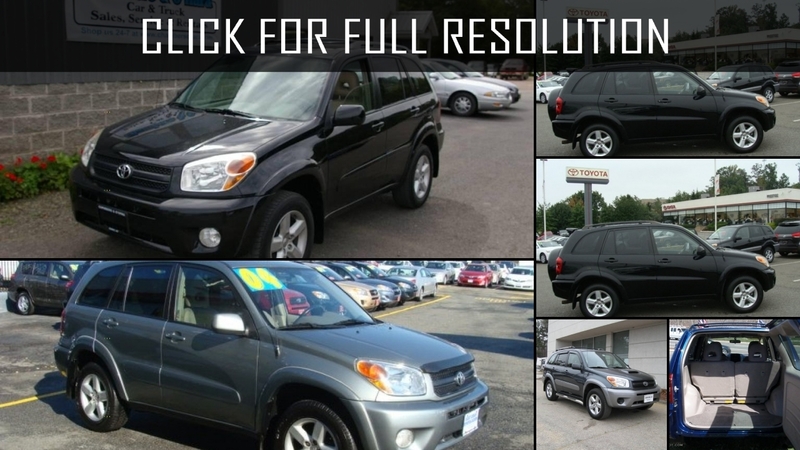 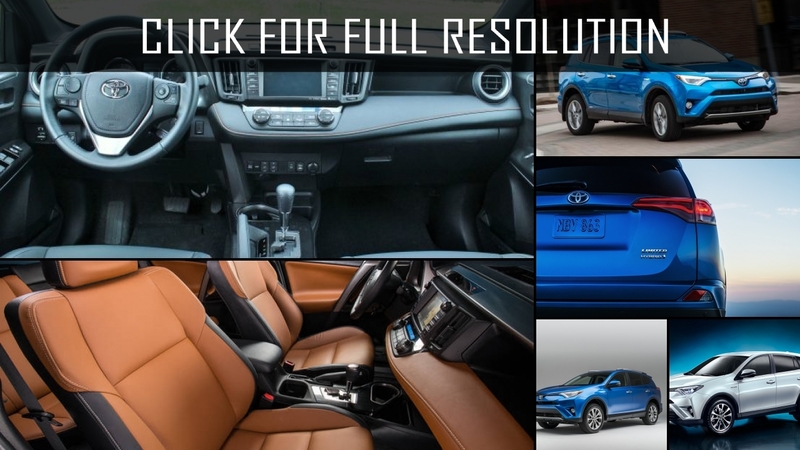 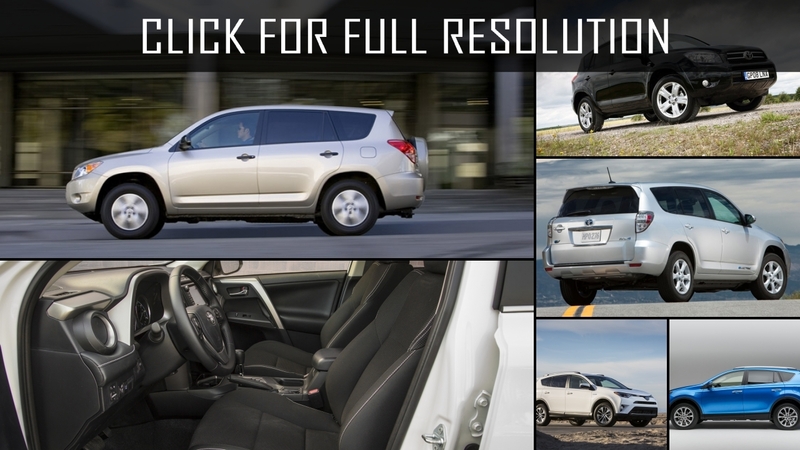 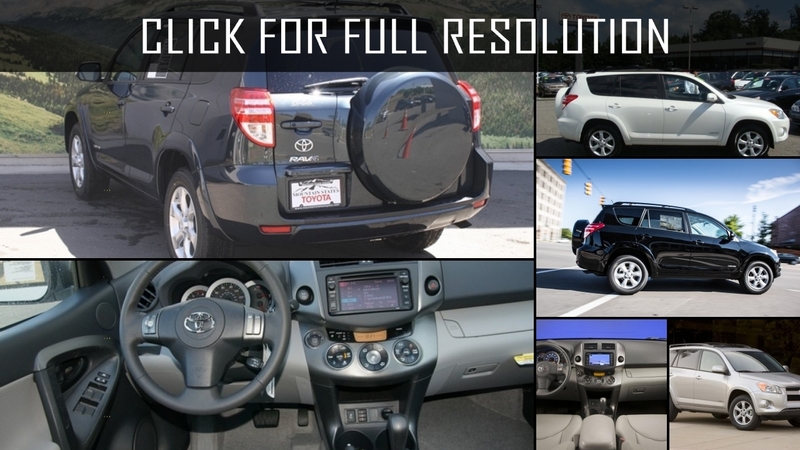 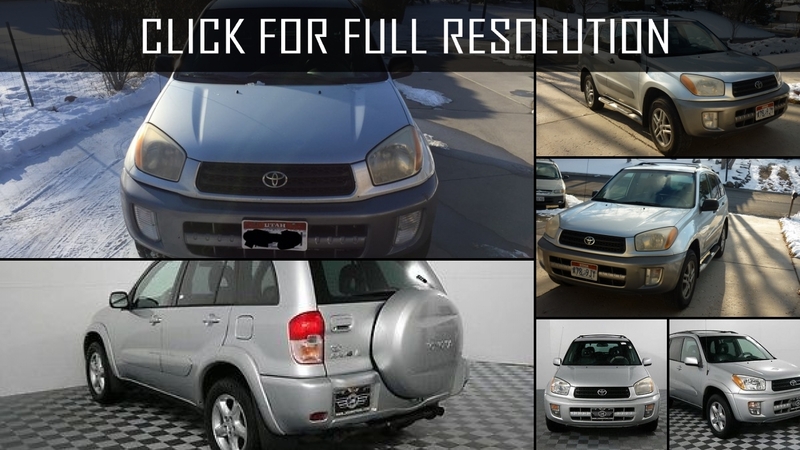 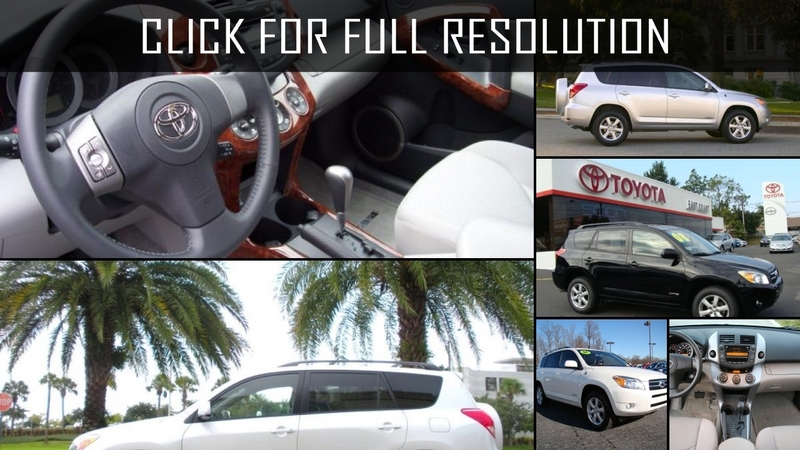 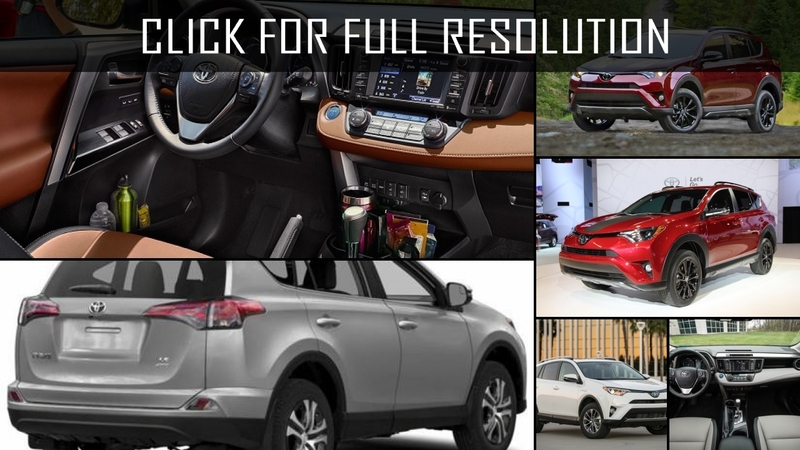 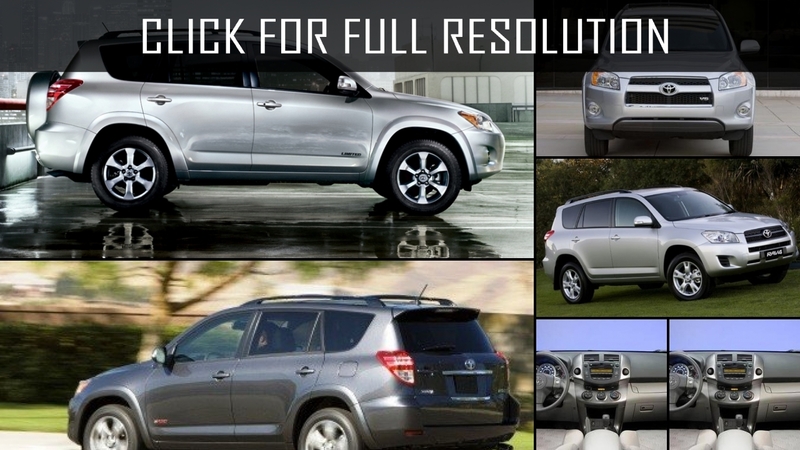 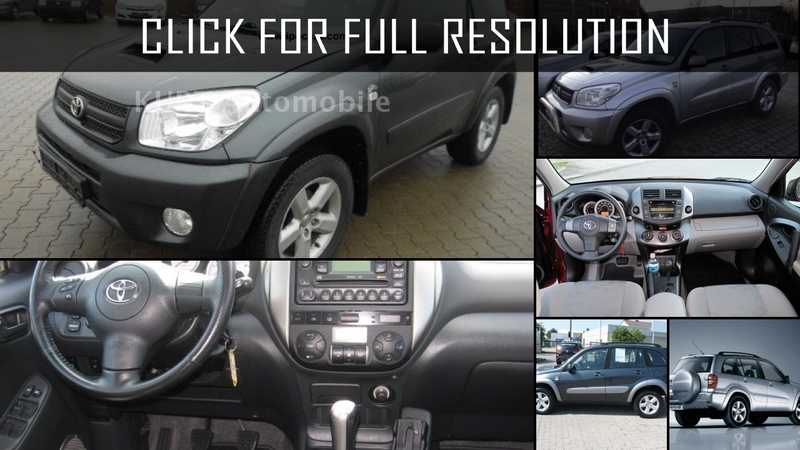 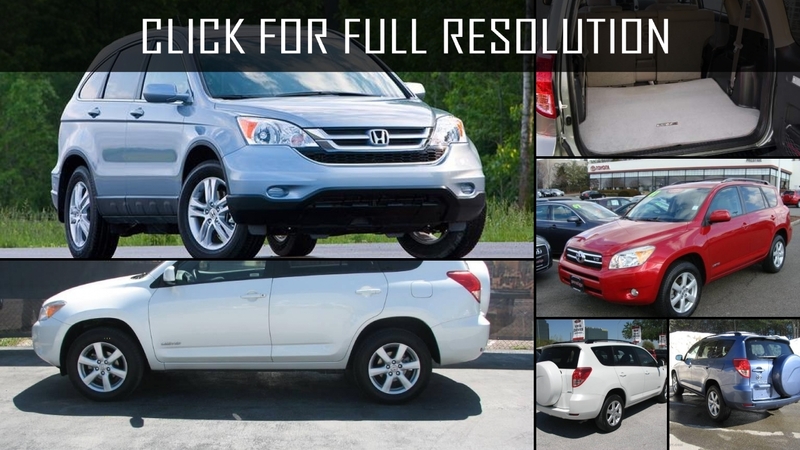 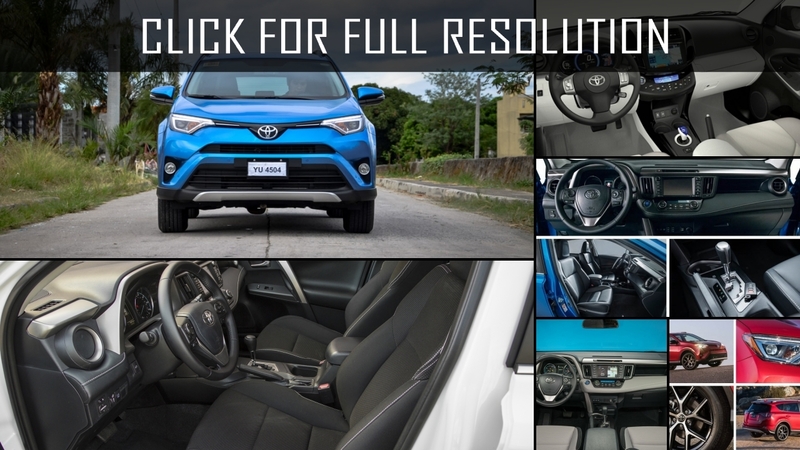 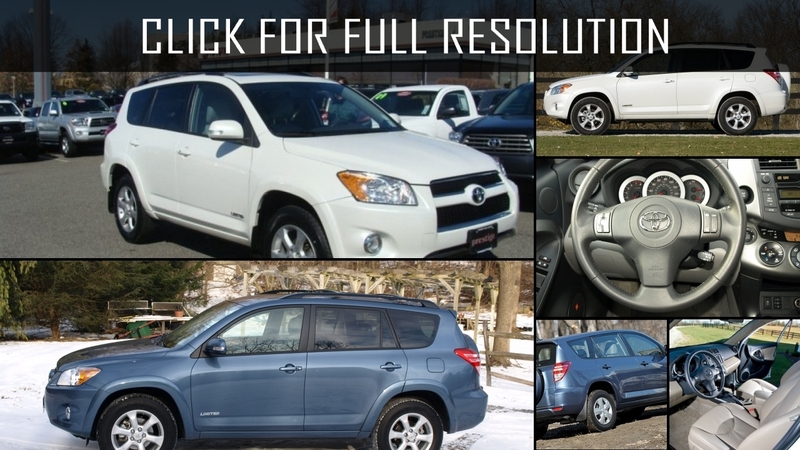 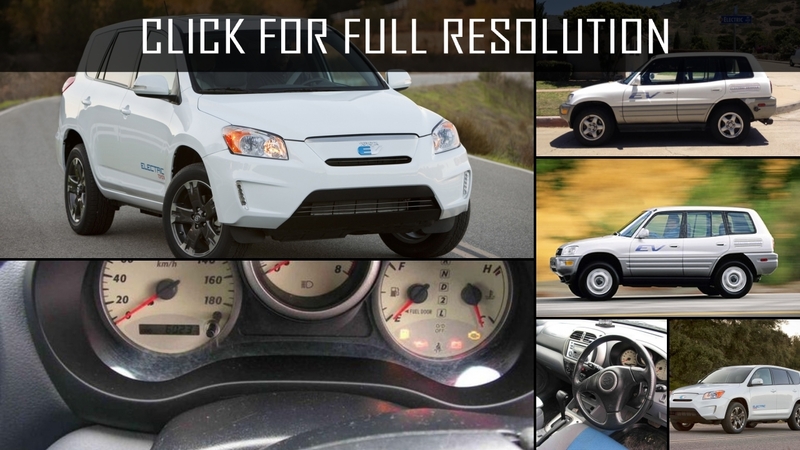 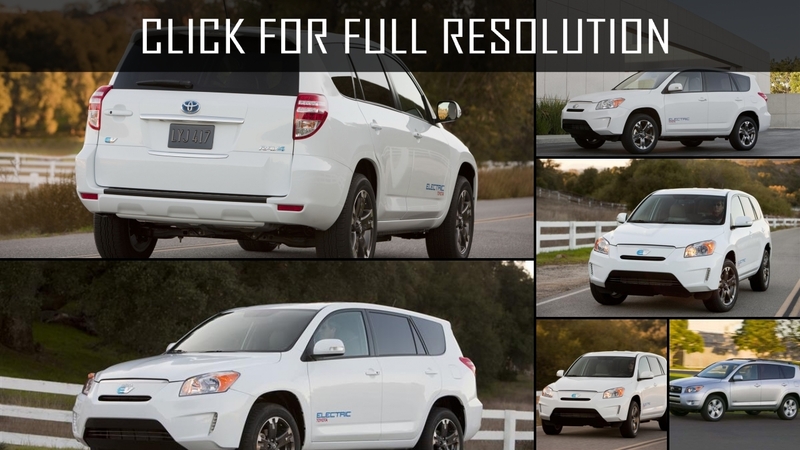 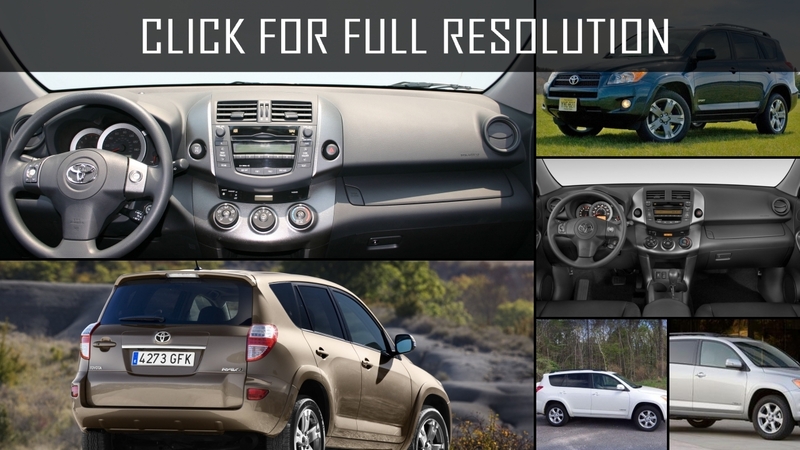 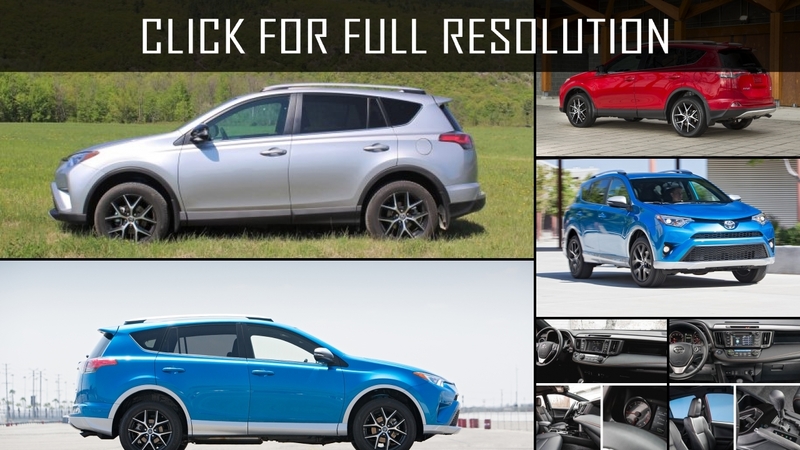 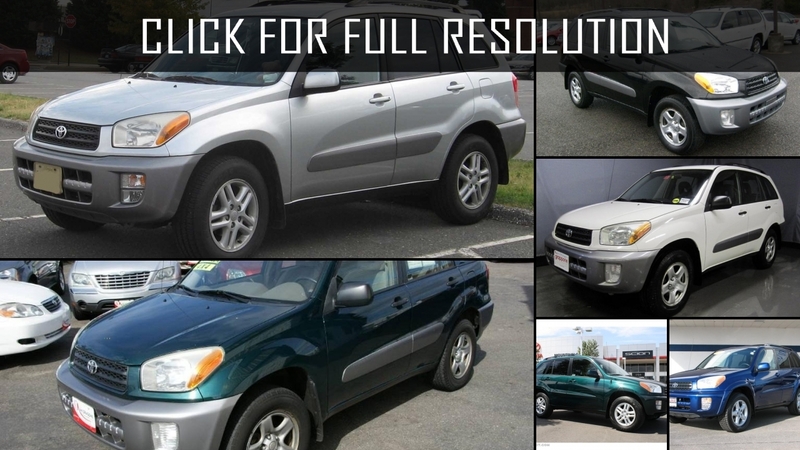 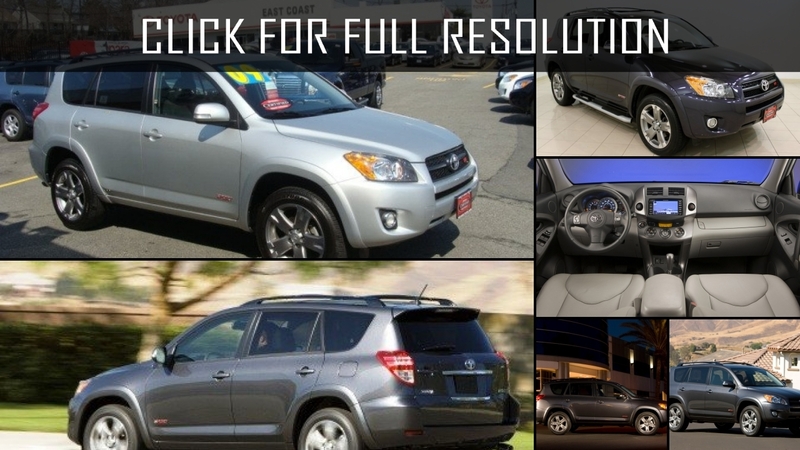 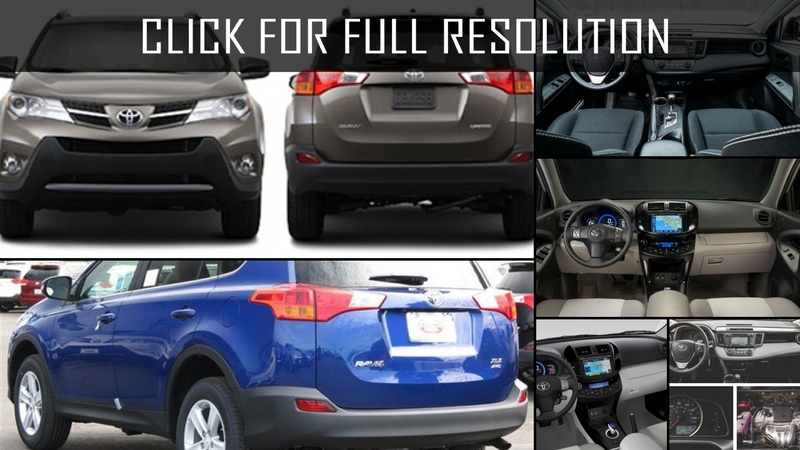 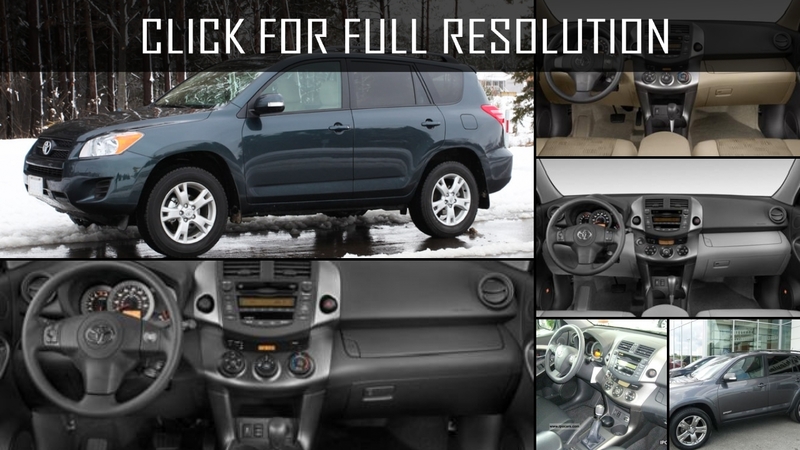 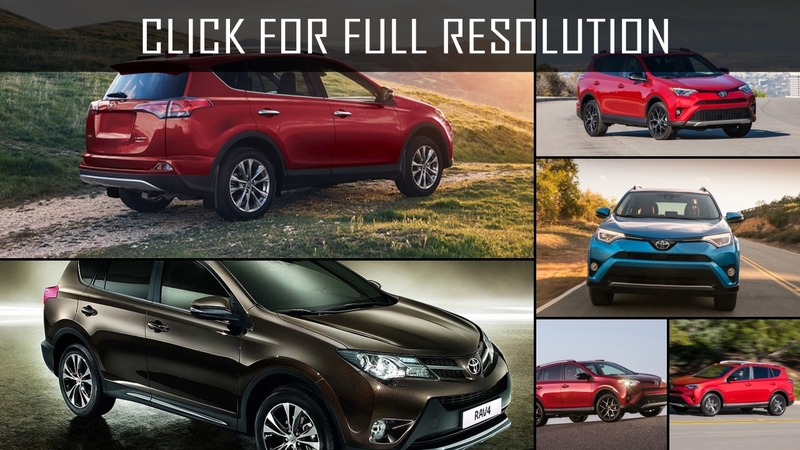 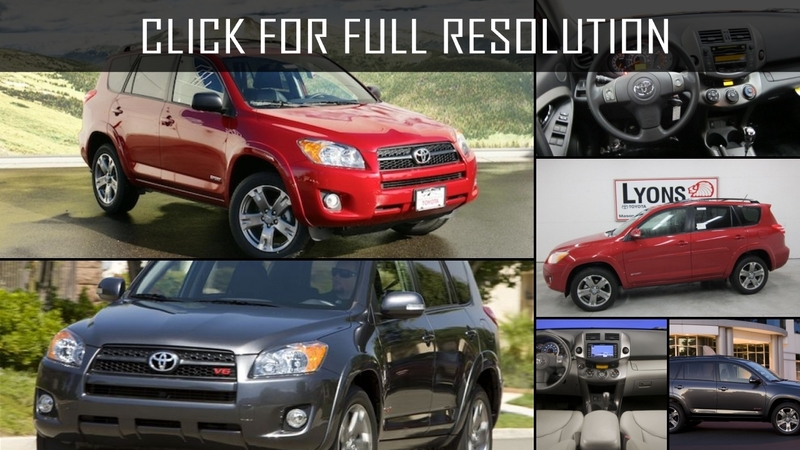 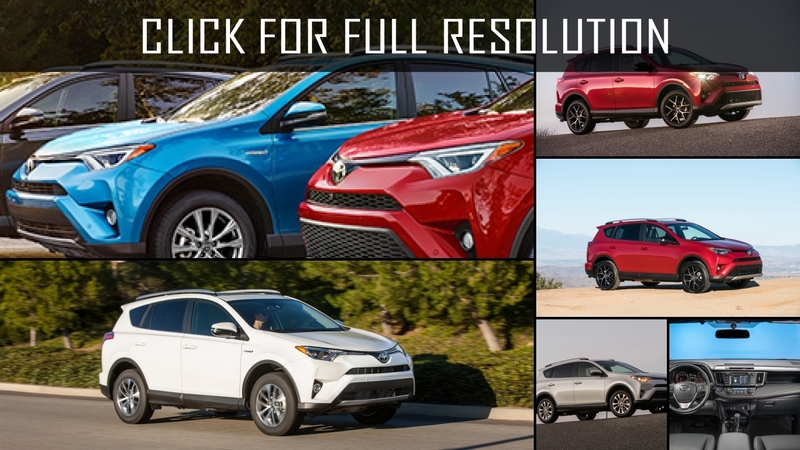 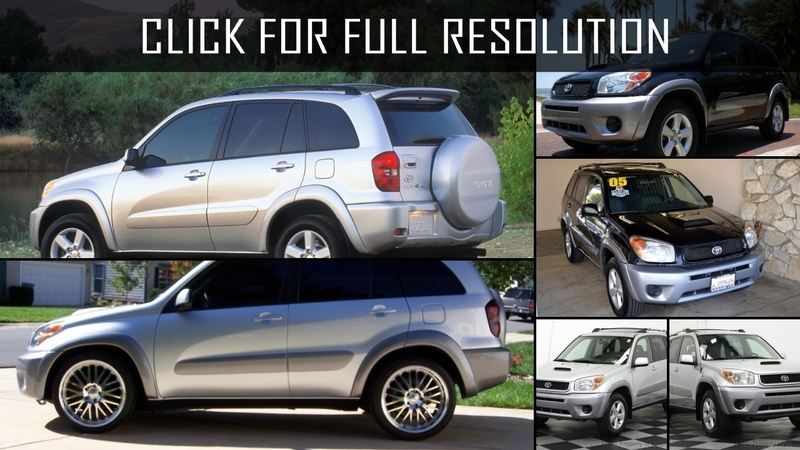 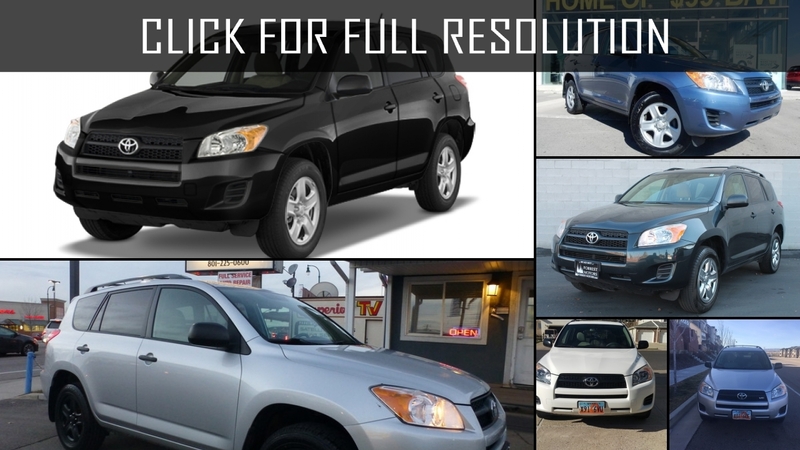 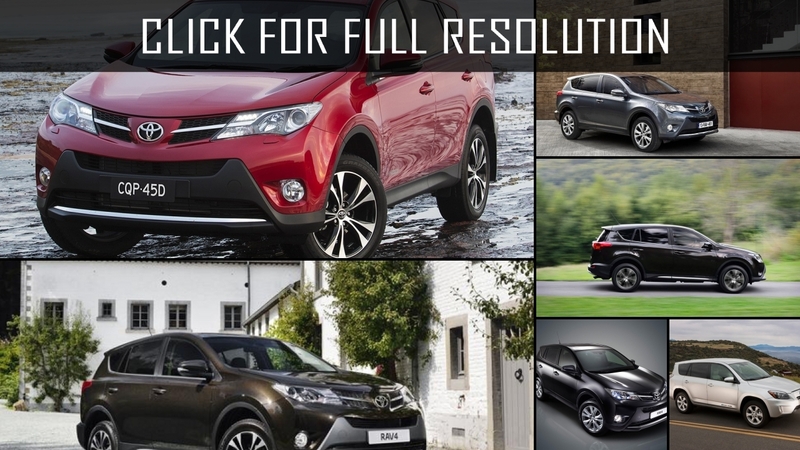 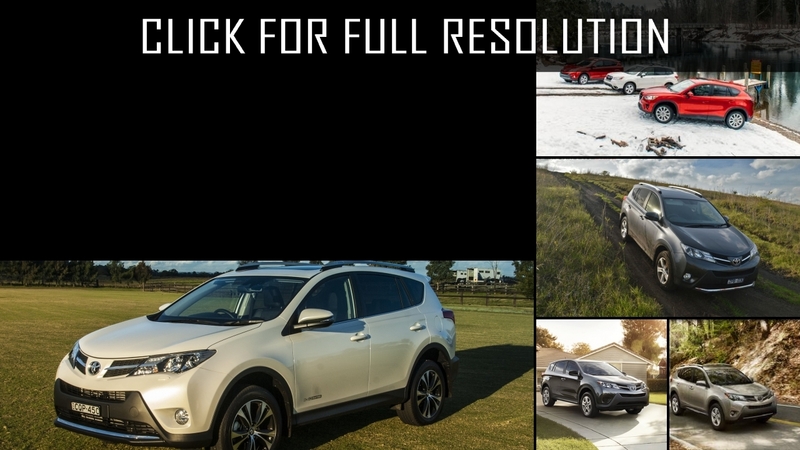 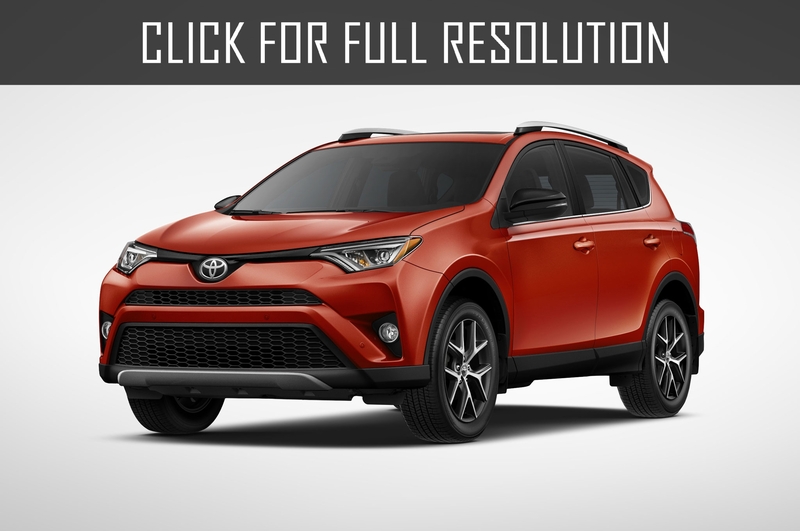 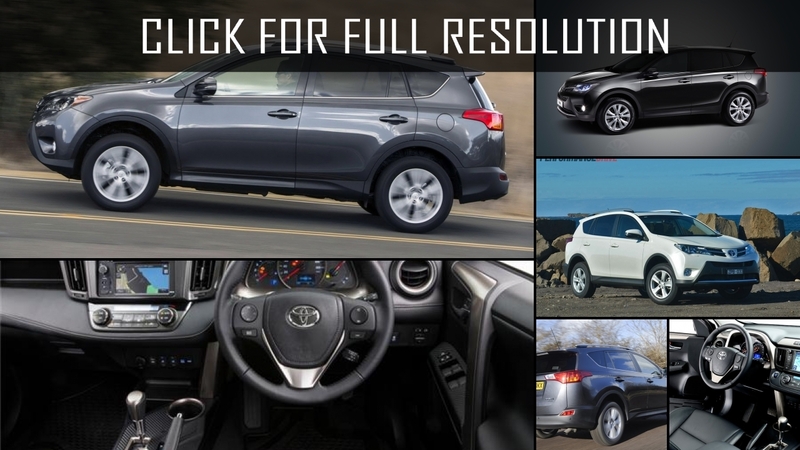 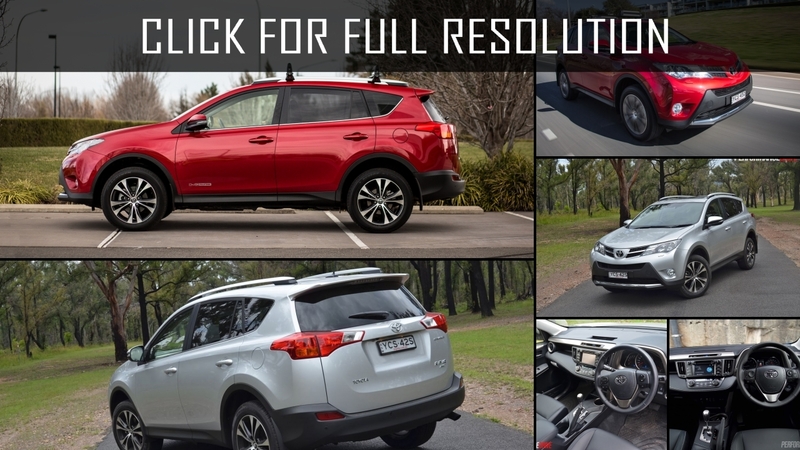 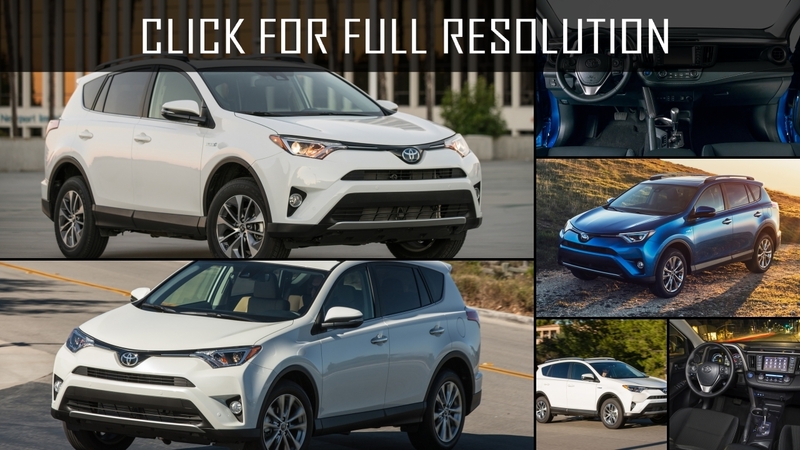 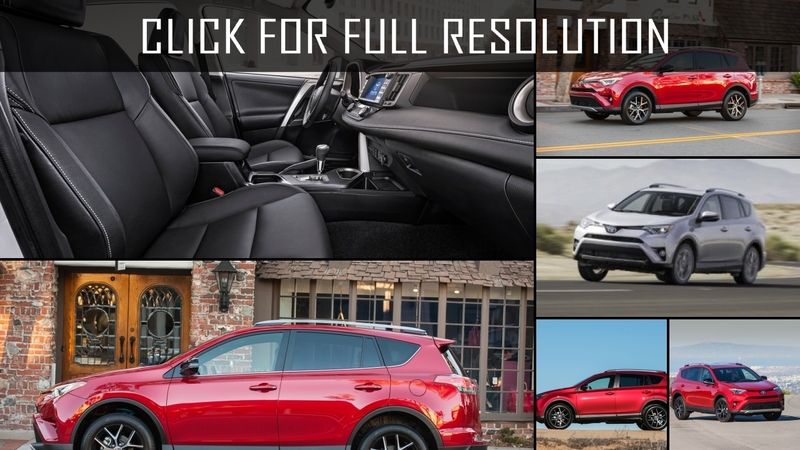 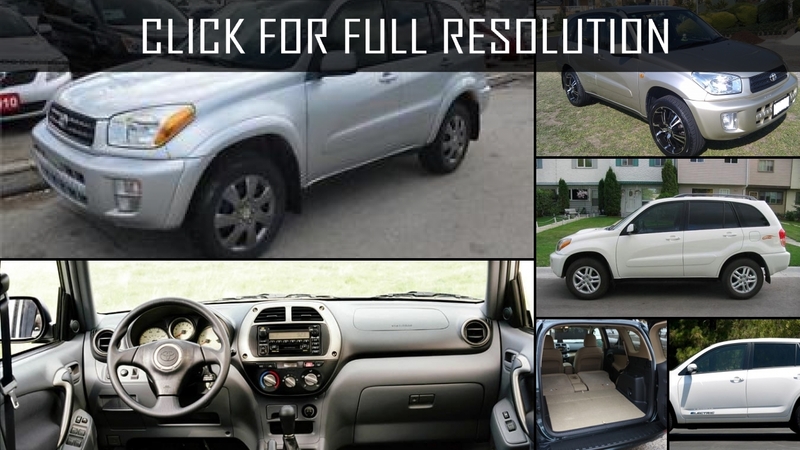 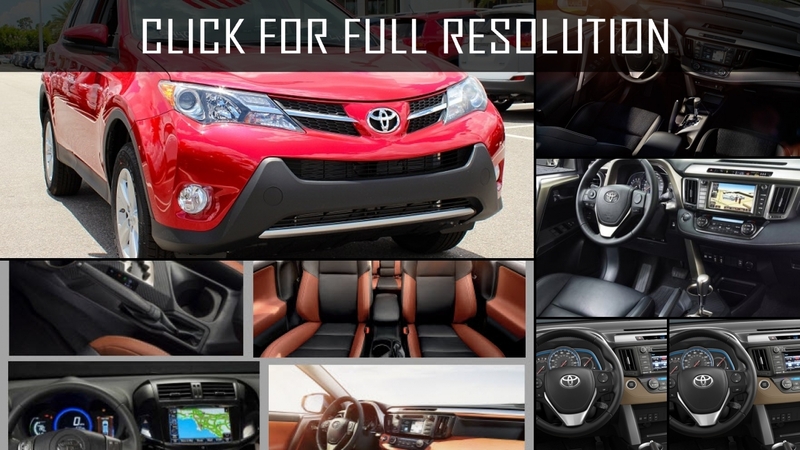 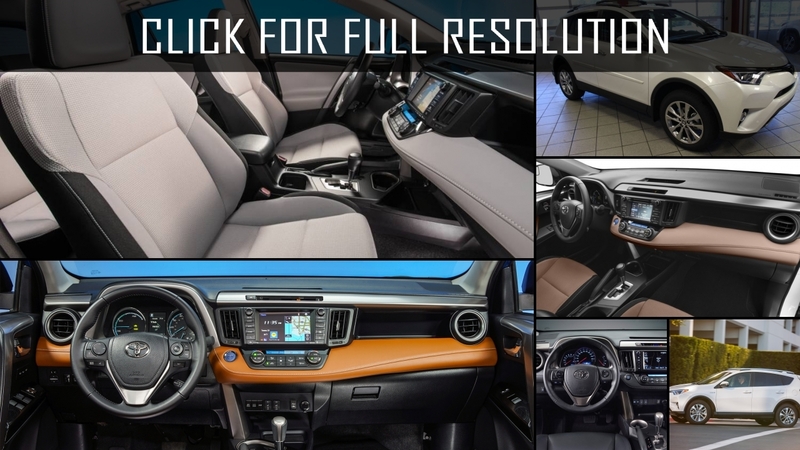 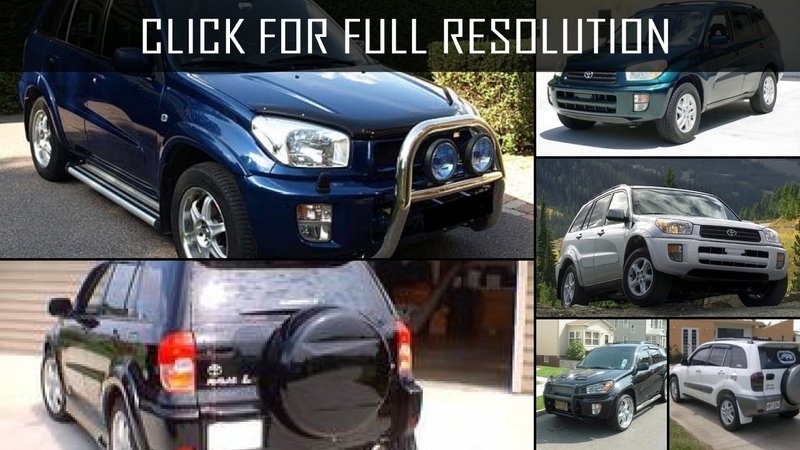 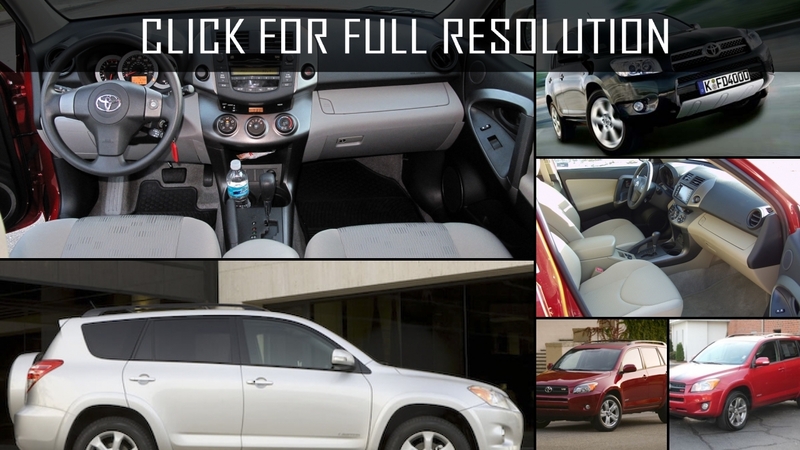 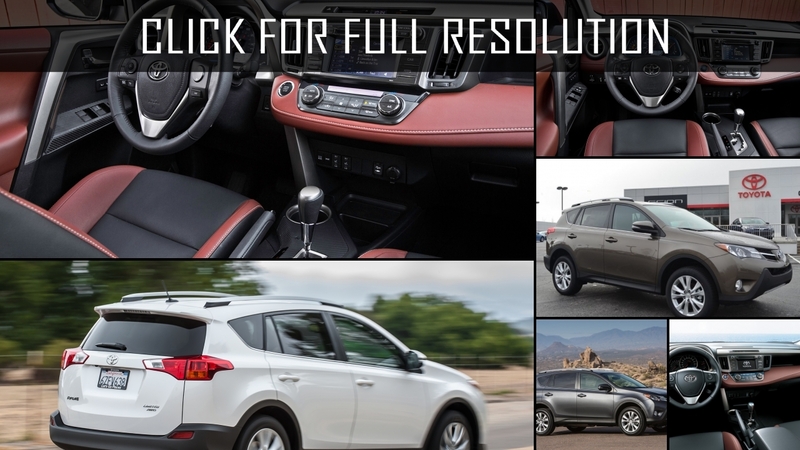 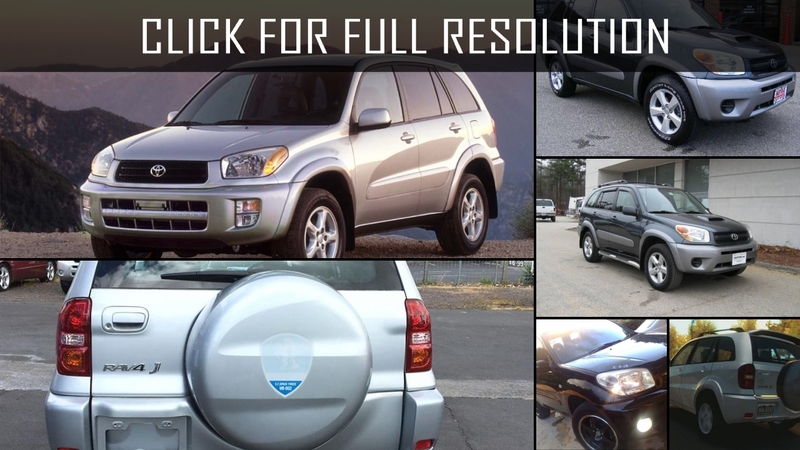 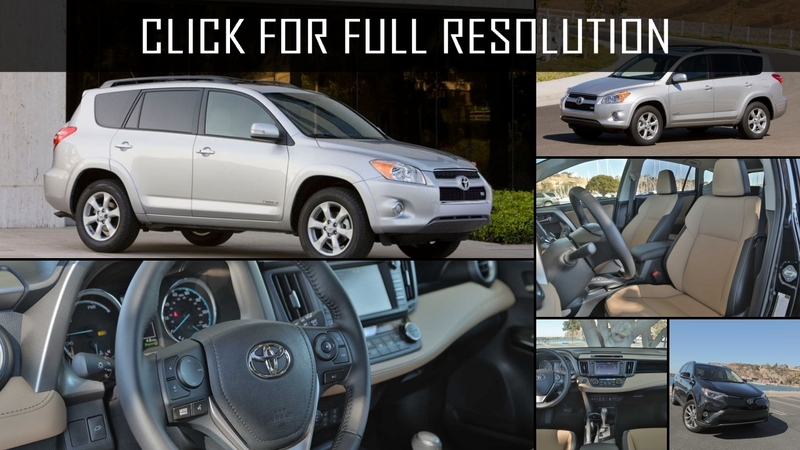 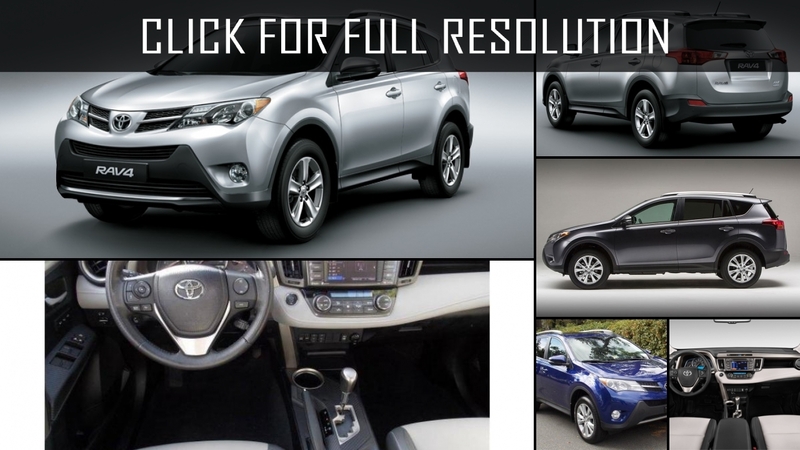 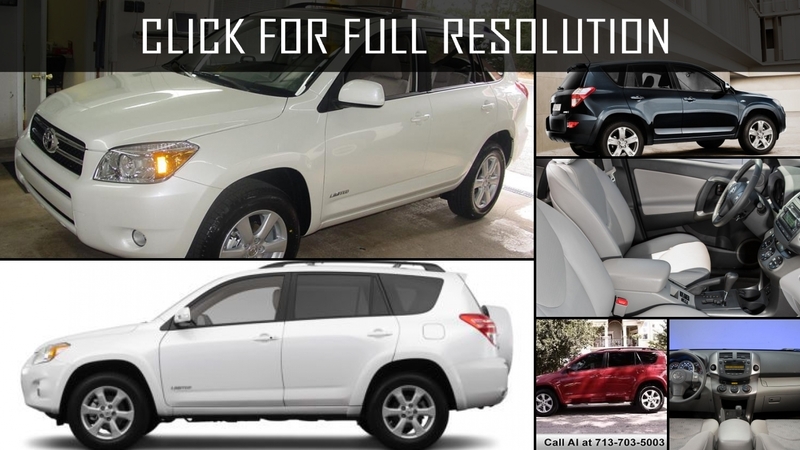 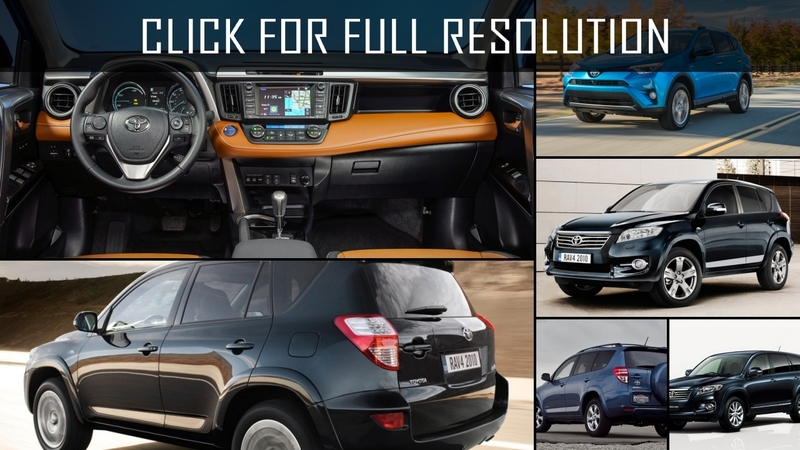 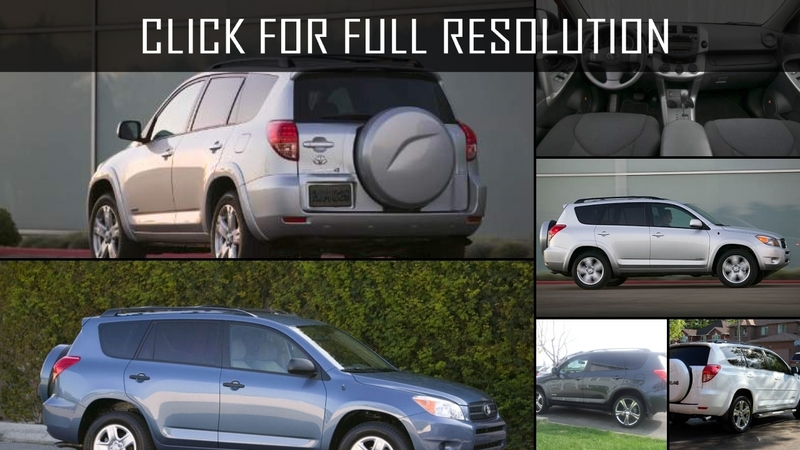 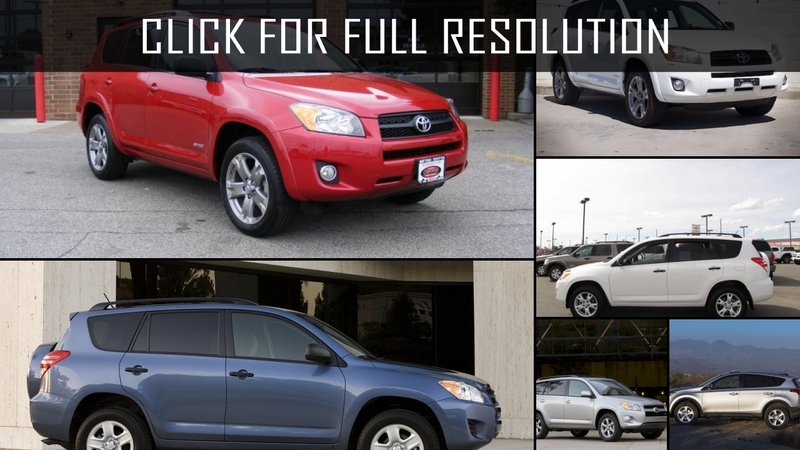 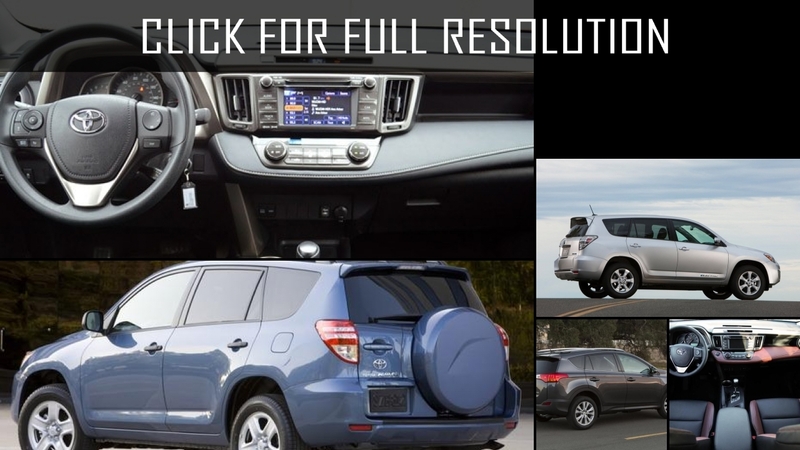 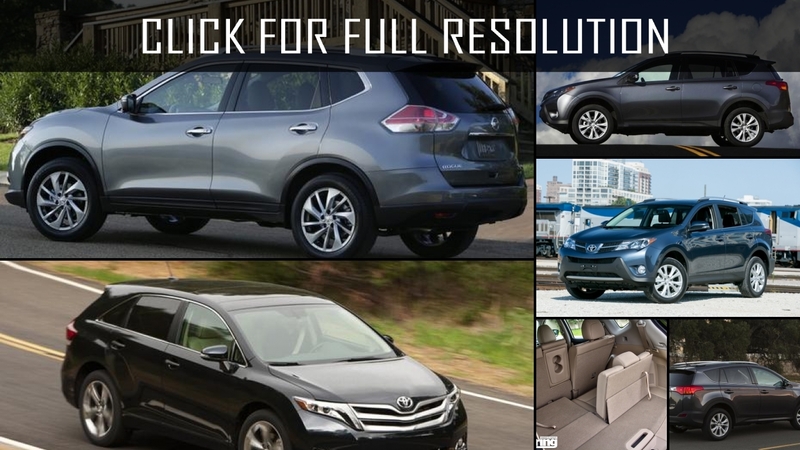 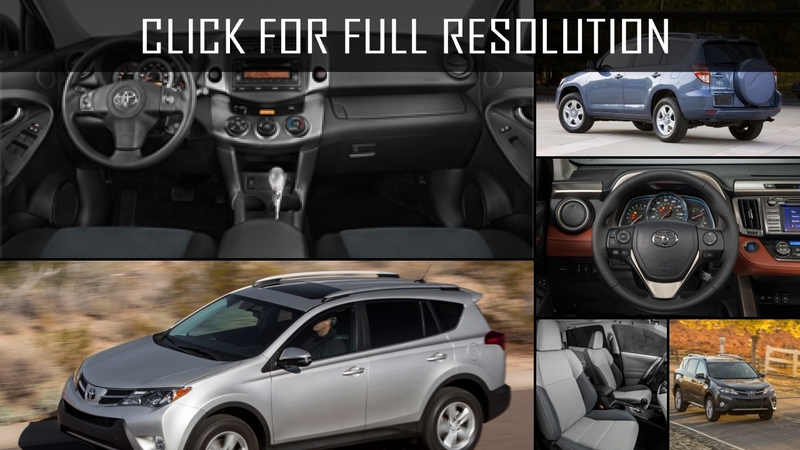 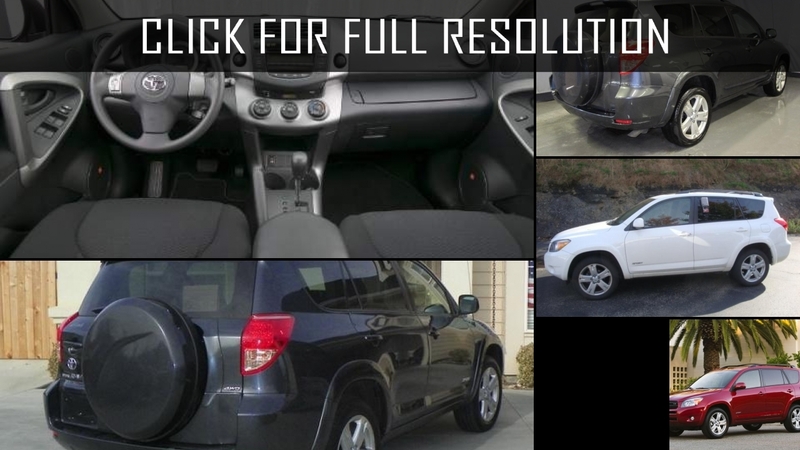 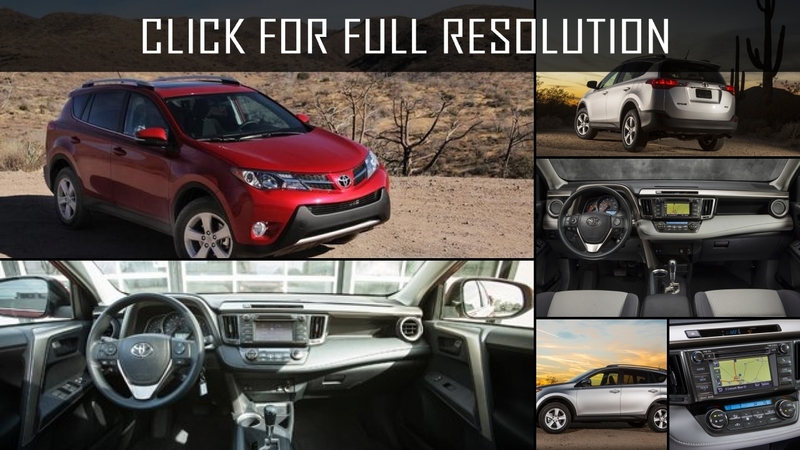 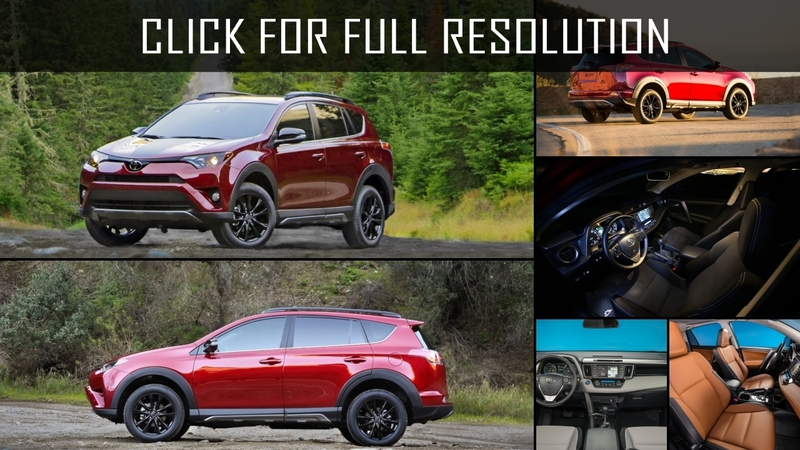 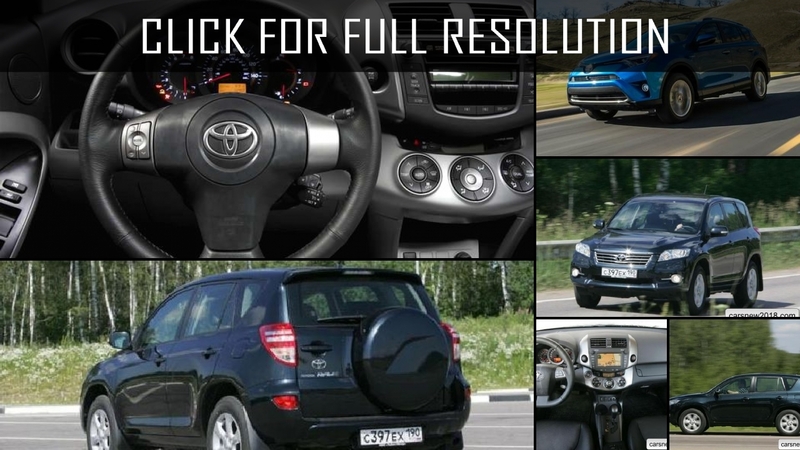 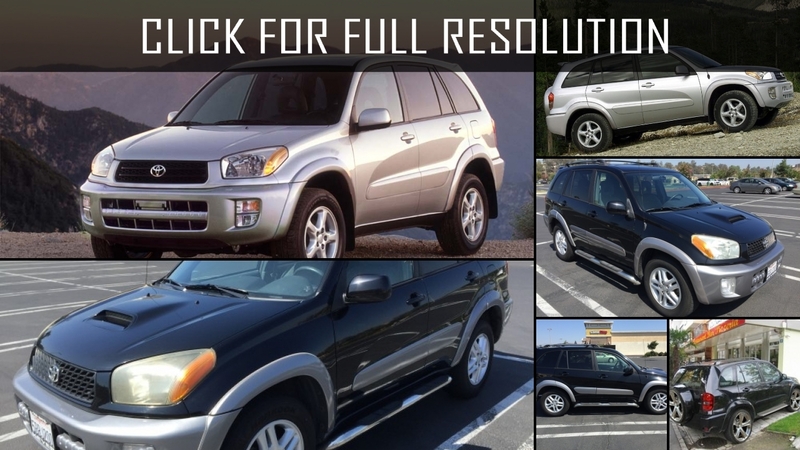 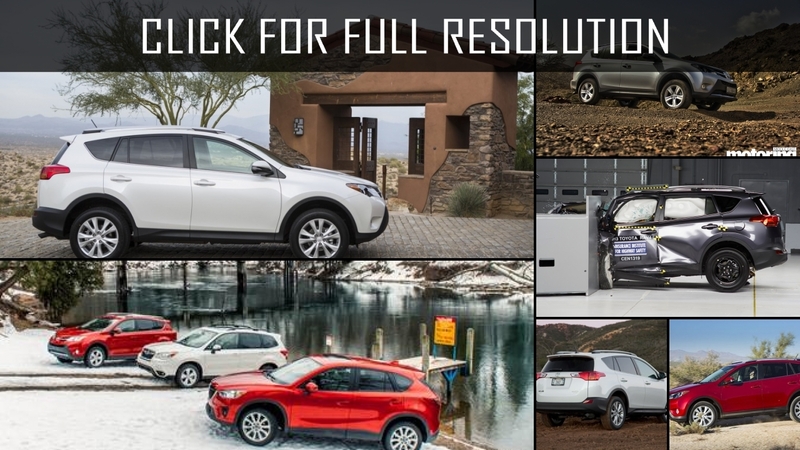 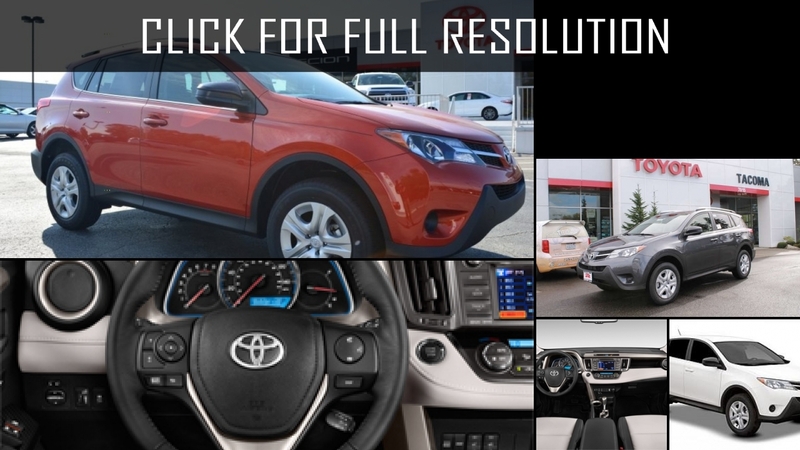 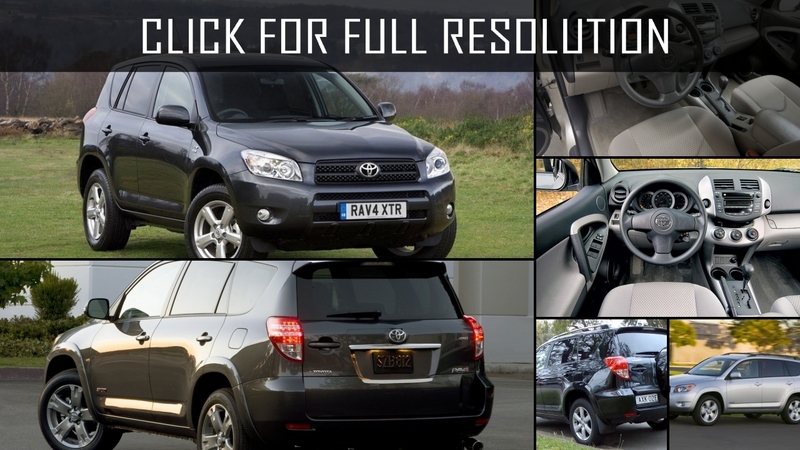 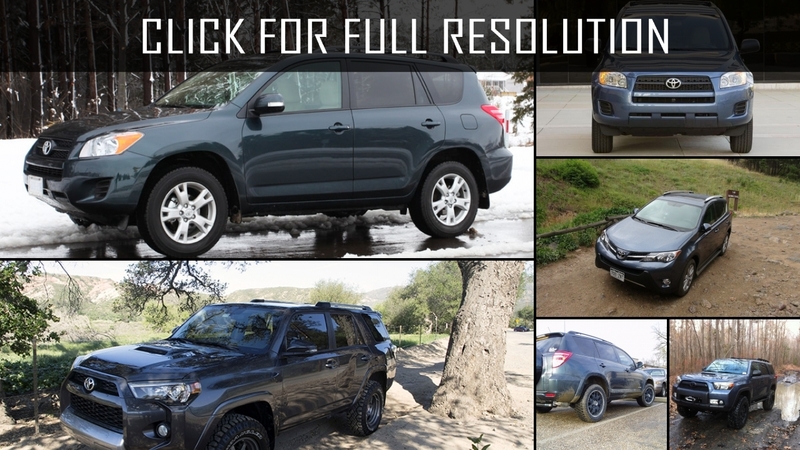 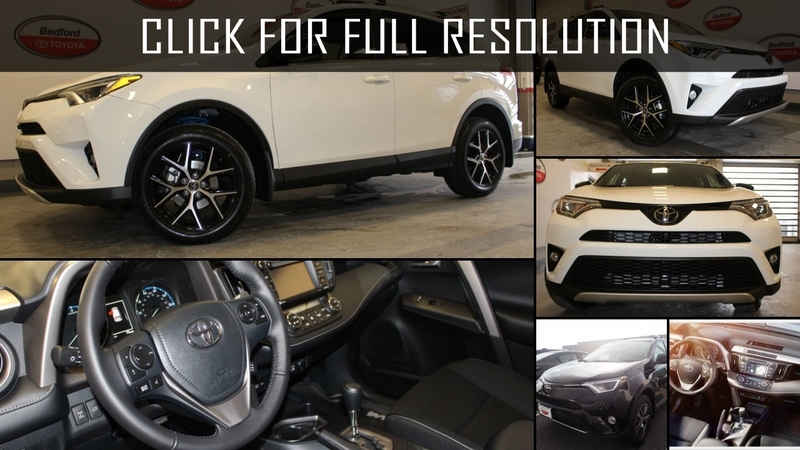 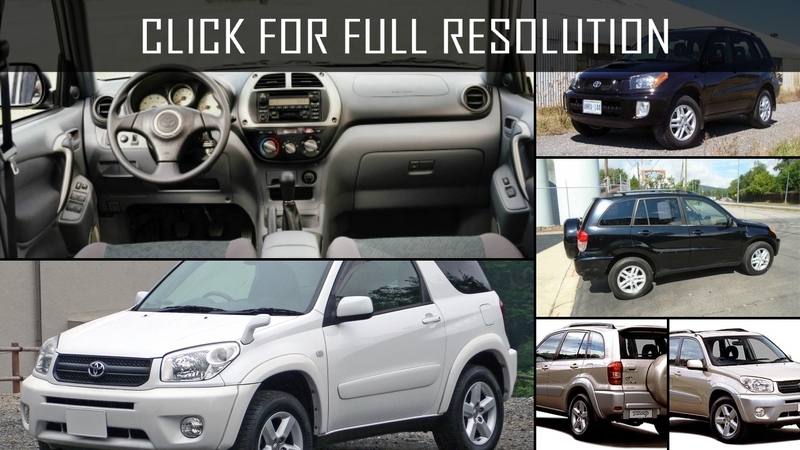 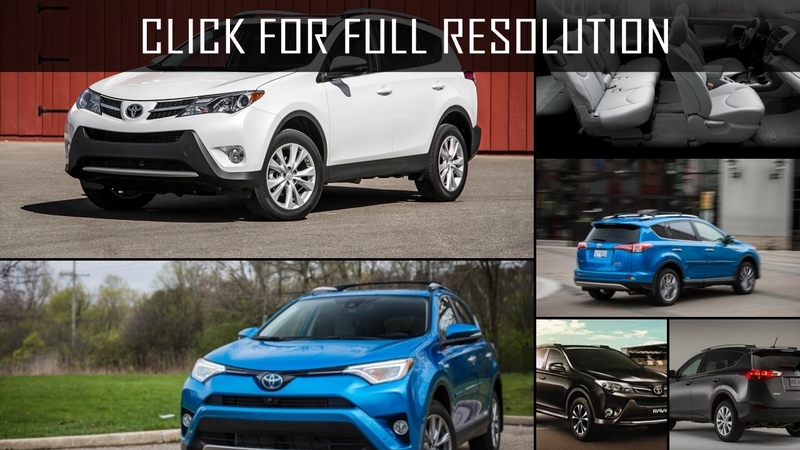 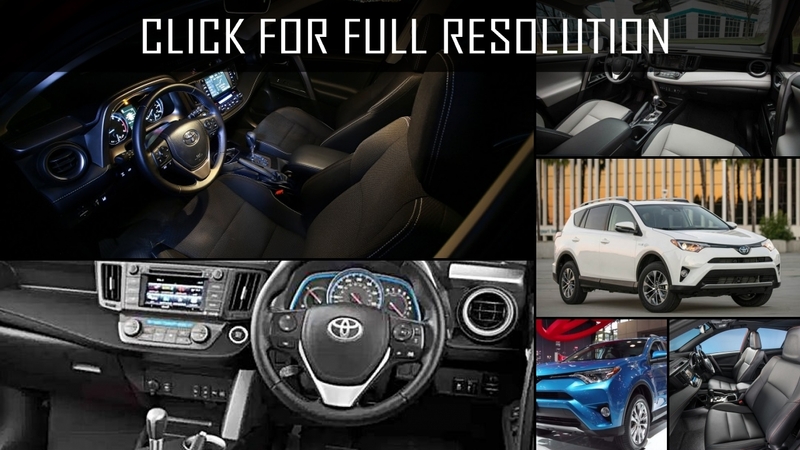 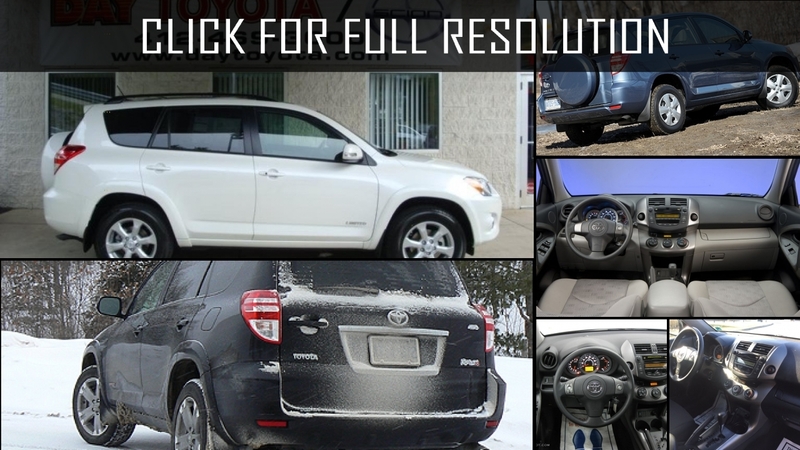 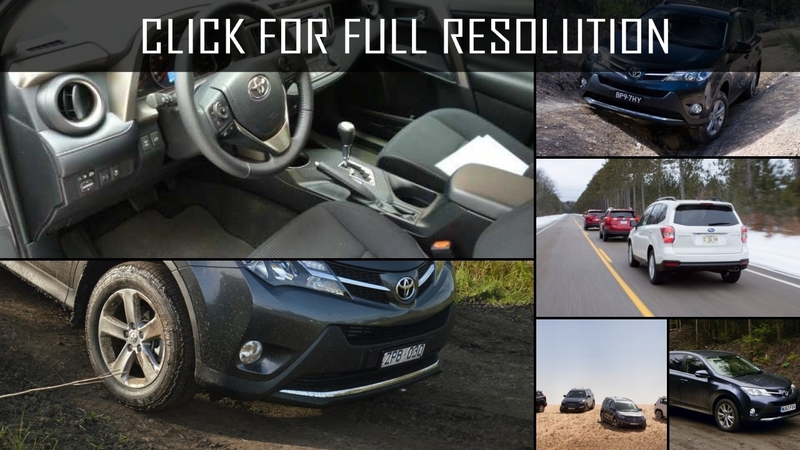 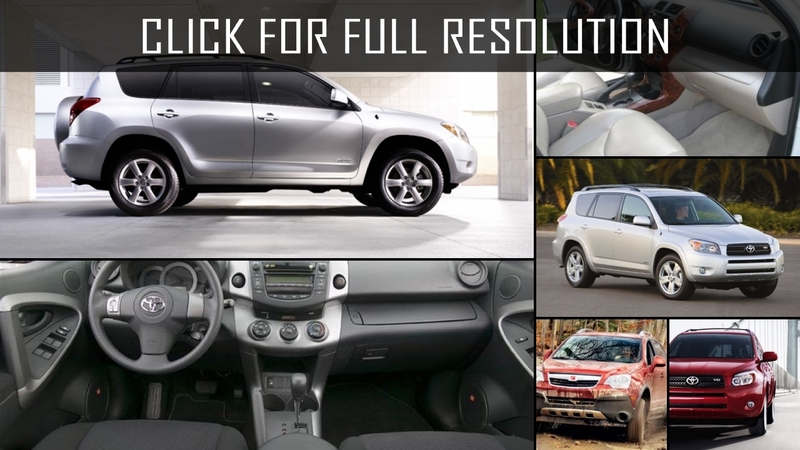 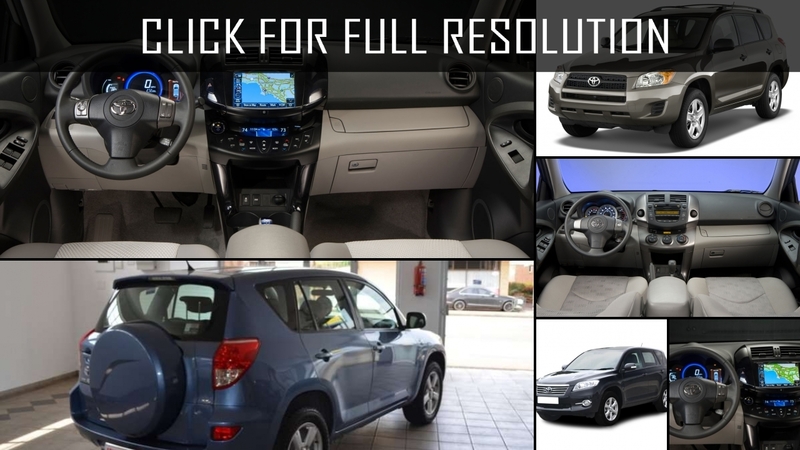 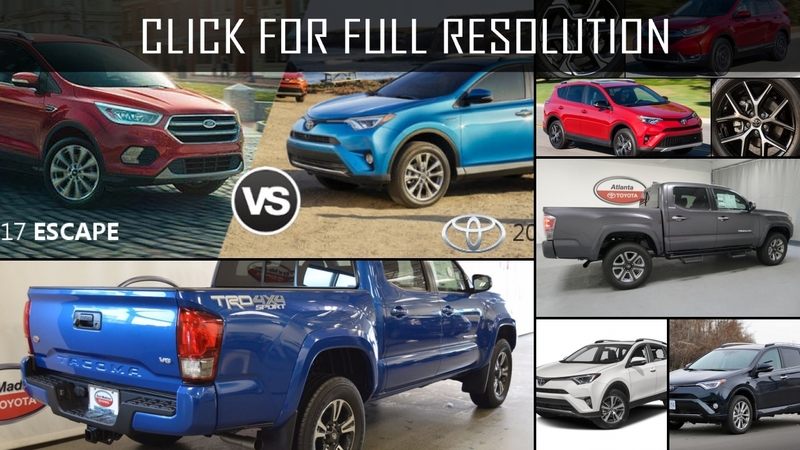 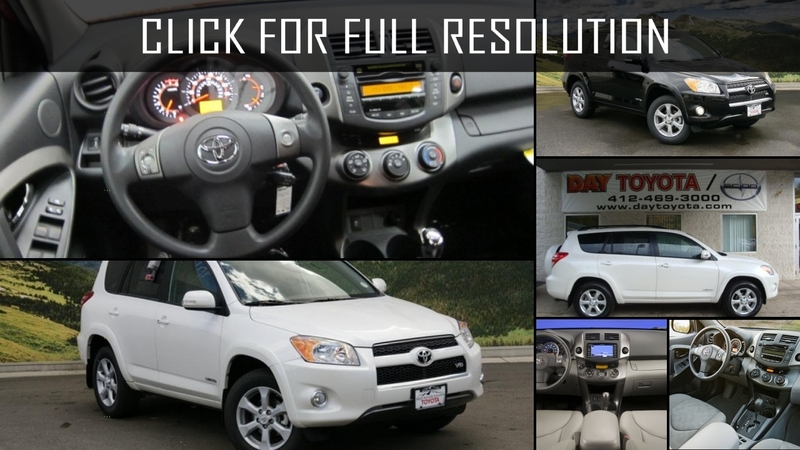 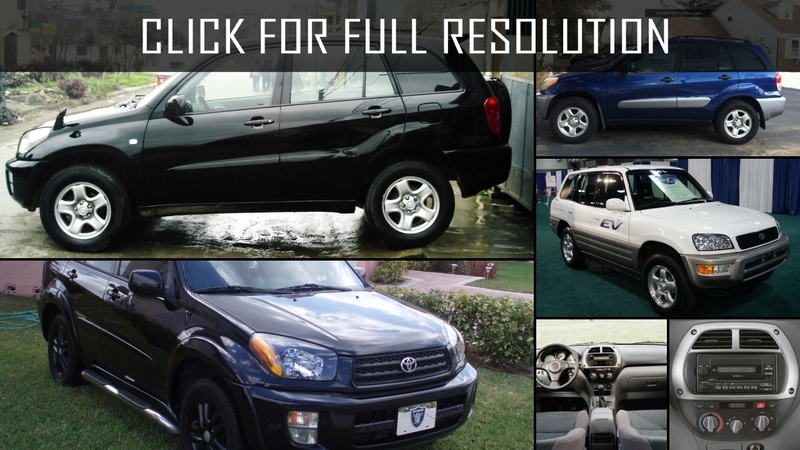 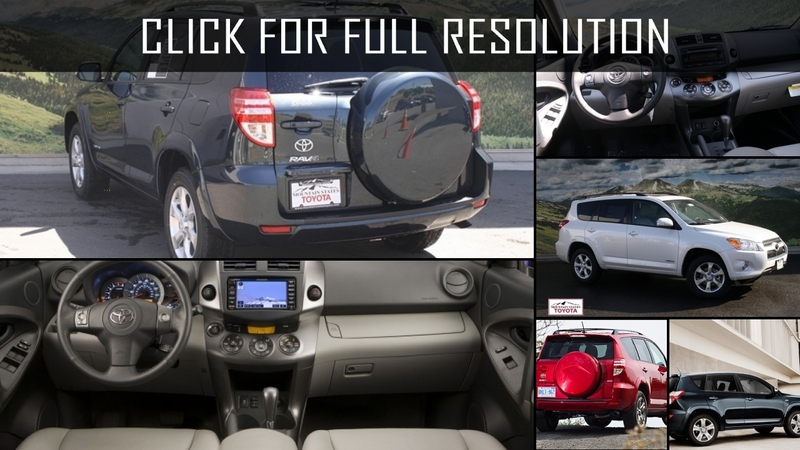 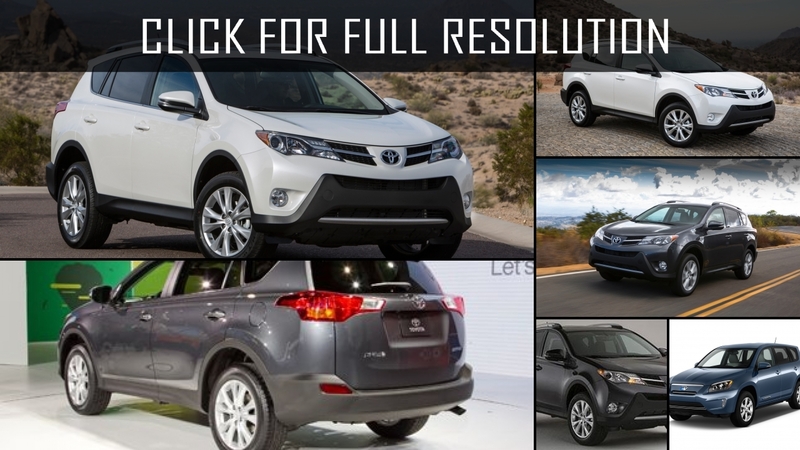 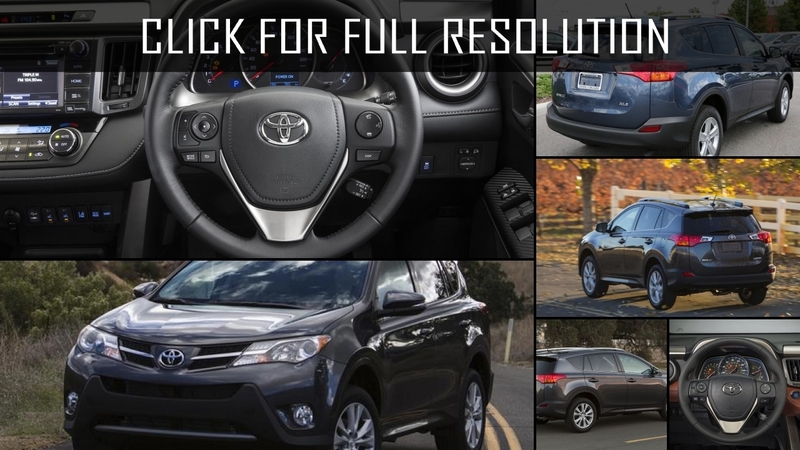 Discover and enjoy Toyota Rav4 image collections, news, wallpapers, MSRP, ratings on this huge database of cars and bikes - Masbukti. 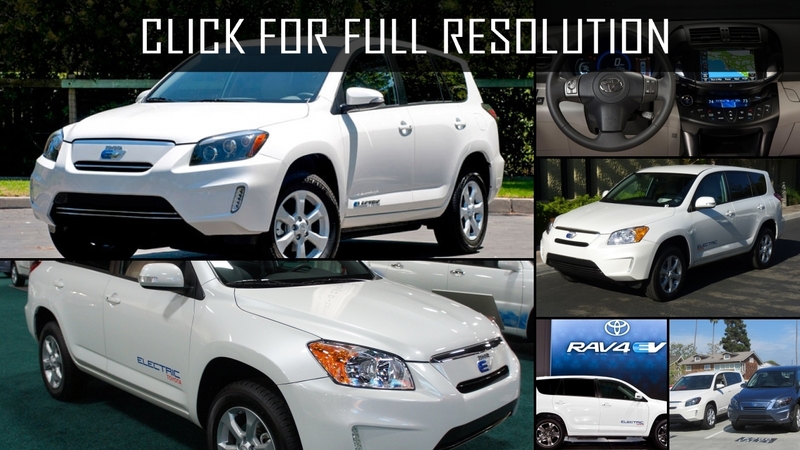 Average rating of all available versions of Toyota Rav4 is 4.1 out of 5.0.